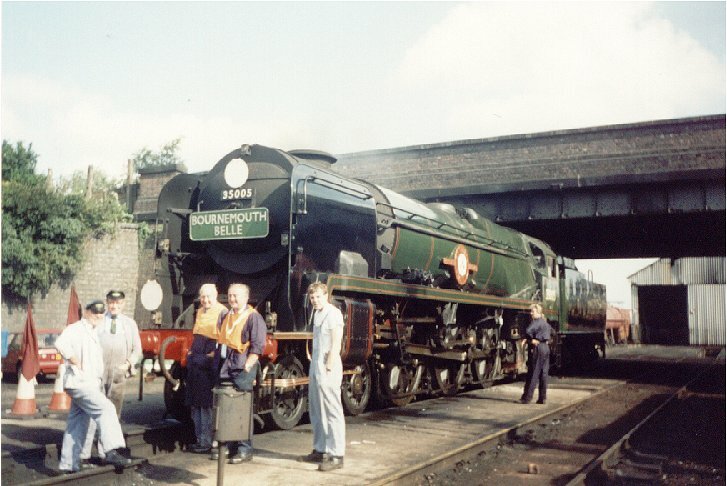 Bulleid Merchant Navies, Spam Cans and rebuilds. 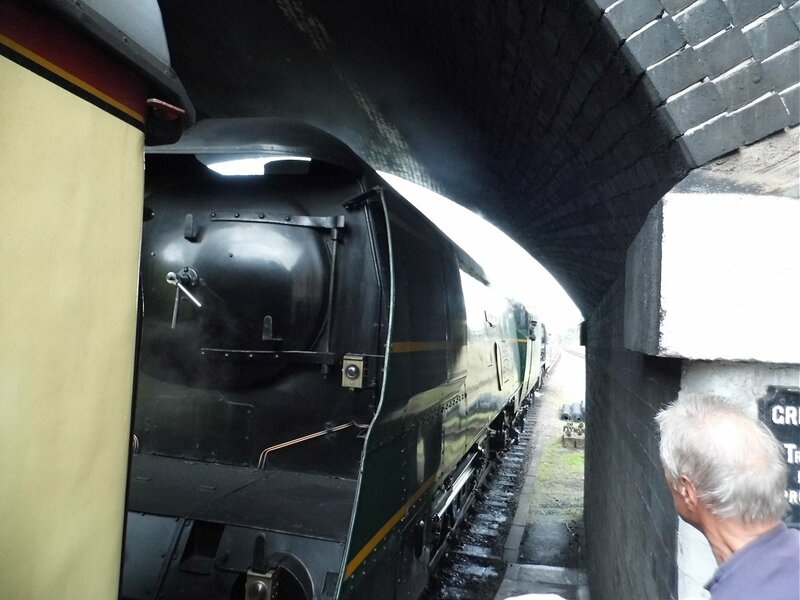 Friday 19th May 2017 I travelled to the Severn Valley Railway, Bridgenorth, for their Diesel Gala. 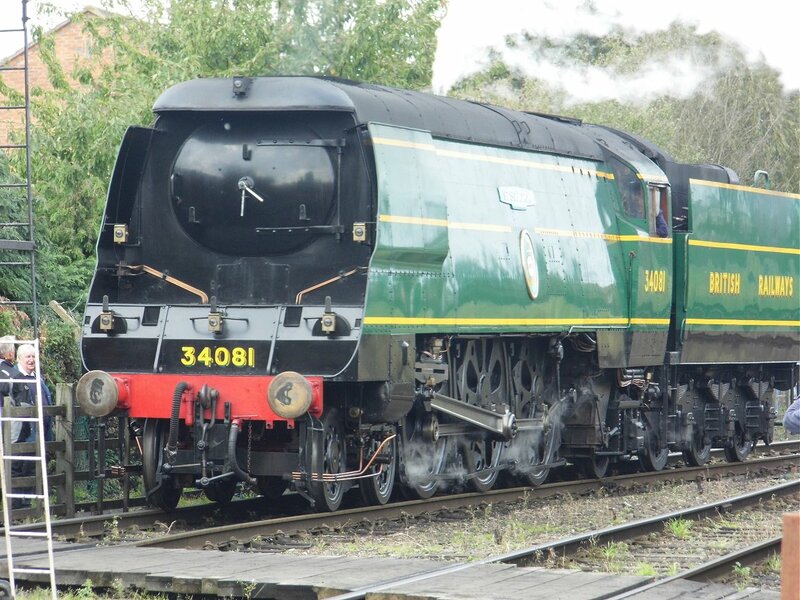 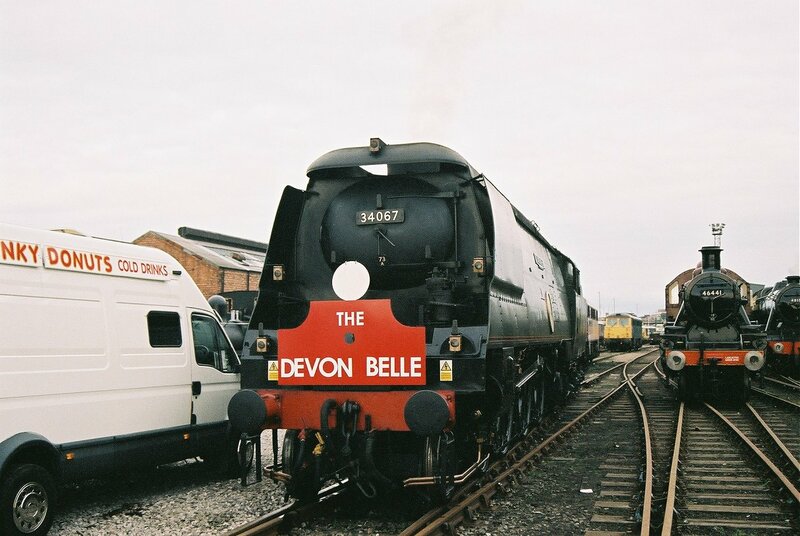 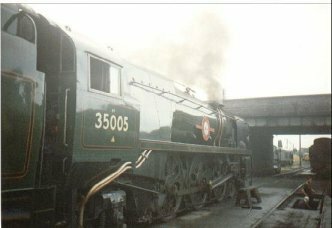 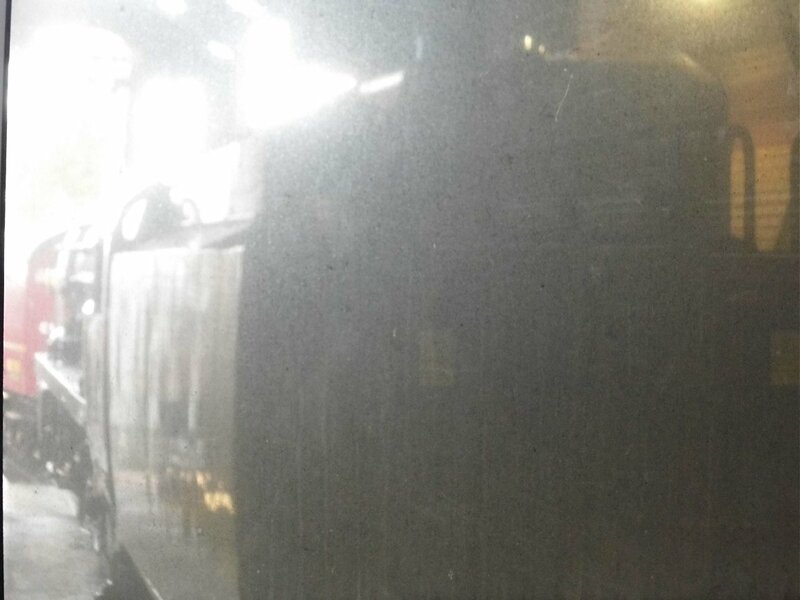 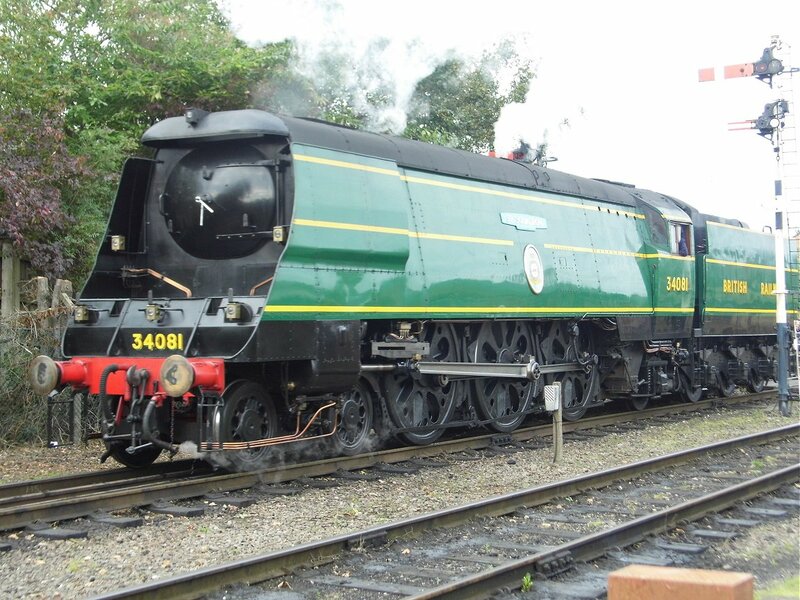 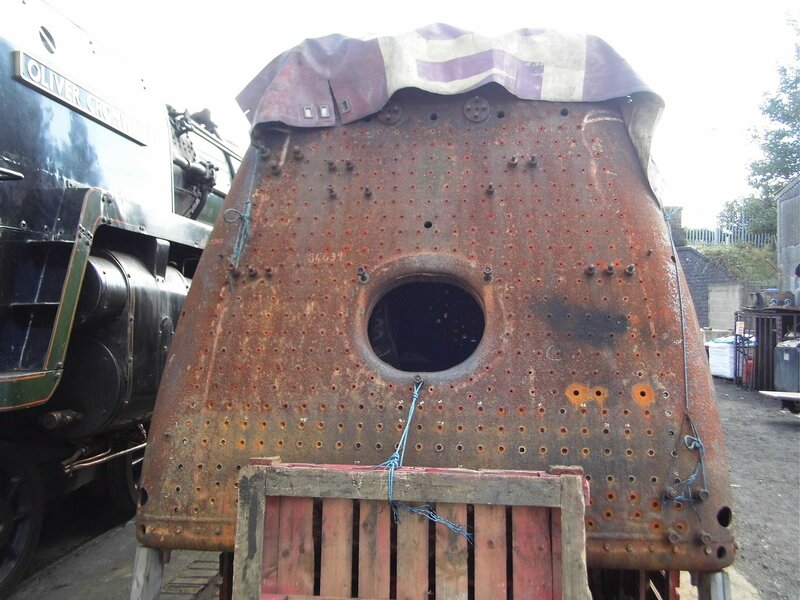 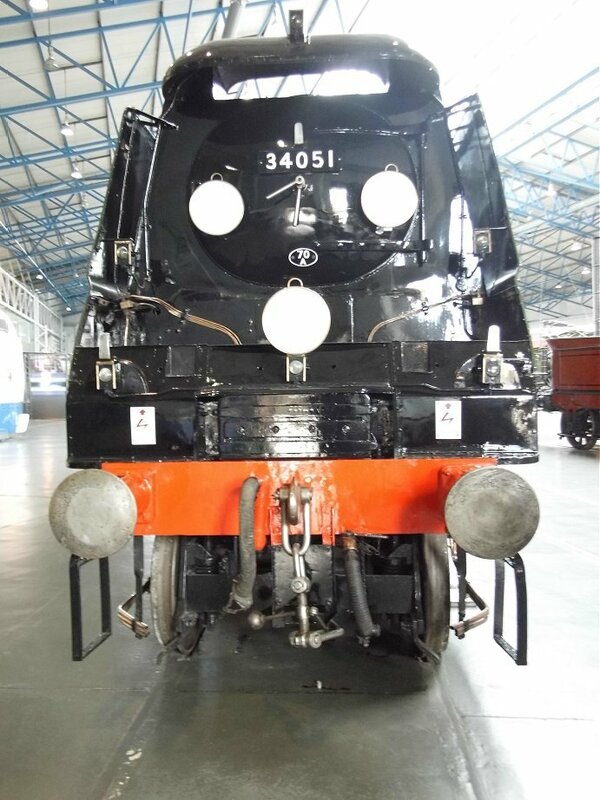 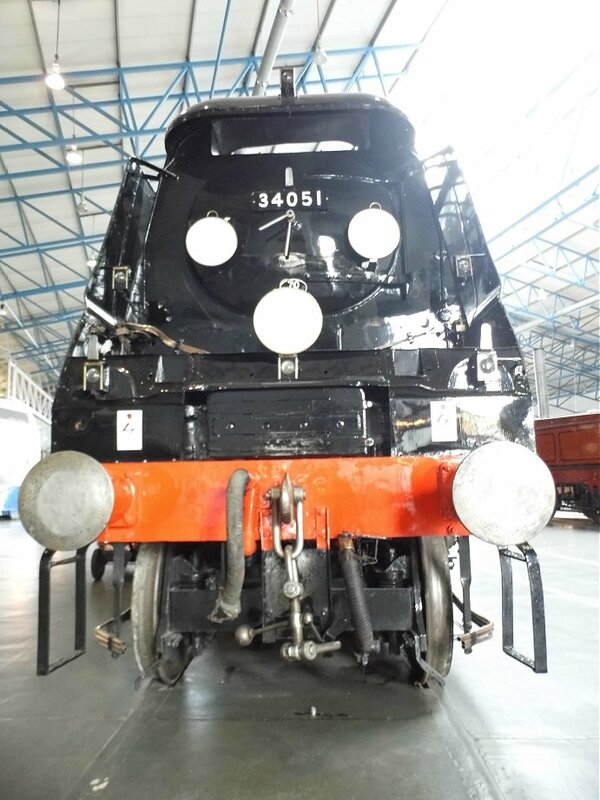 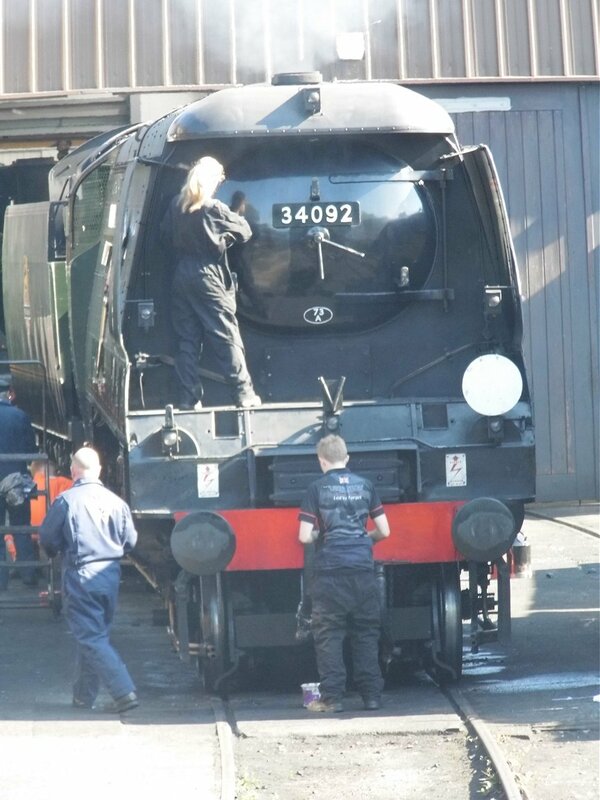 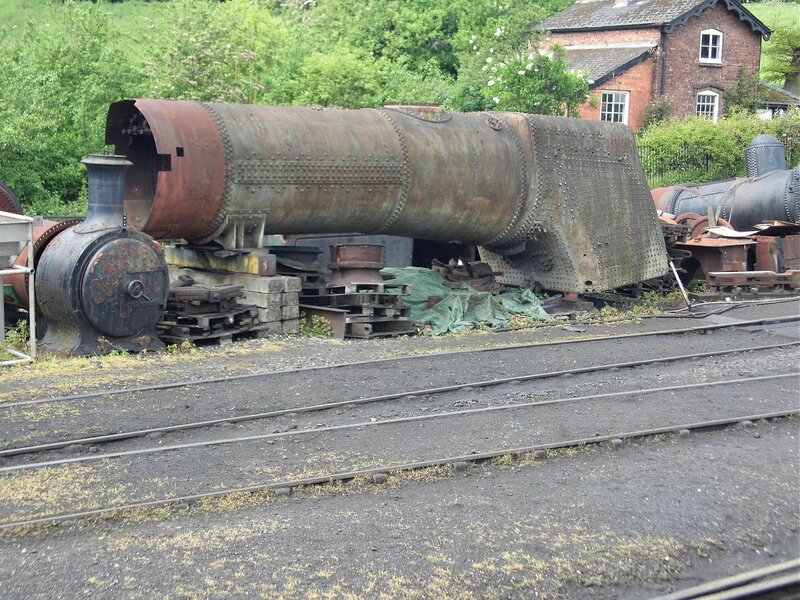 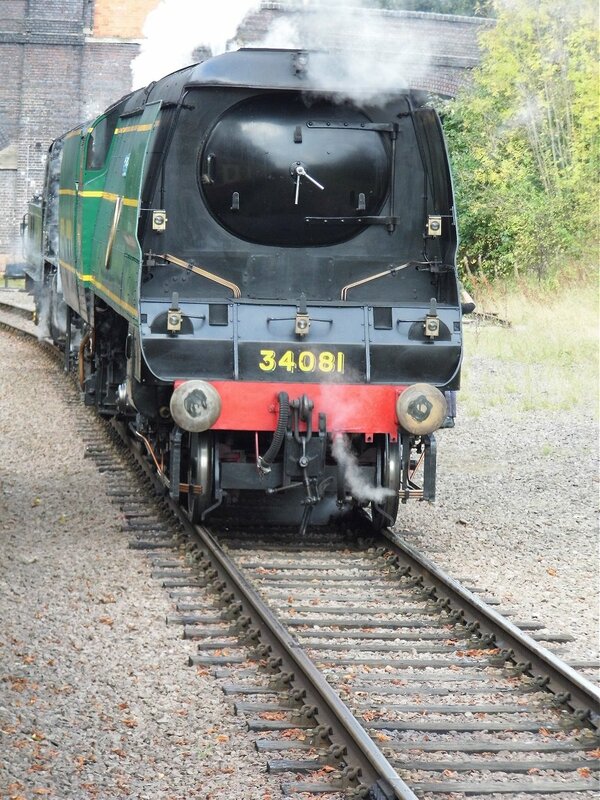 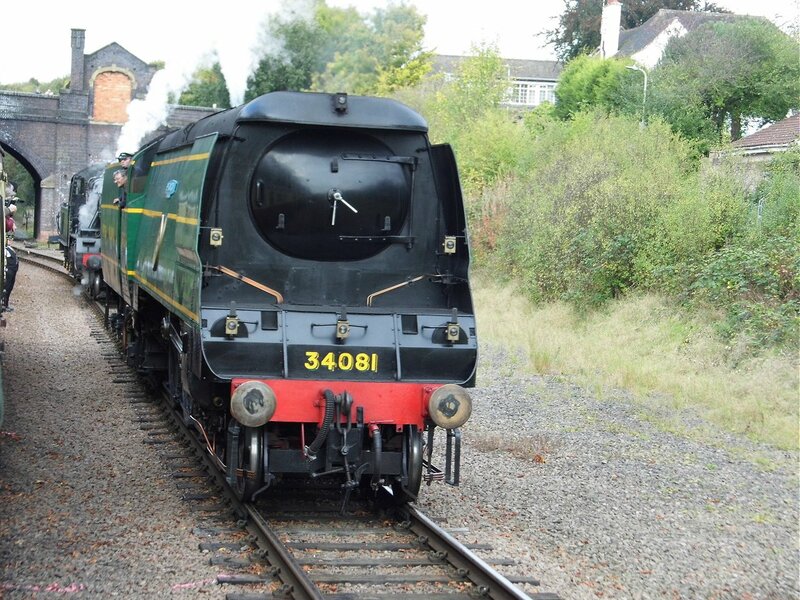 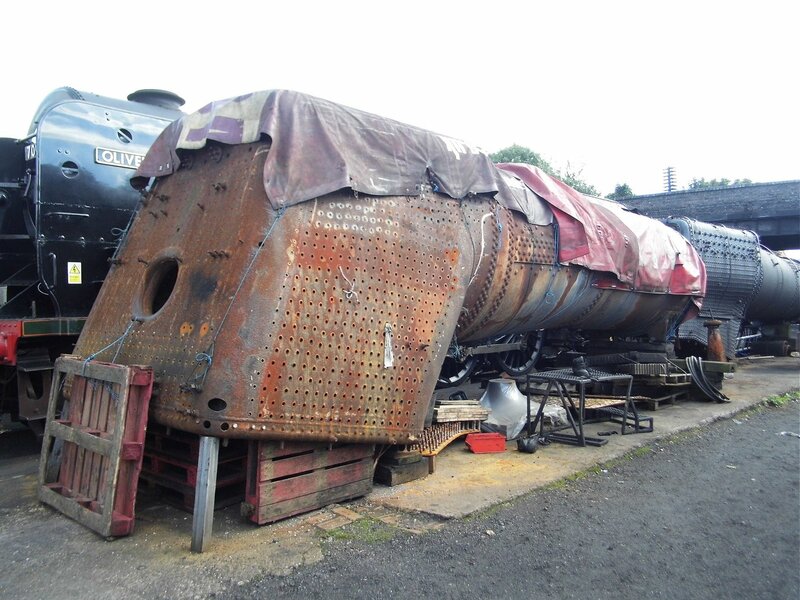 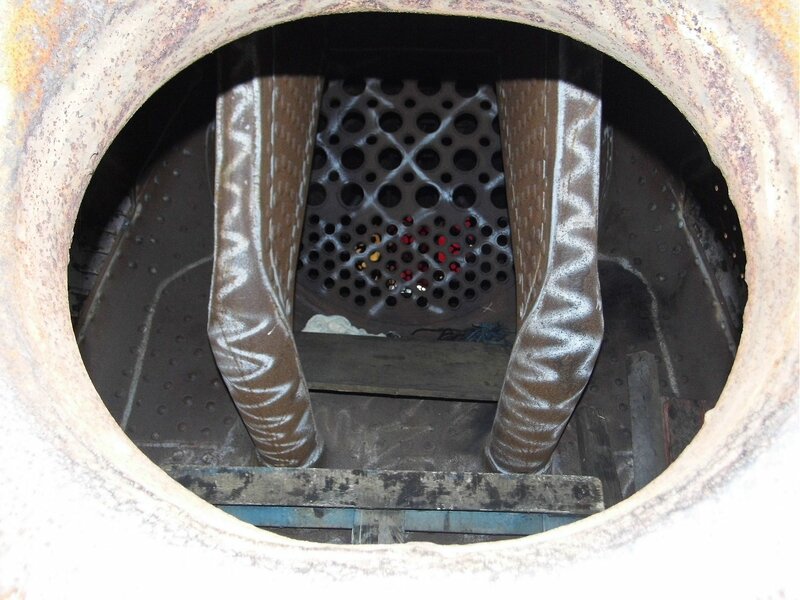 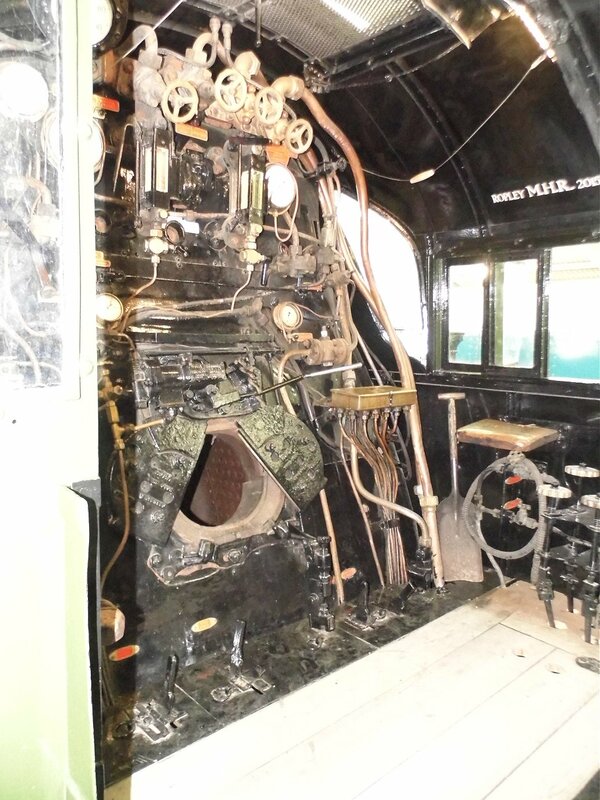 I saw the boiler of rebuilt West Country class 34010 Sidmouth. 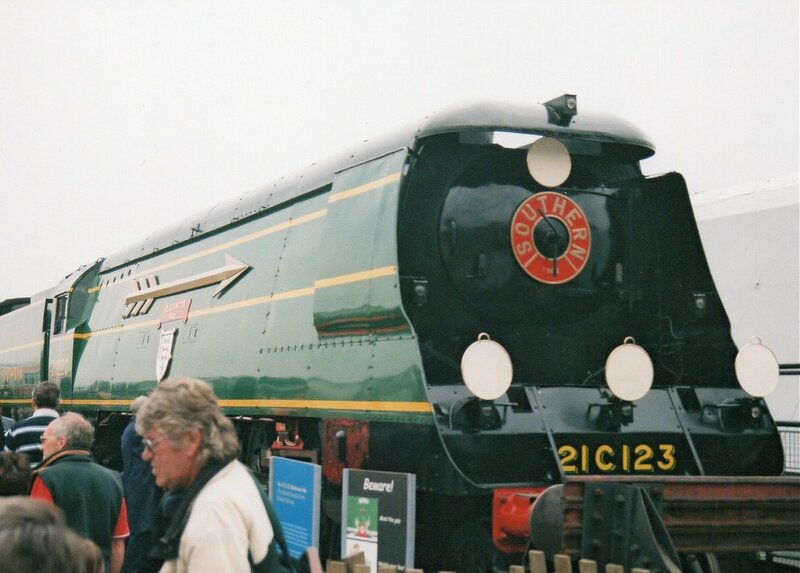 2004 I travelled with my mate Simon and his Dad to the Railfest at York. 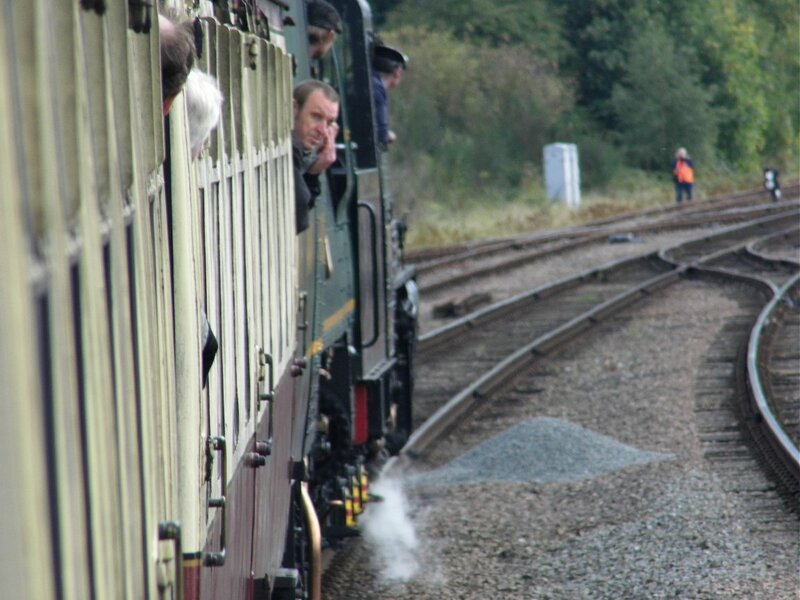 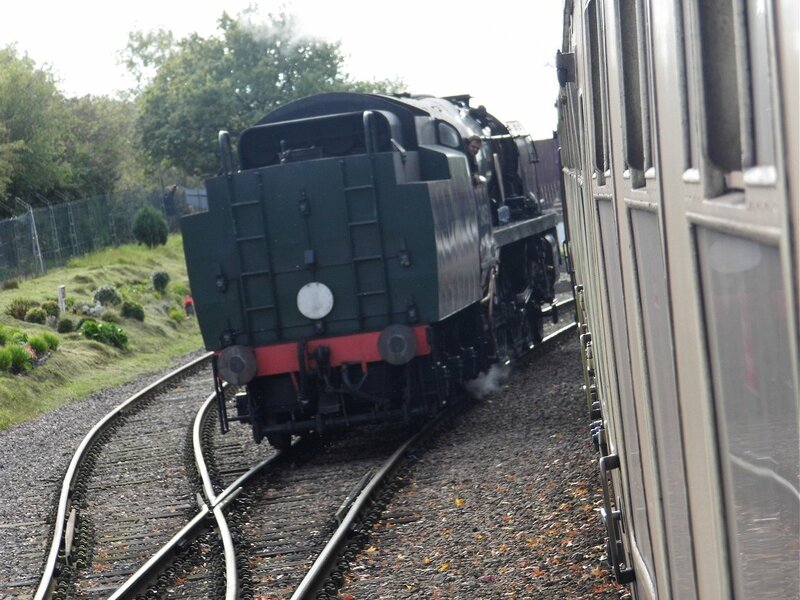 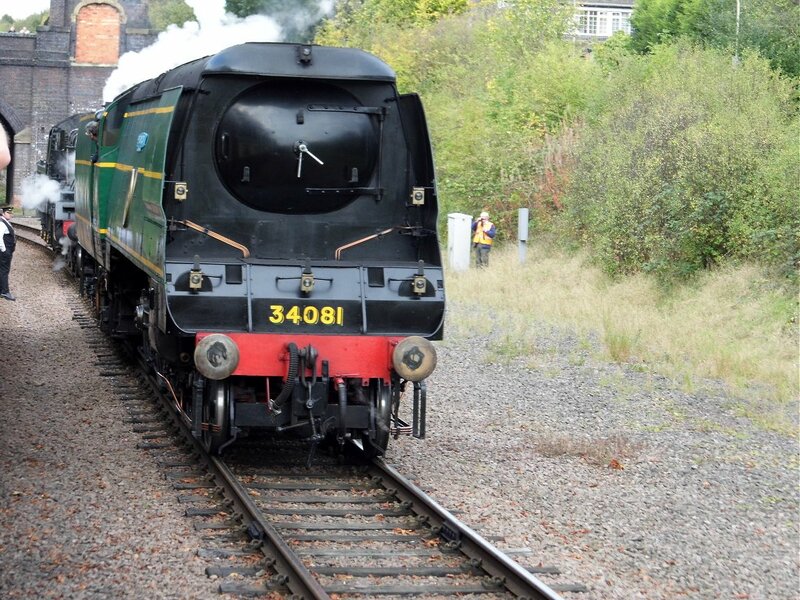 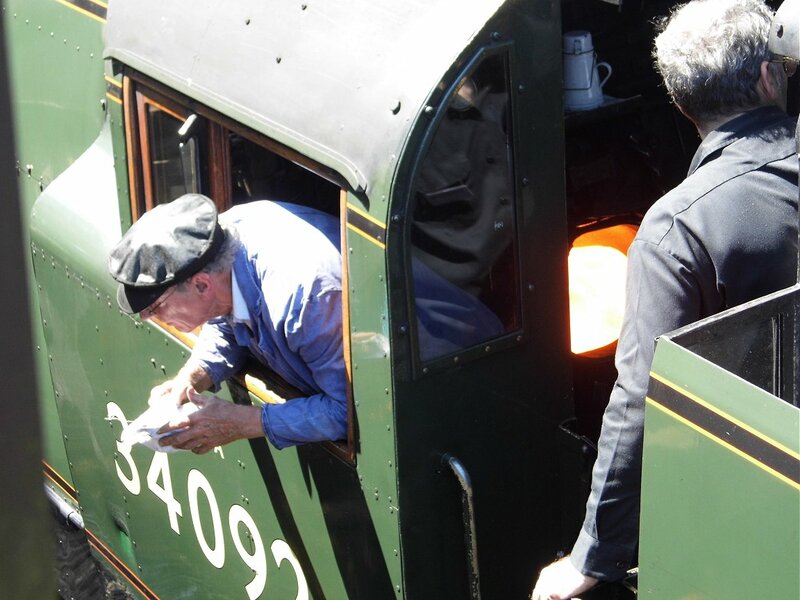 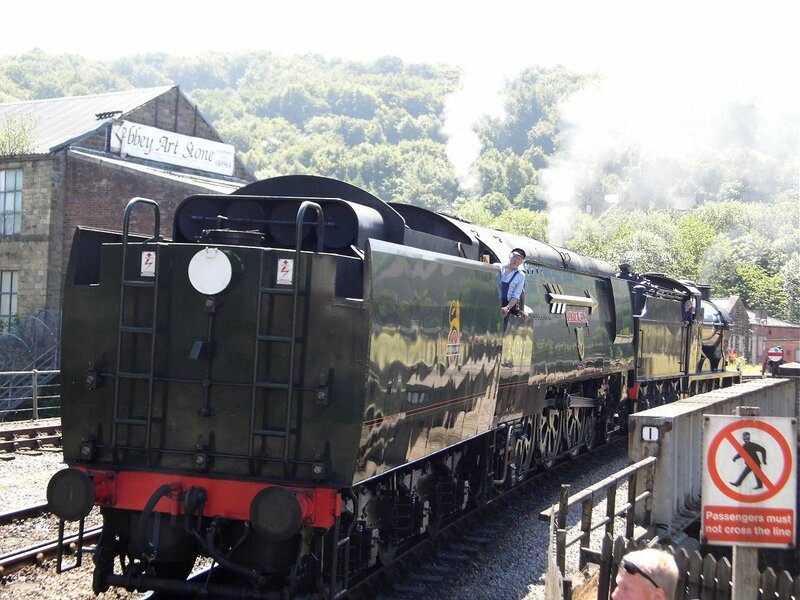 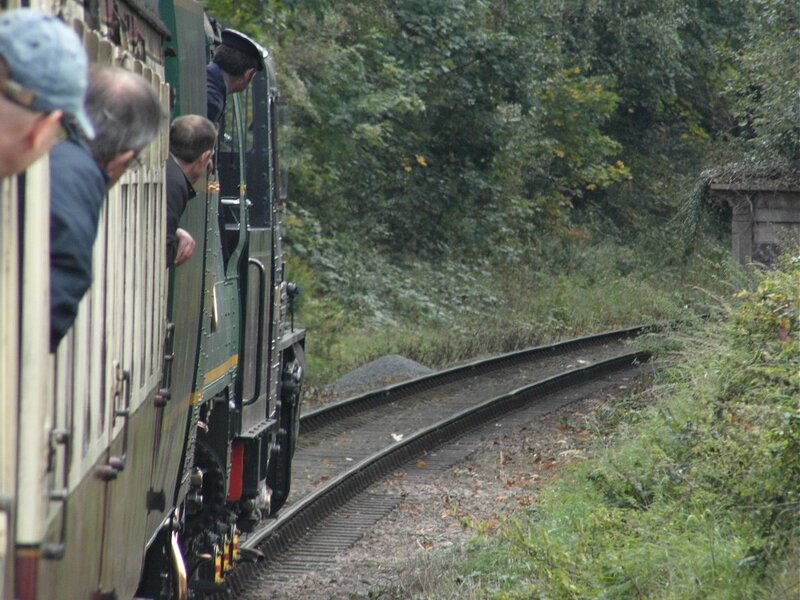 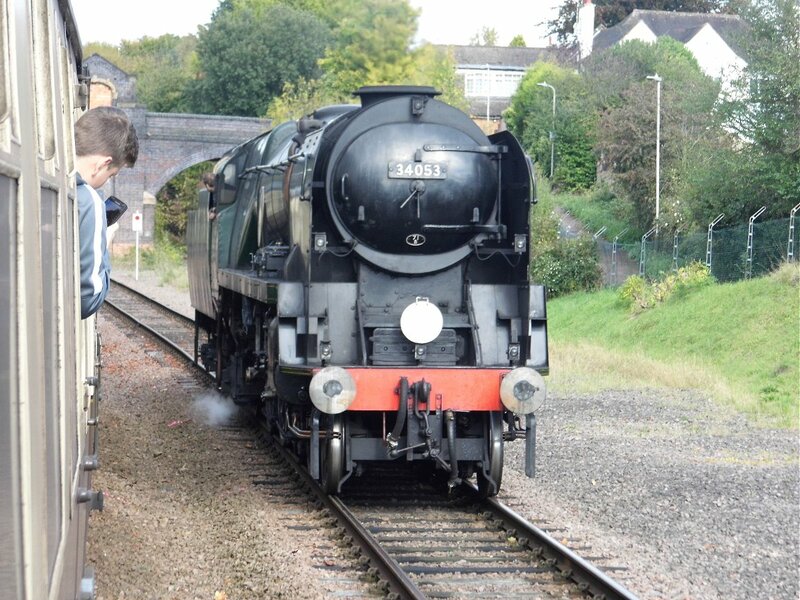 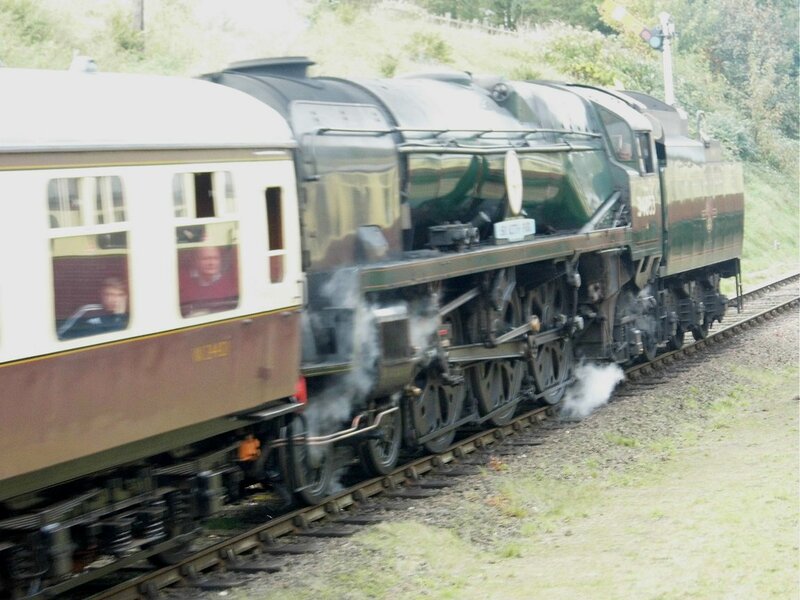 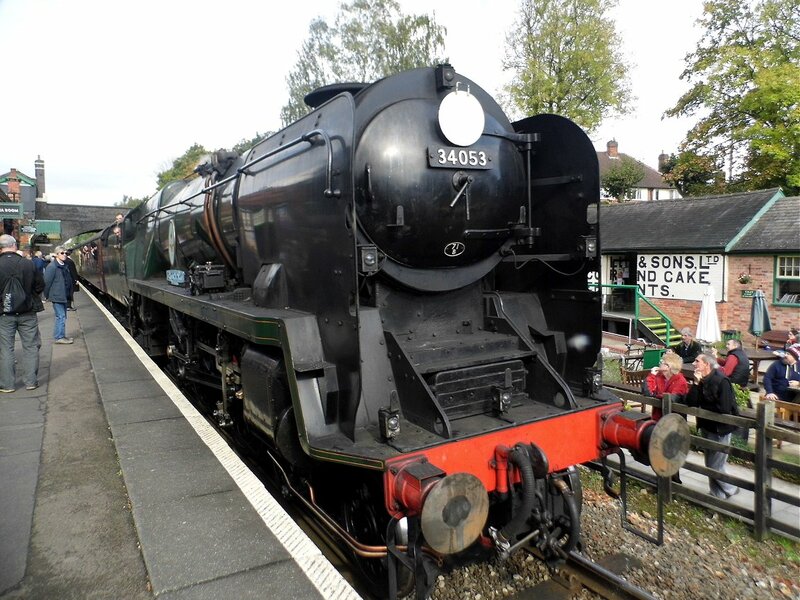 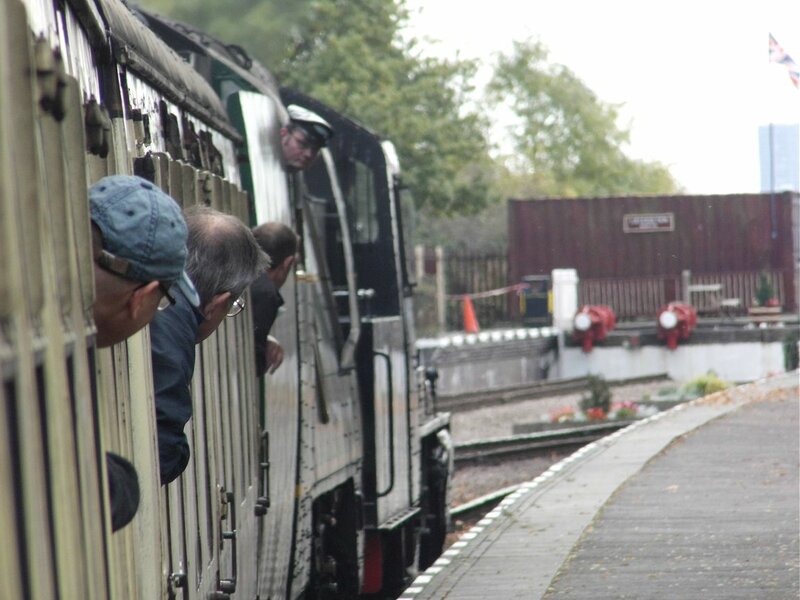 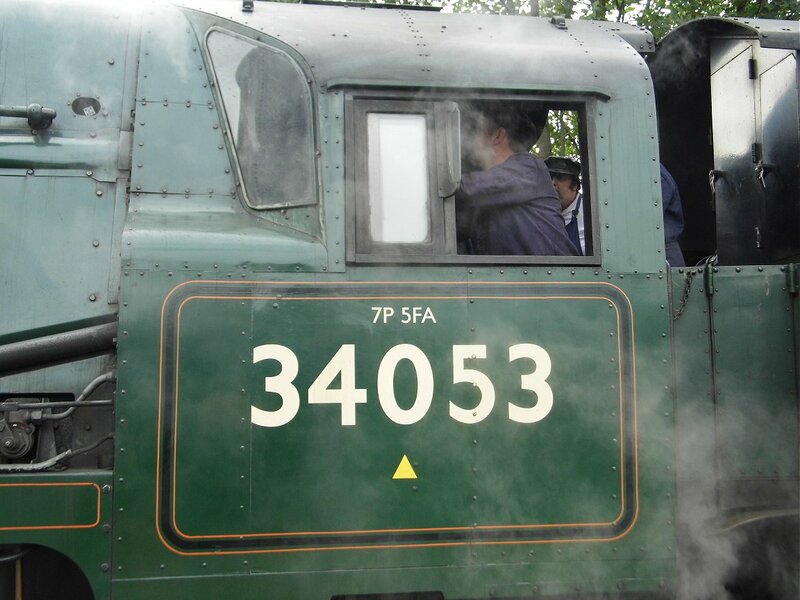 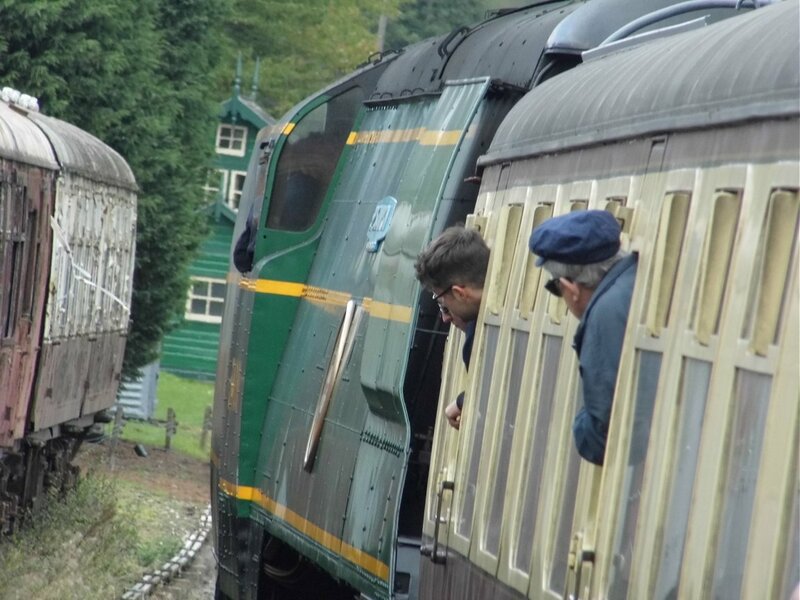 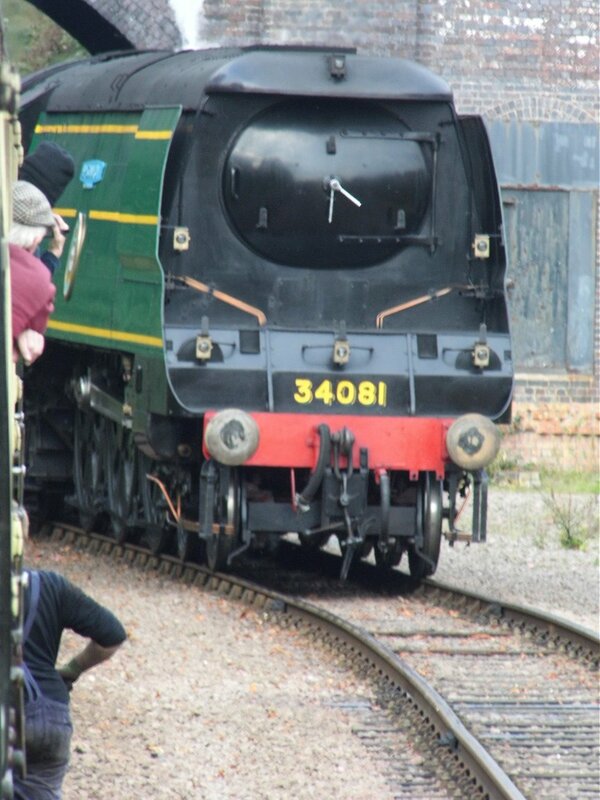 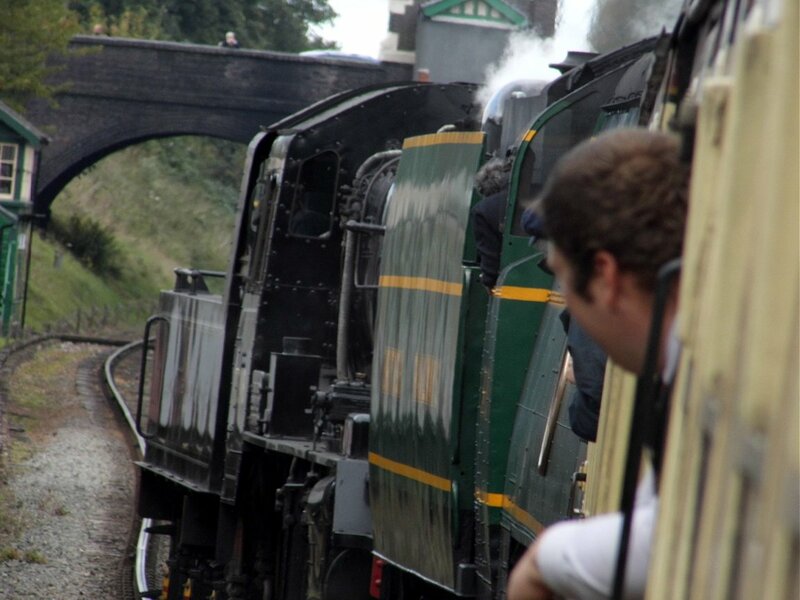 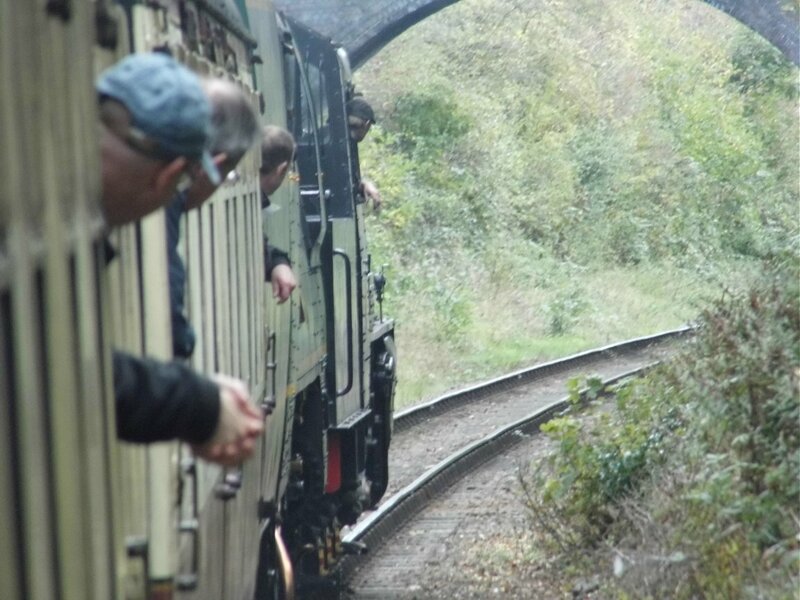 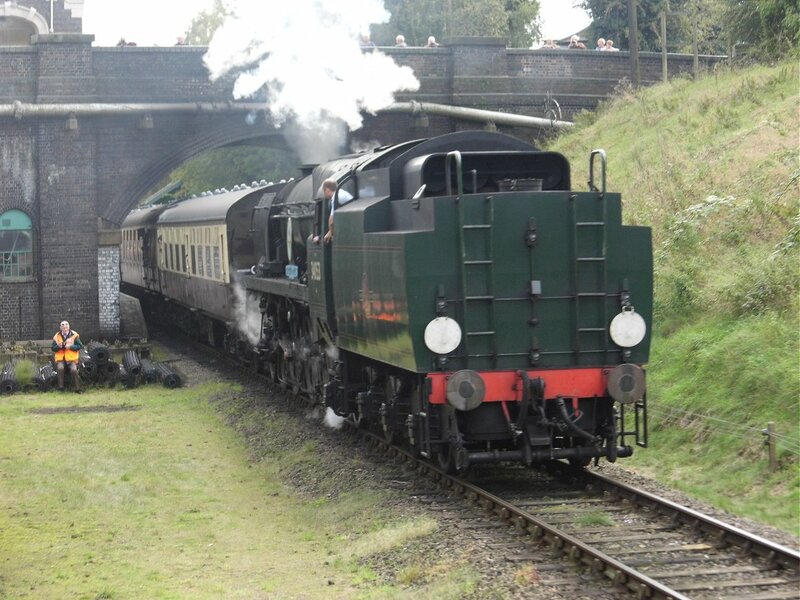 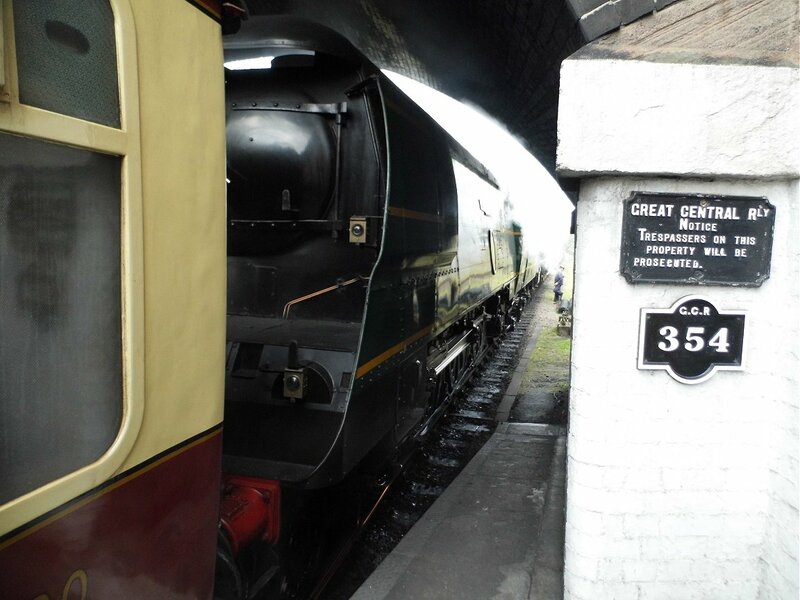 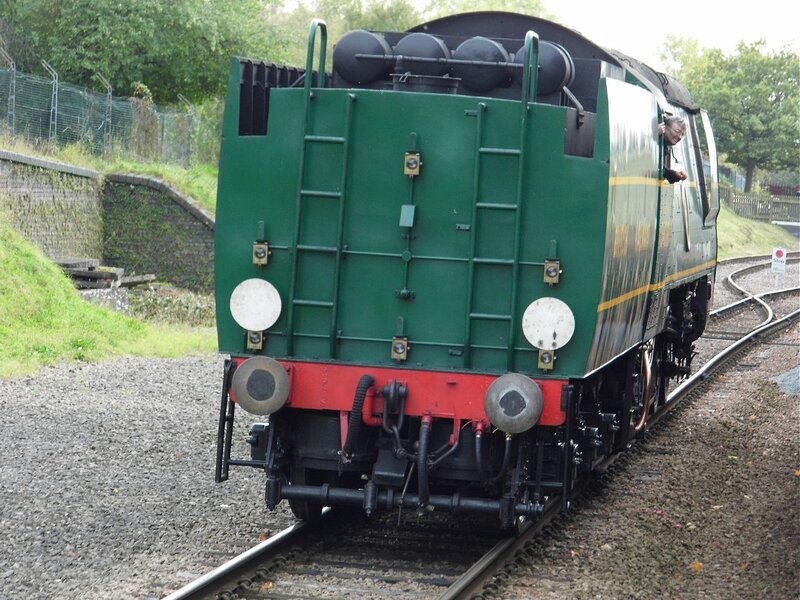 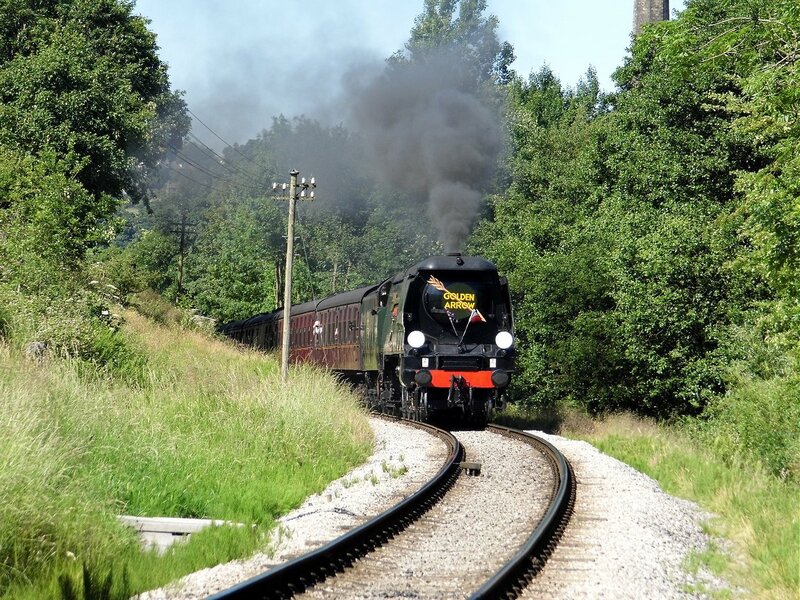 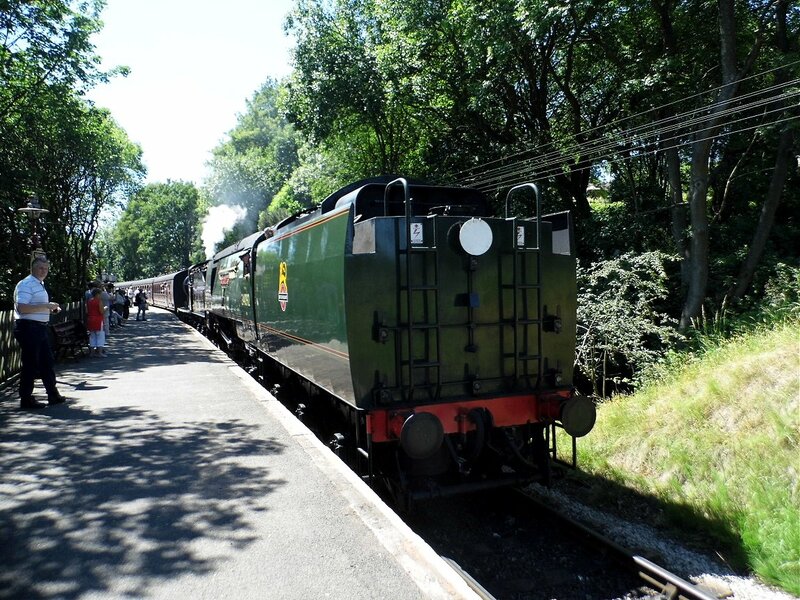 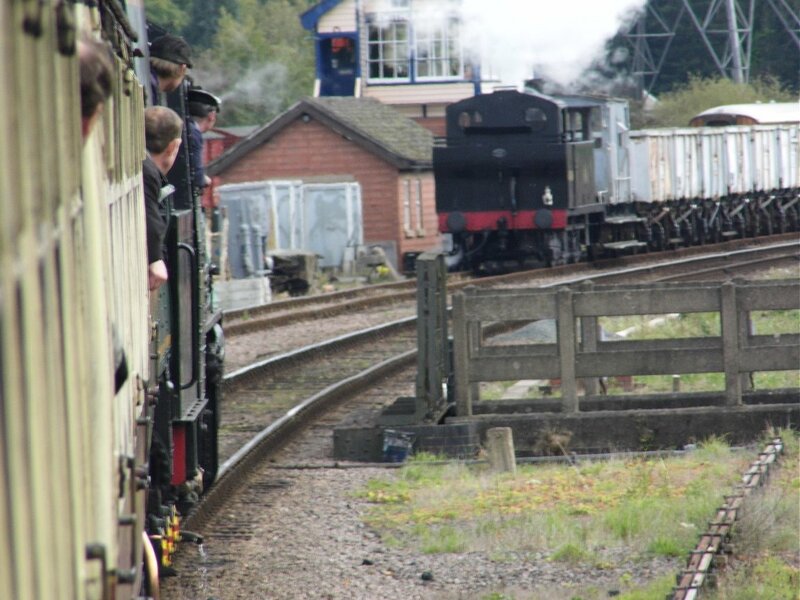 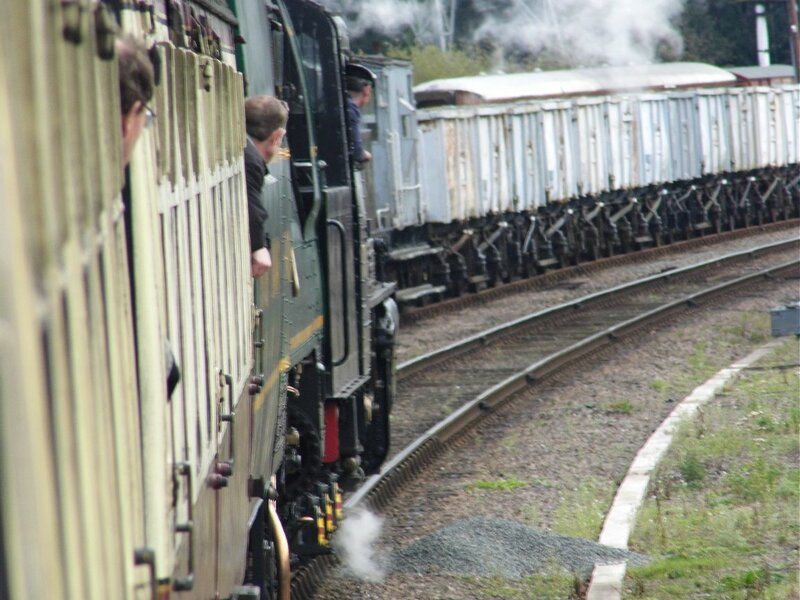 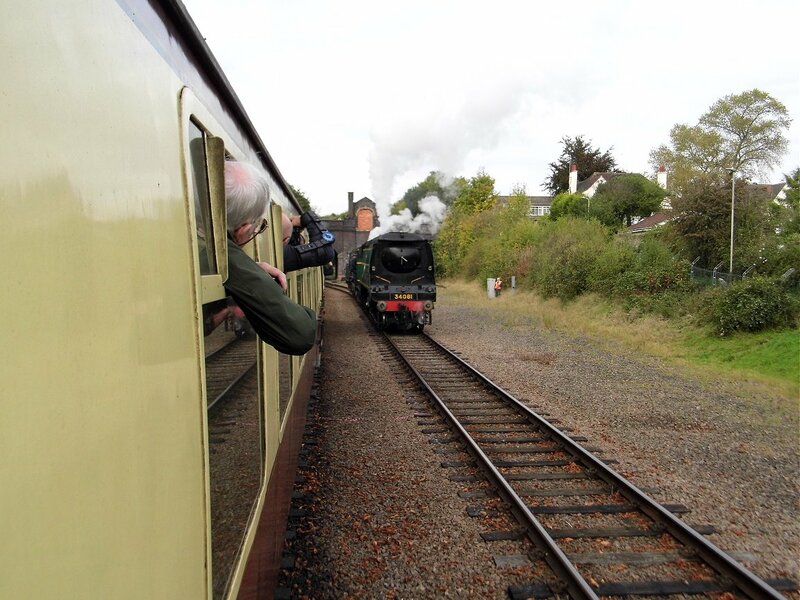 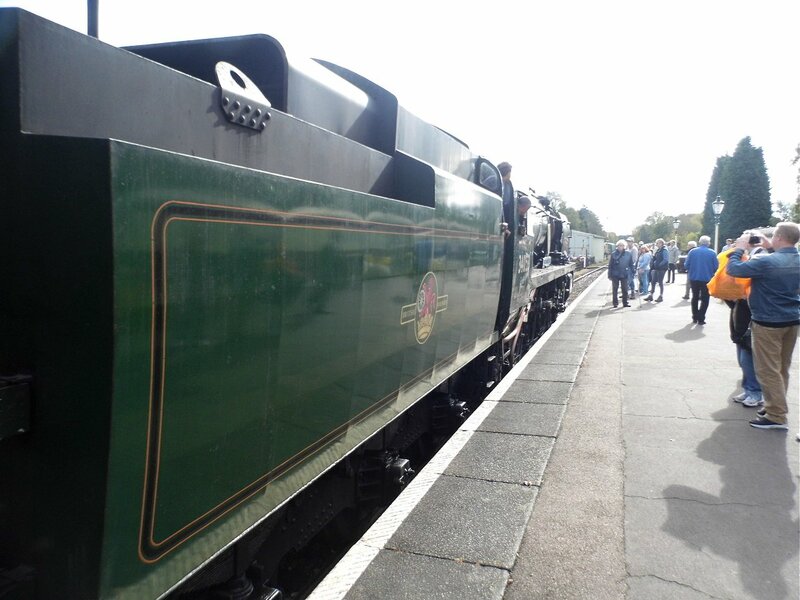 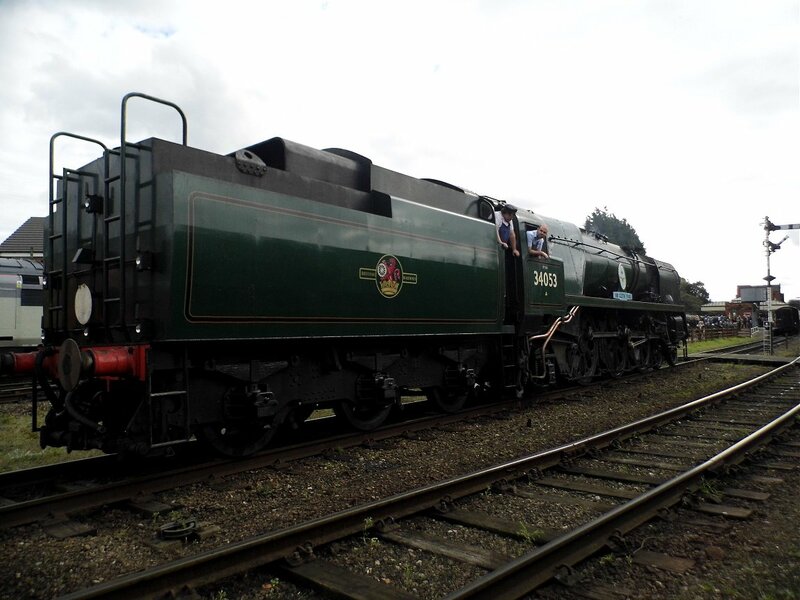 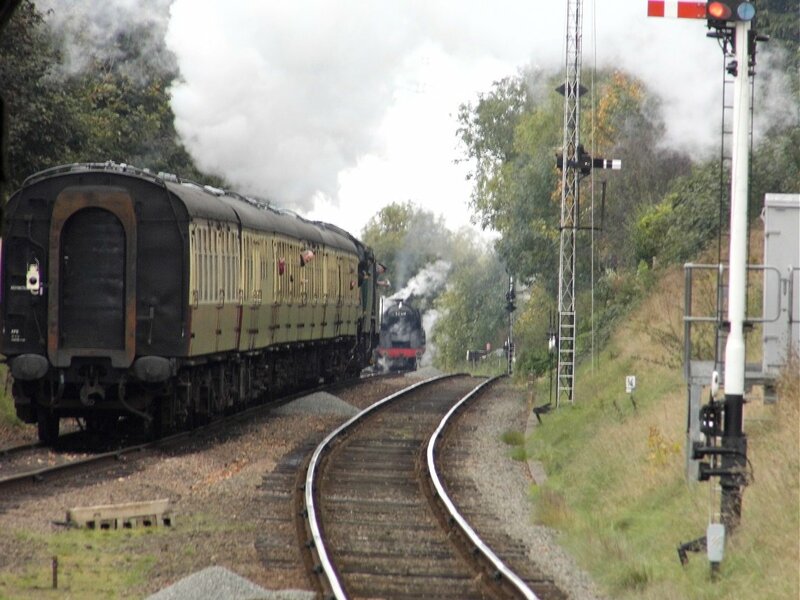 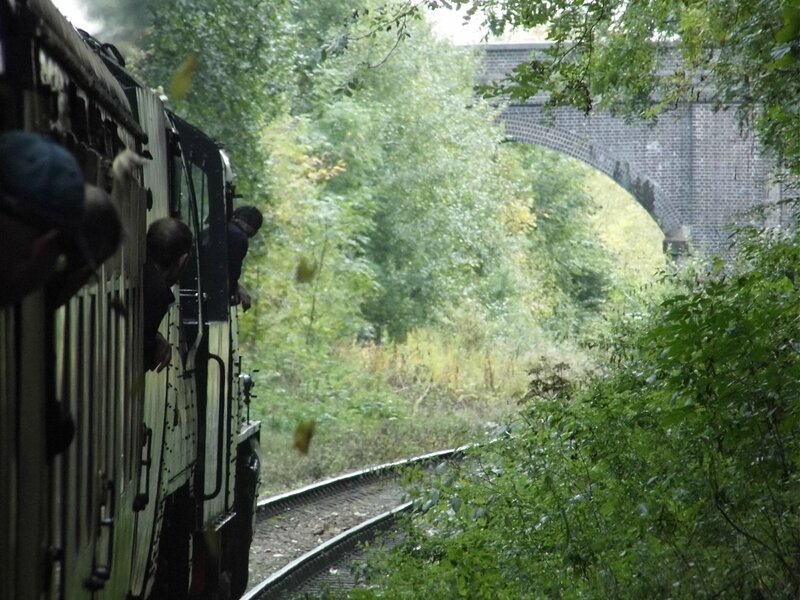 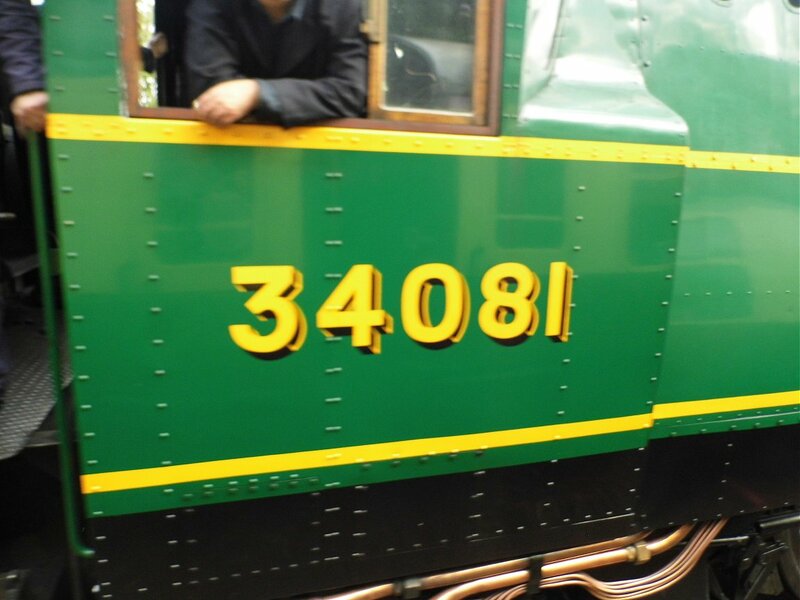 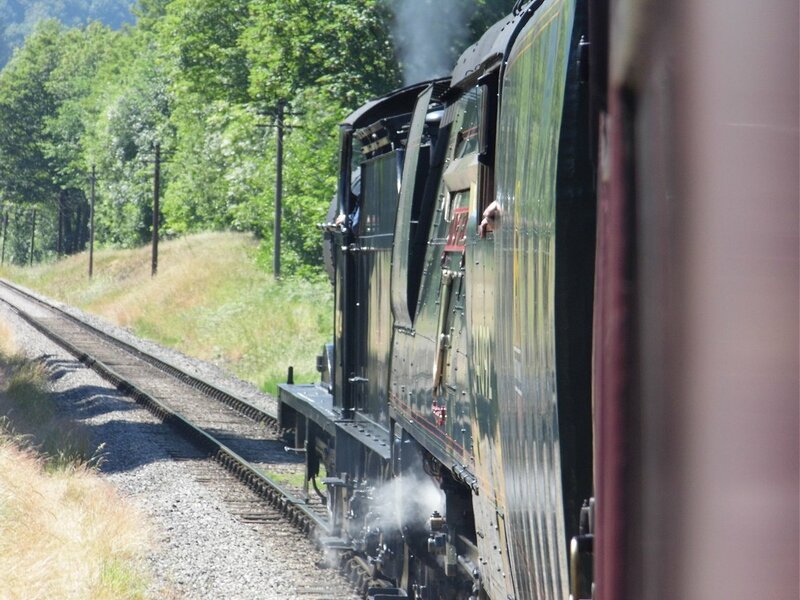 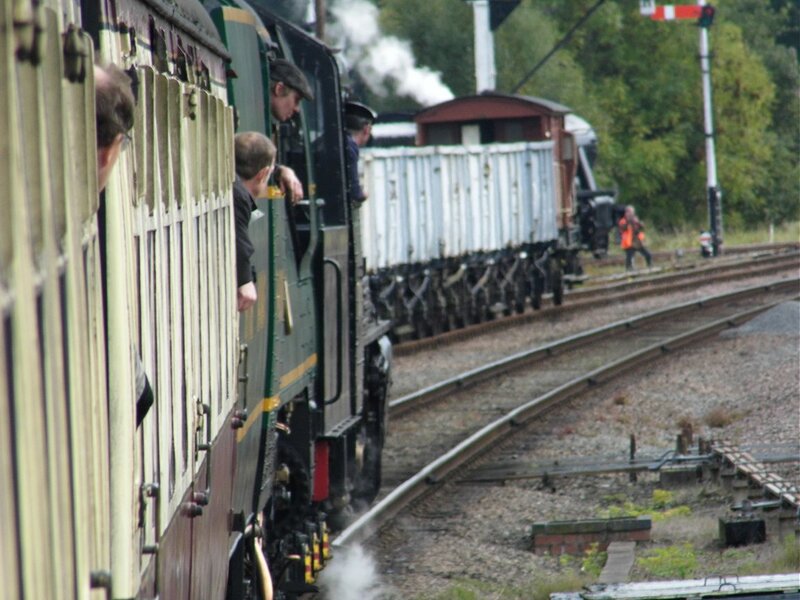 Sat at the entrance was Blackmoor Vale from the Bluebell Railway. 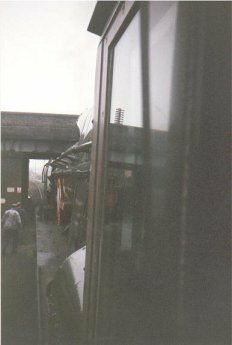 Friday 19th May 2017 I travelled to the Severn Valley Railway, Bridgenorth, for their Diesel Gala. 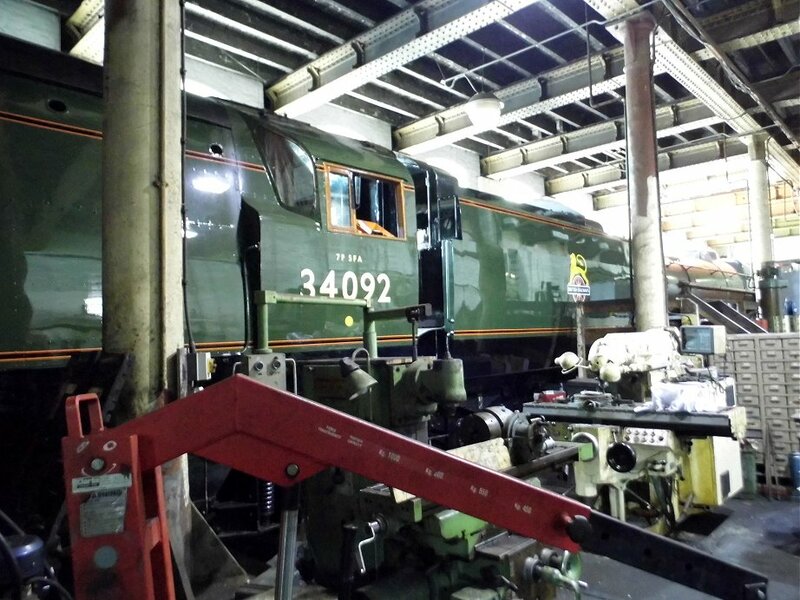 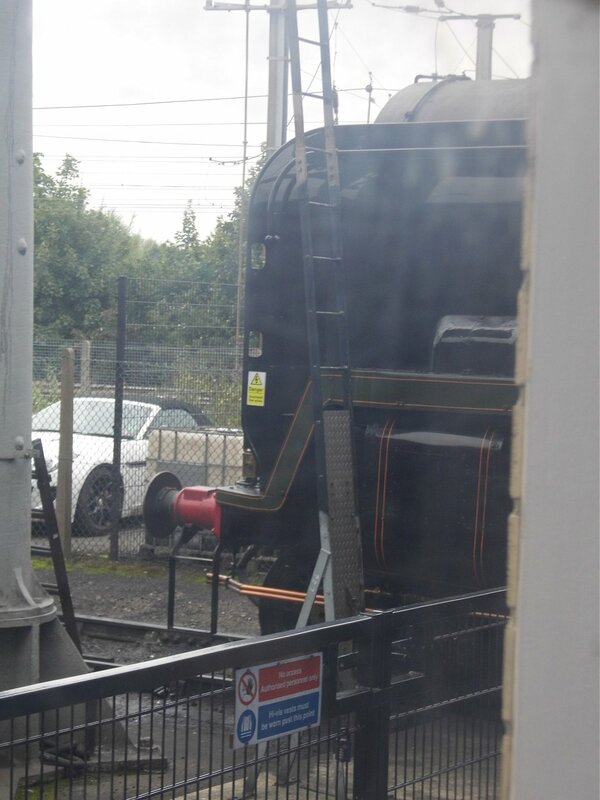 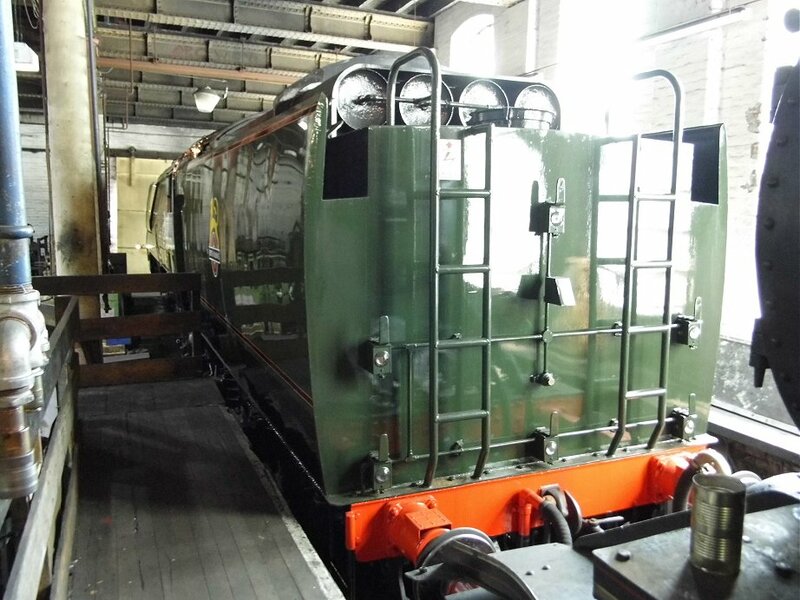 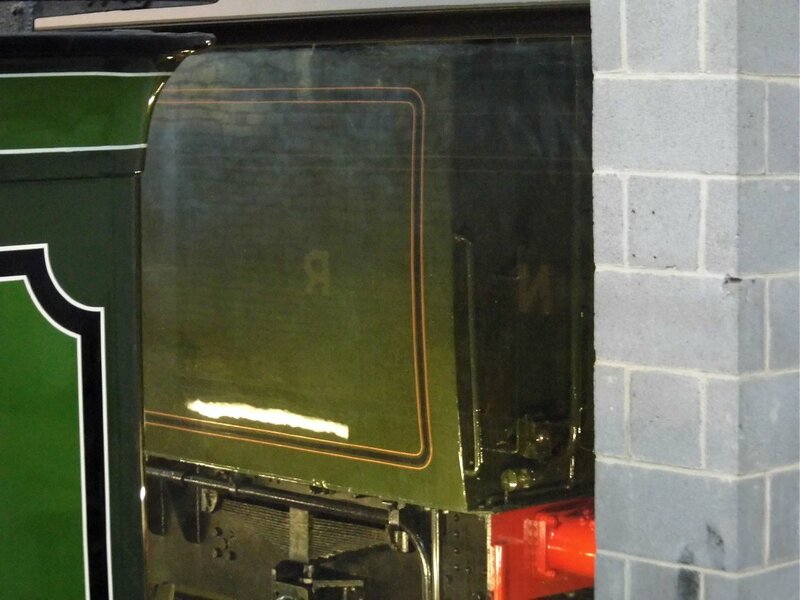 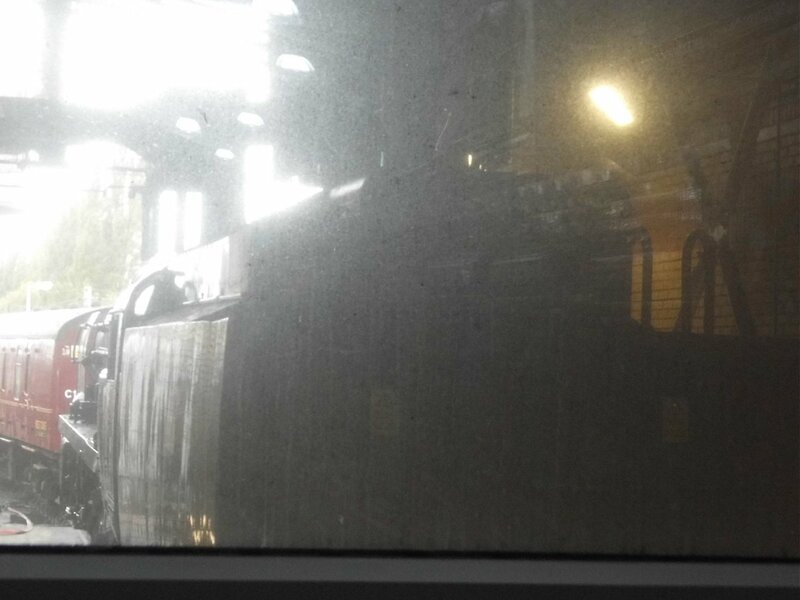 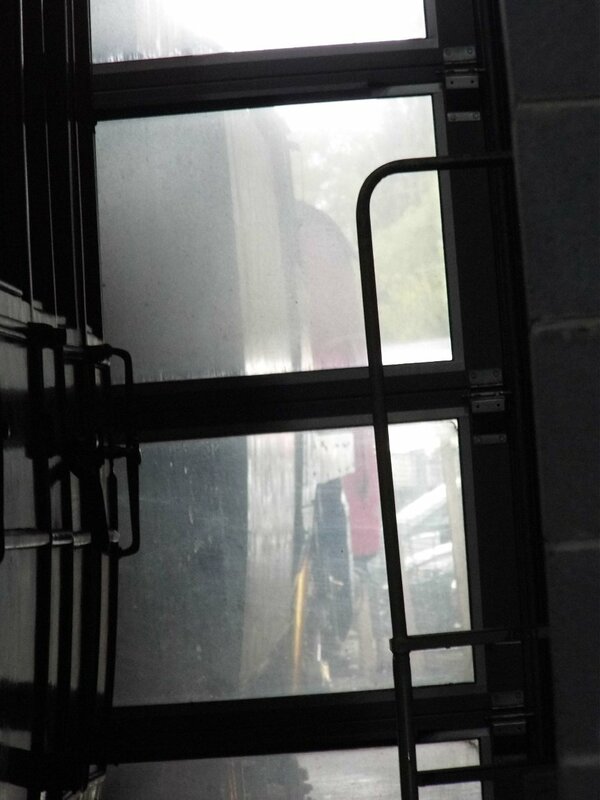 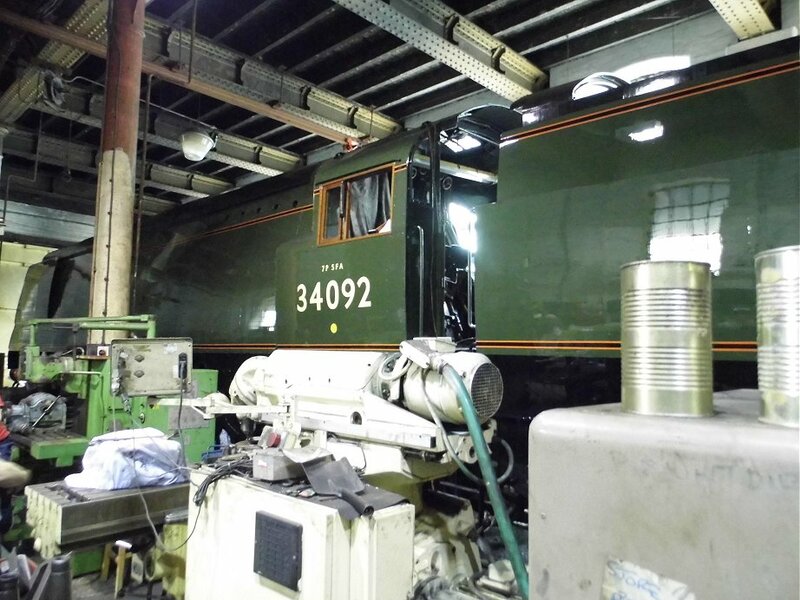 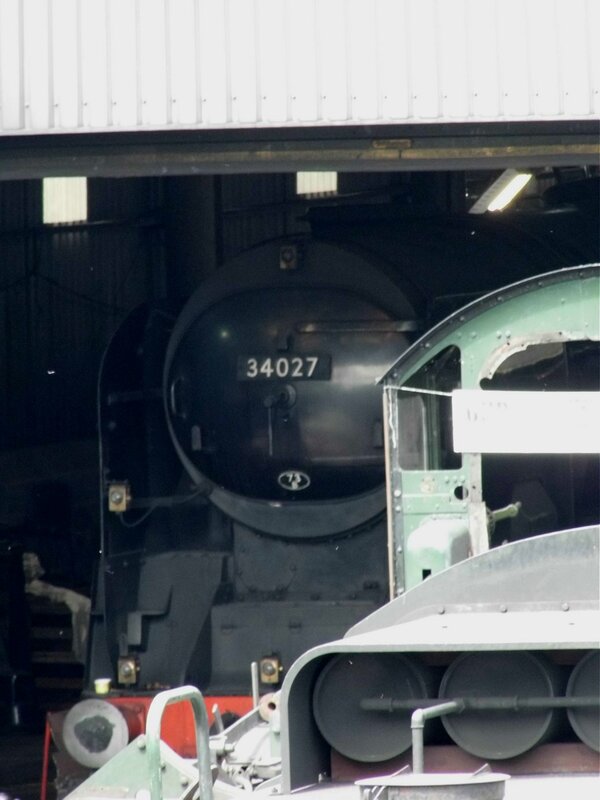 I saw rebuilt West Country class 34027 Taw Valley peeking out of the shed. 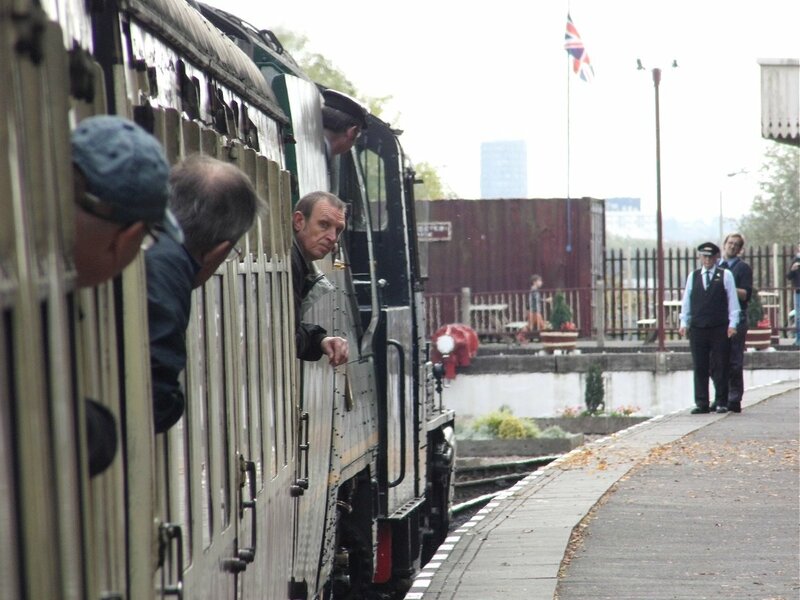 Sunday 11th September 2016 I travelled to the Great Central Railway, Loughborough, for their Autumn Diesel Gala, and again on Sunday 19th March 2017 for the Spring Diesel Gala. 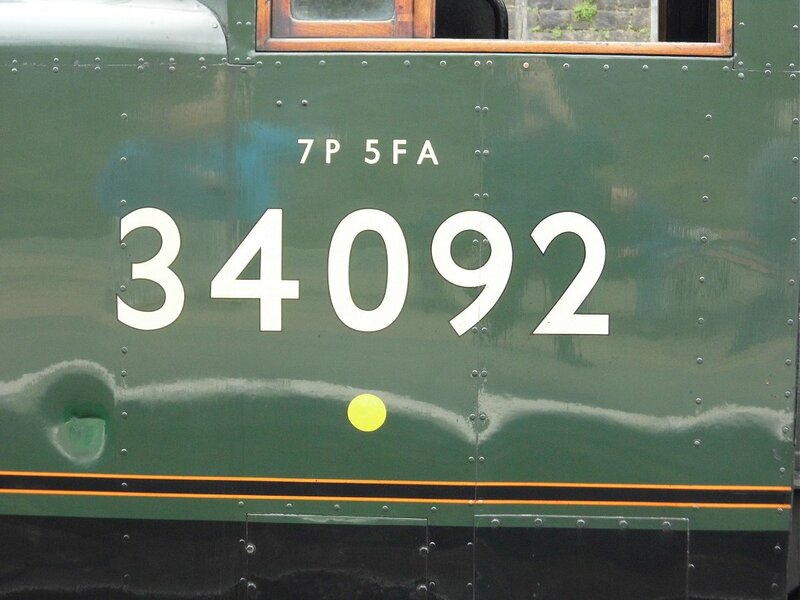 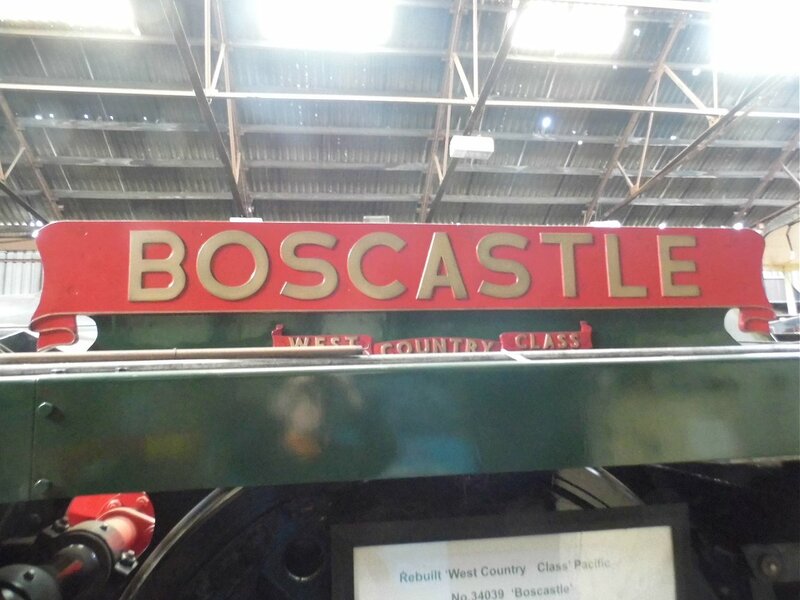 I saw rebuilt West Country class 34039 Boscastle. 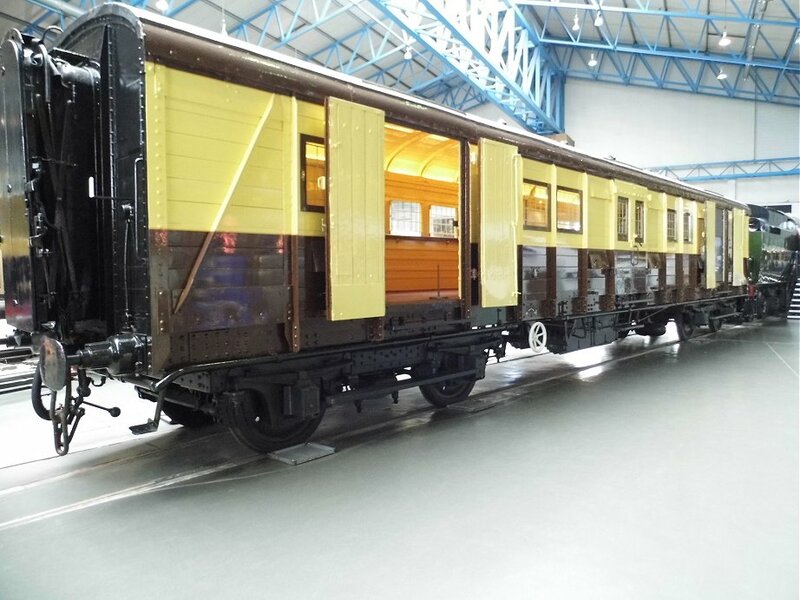 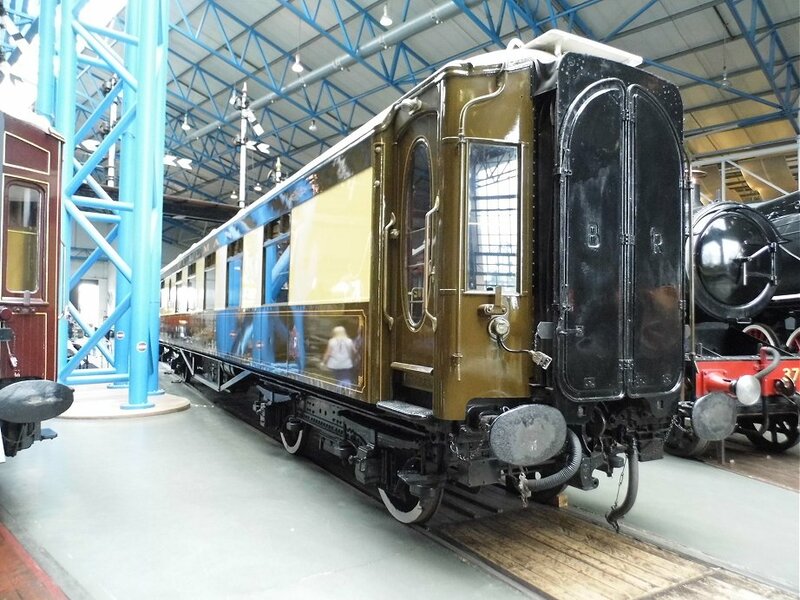 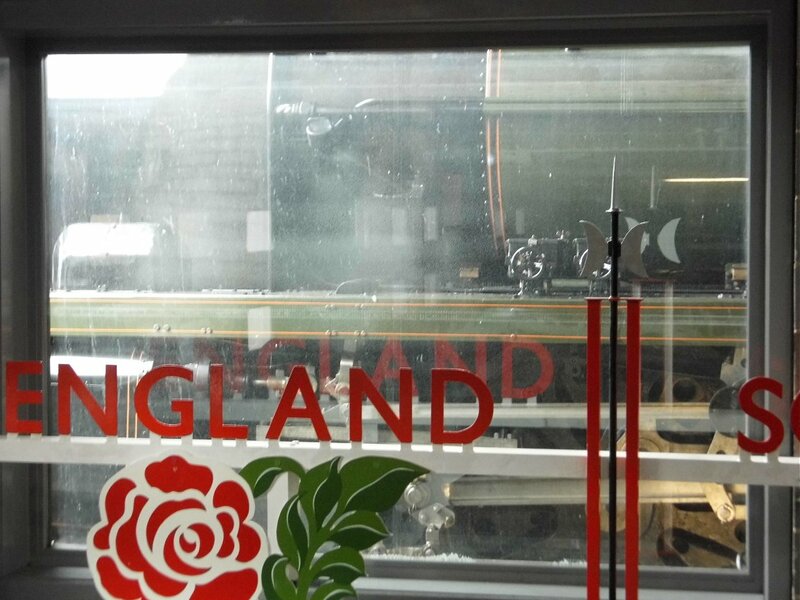 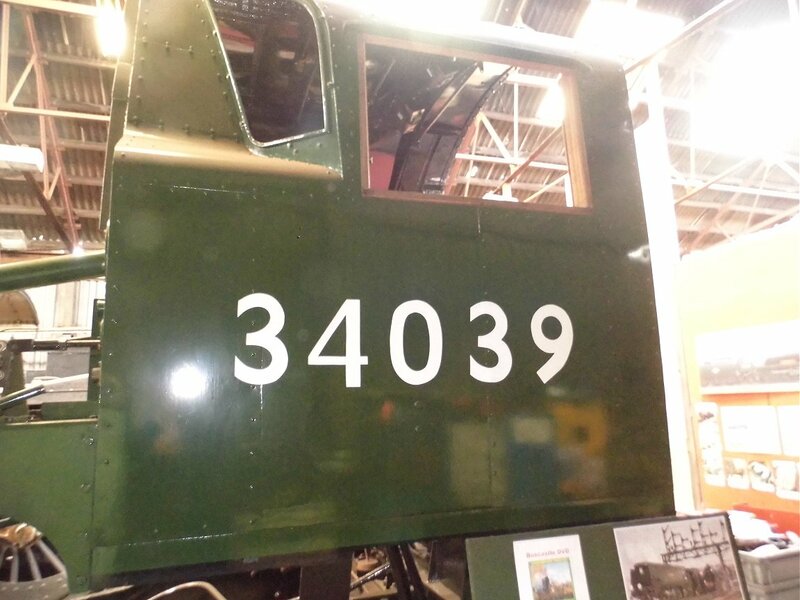 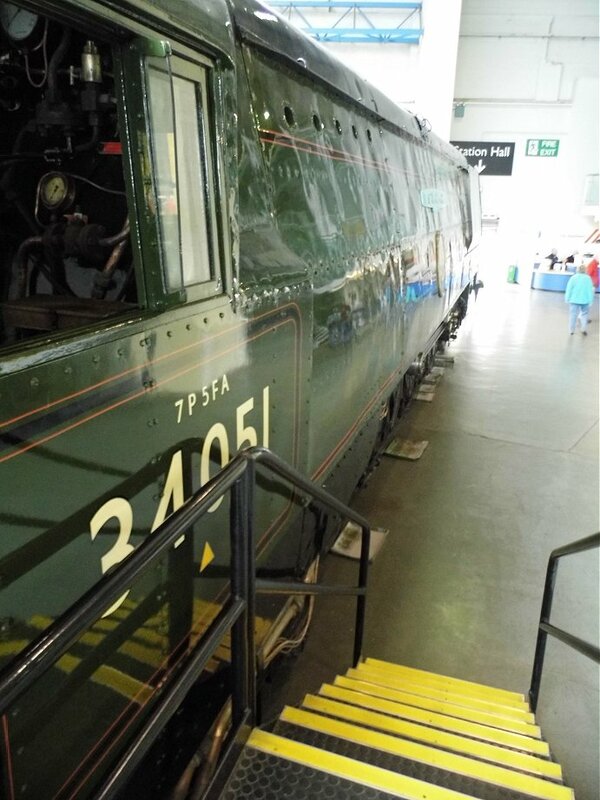 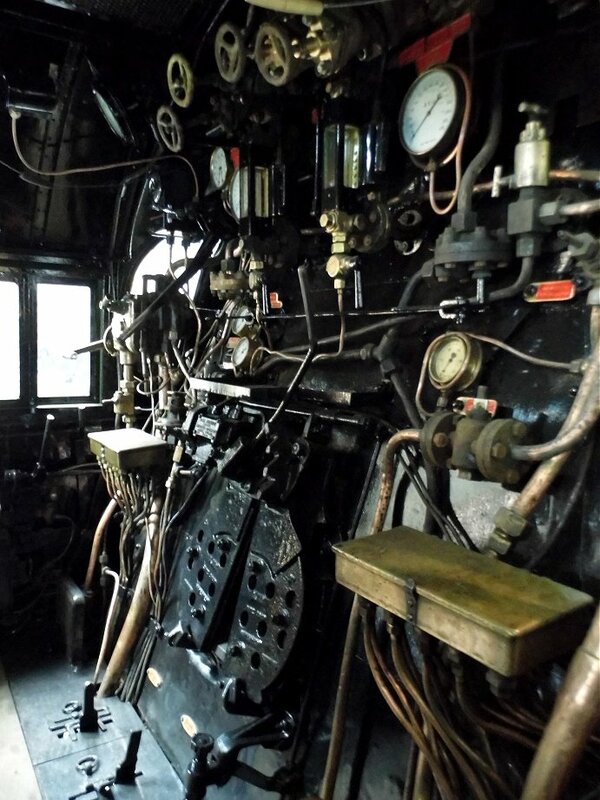 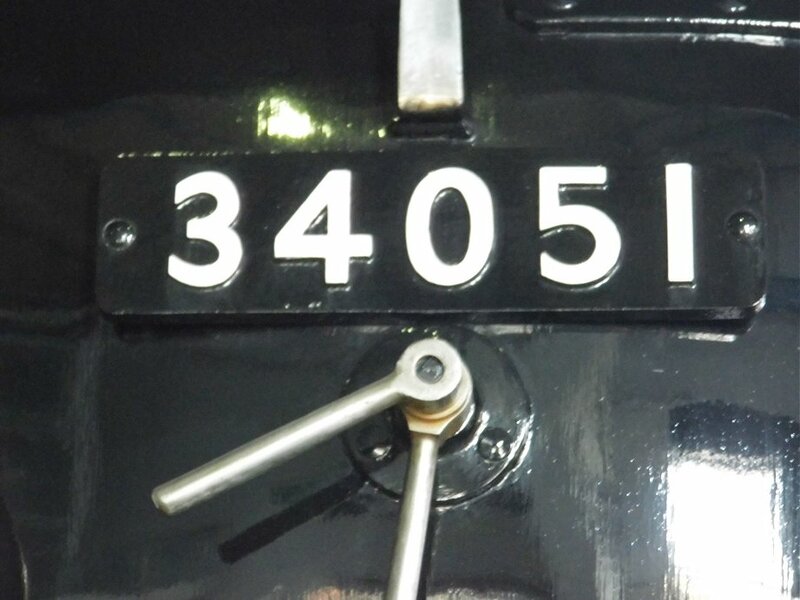 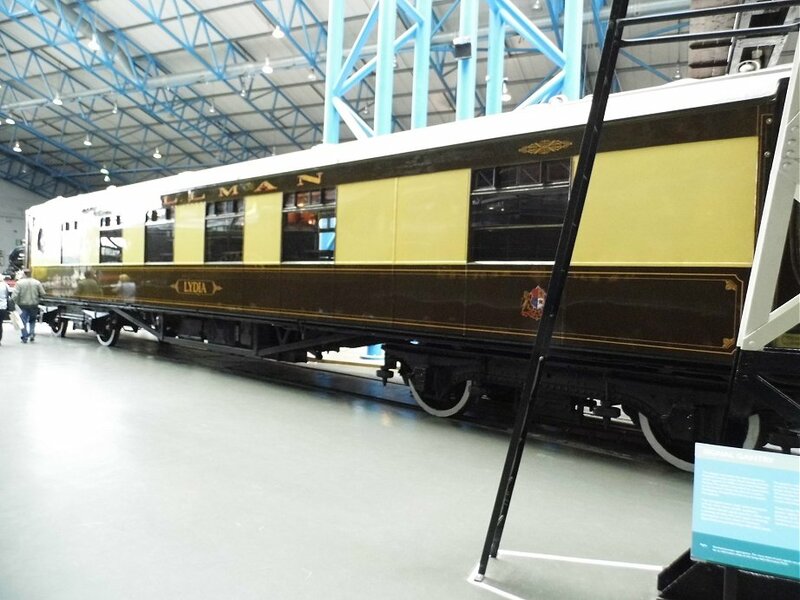 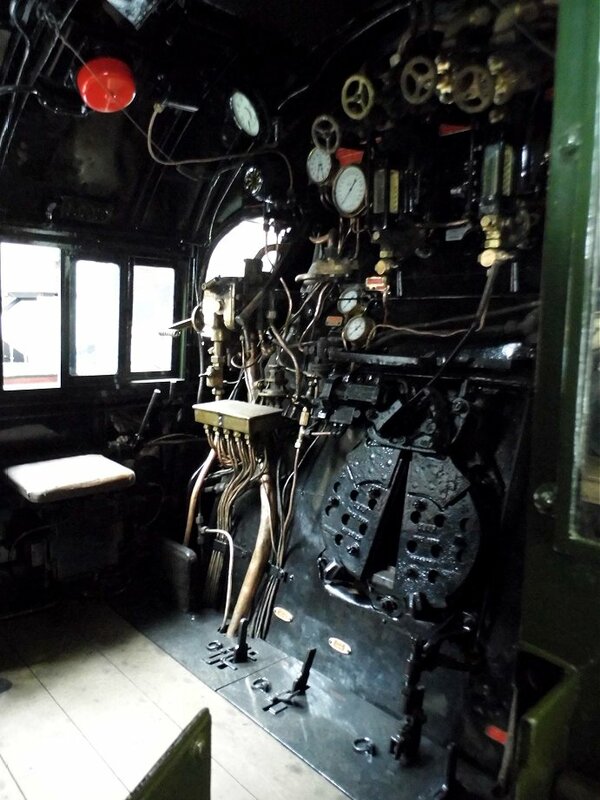 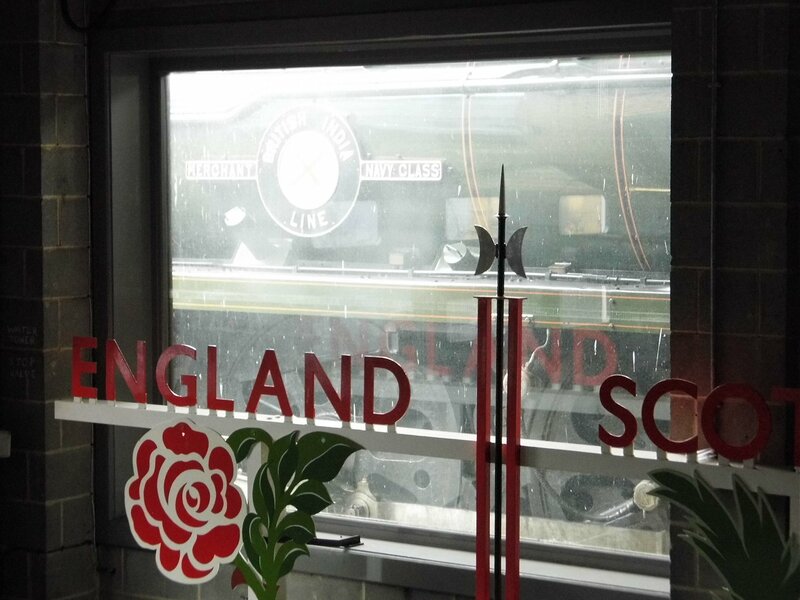 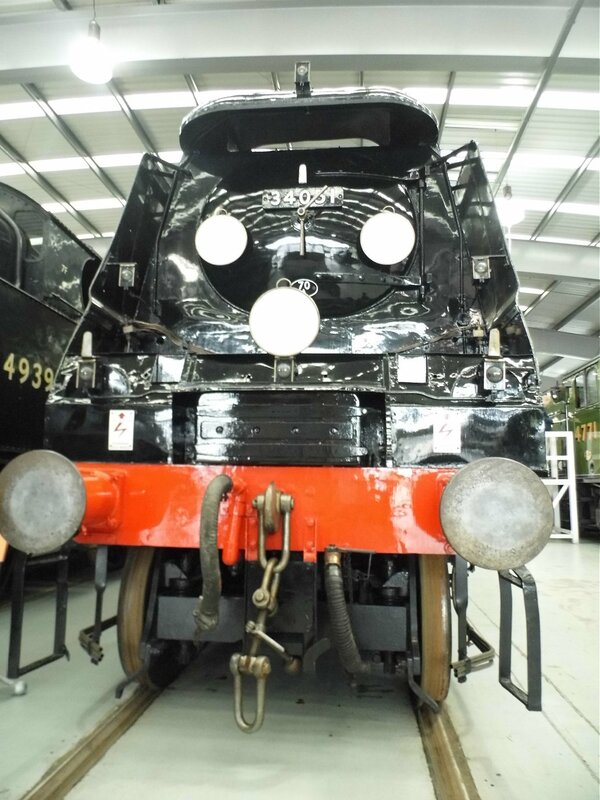 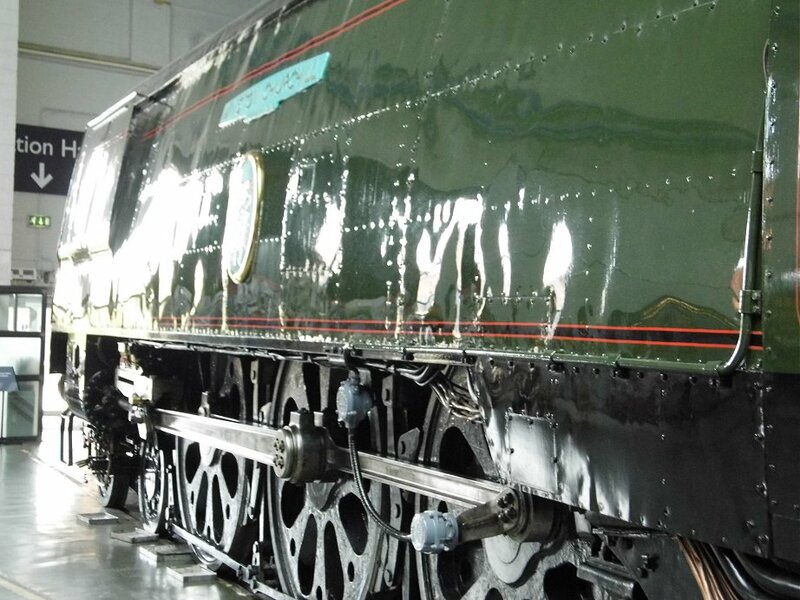 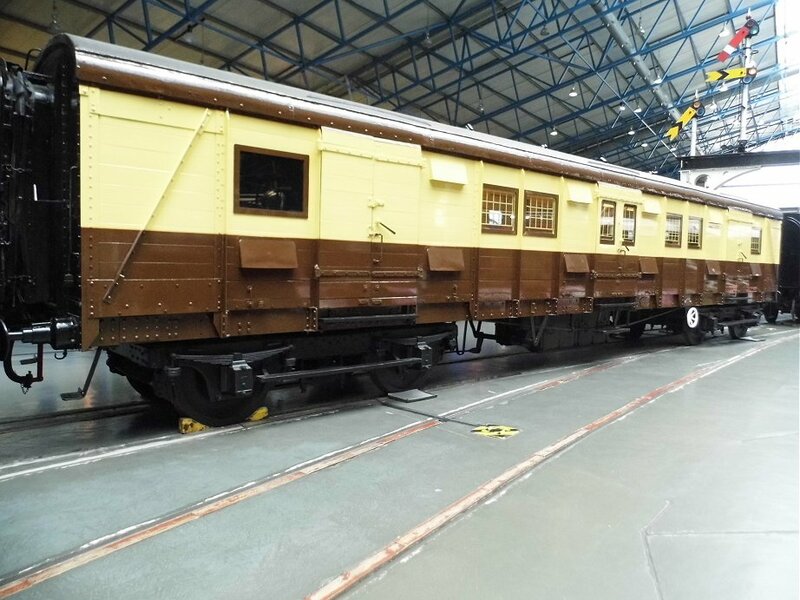 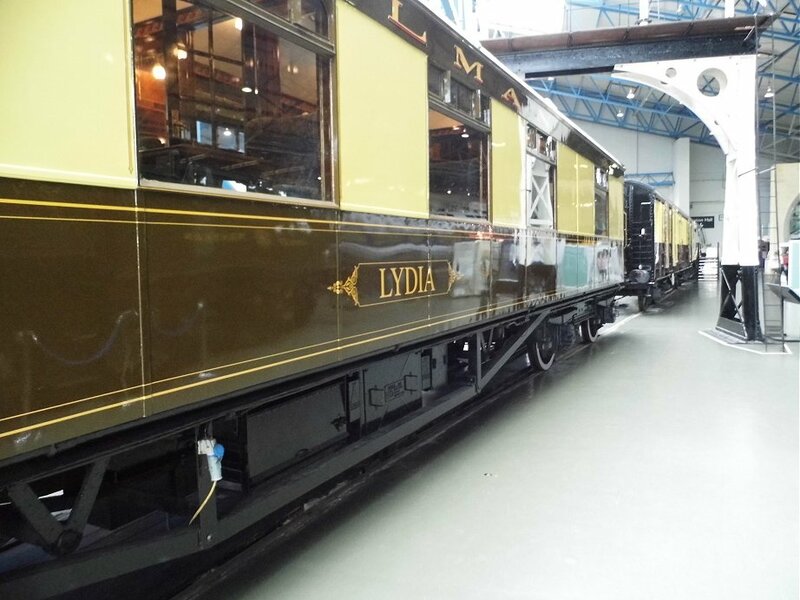 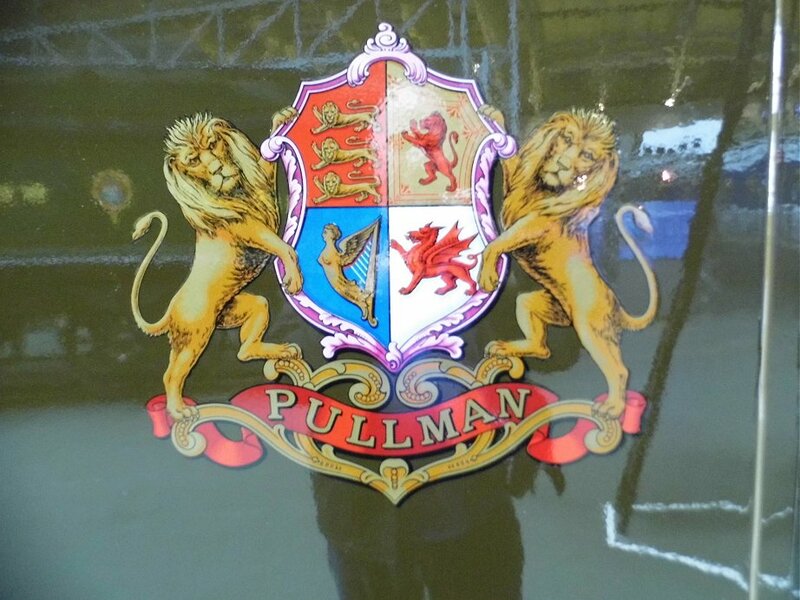 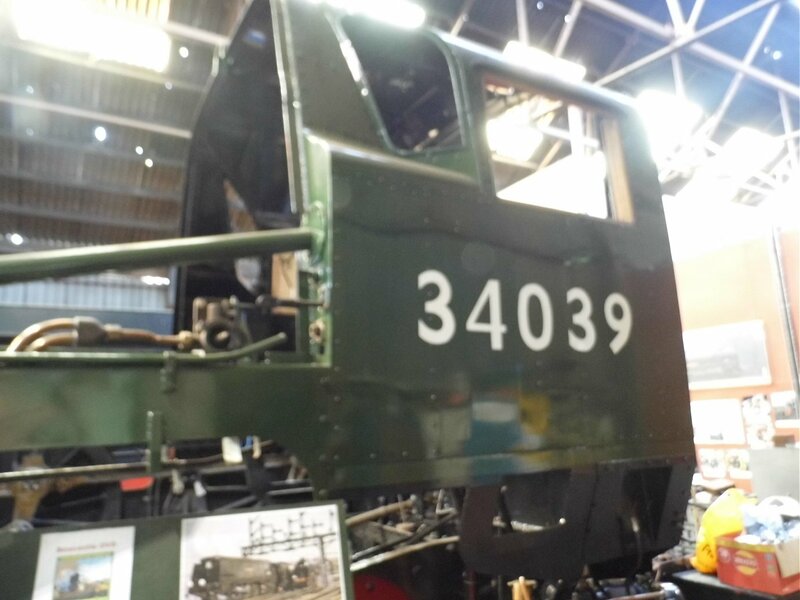 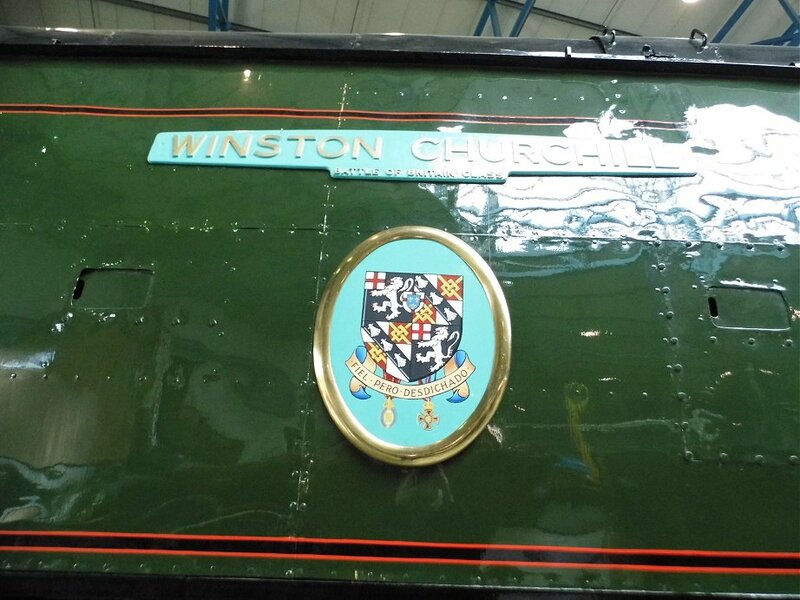 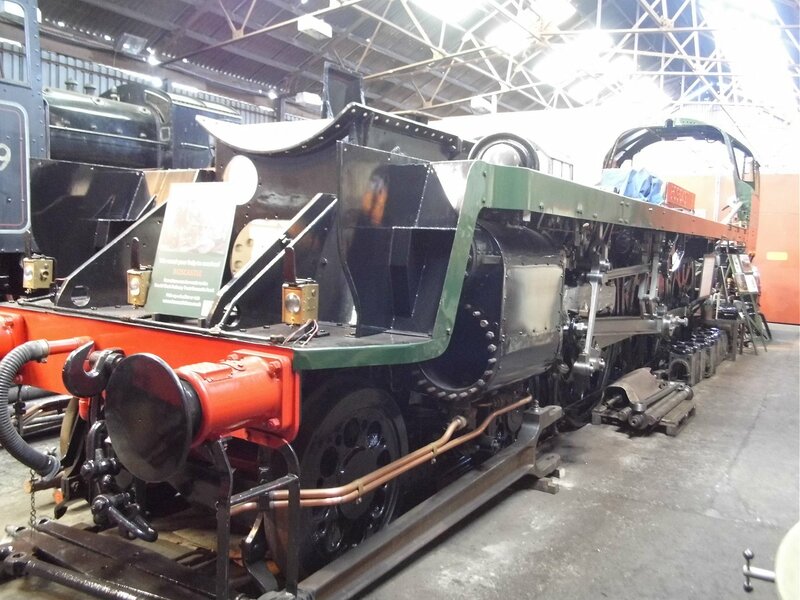 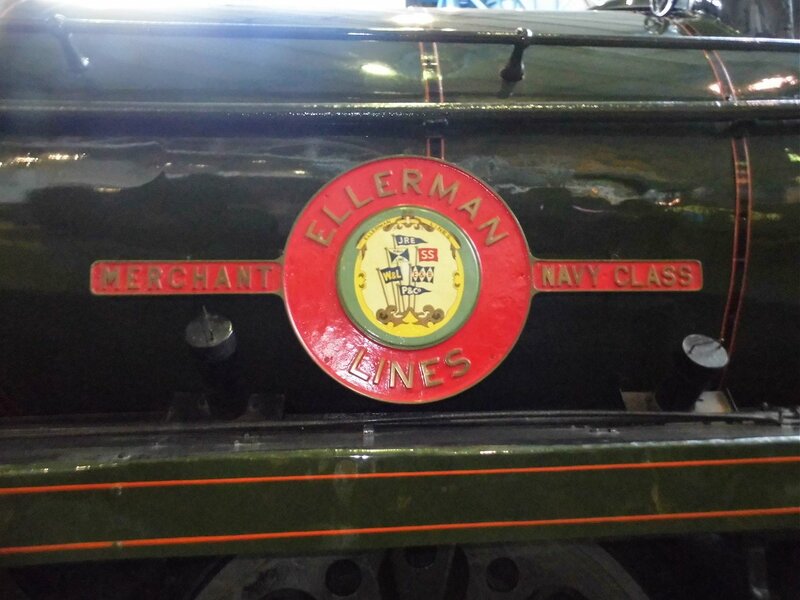 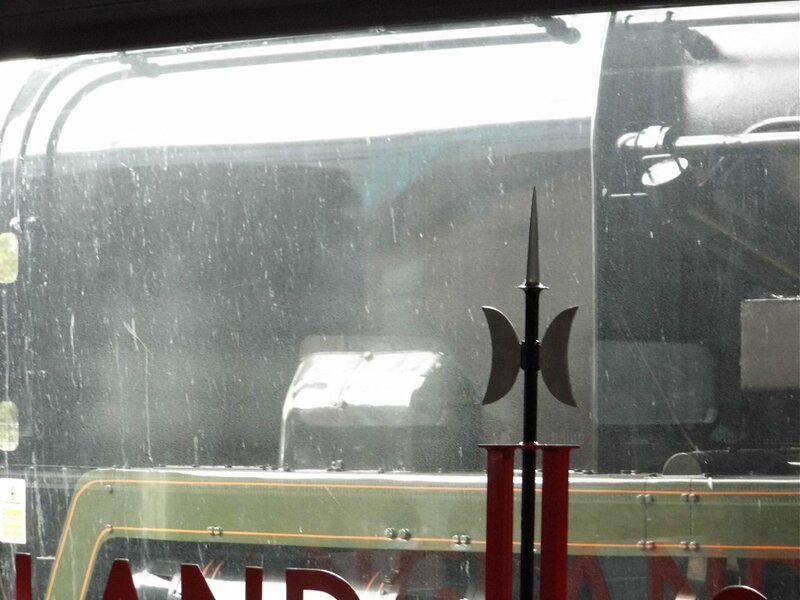 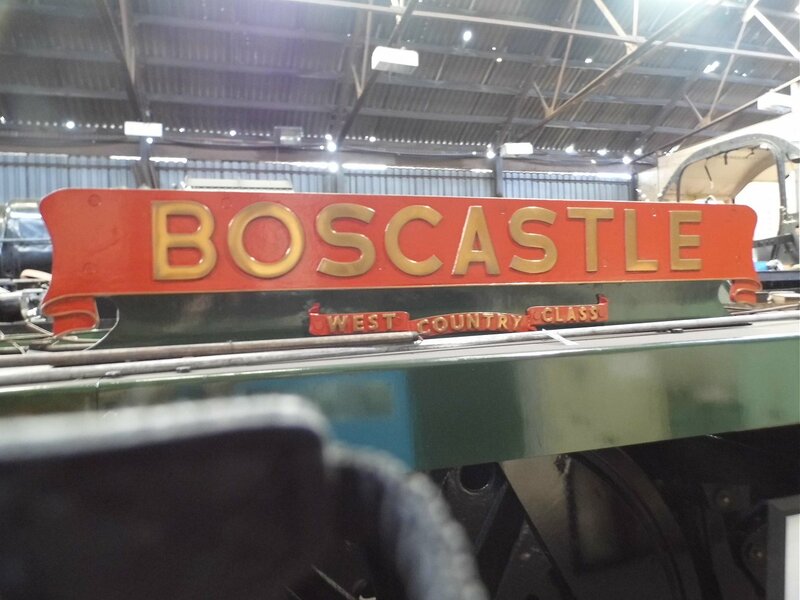 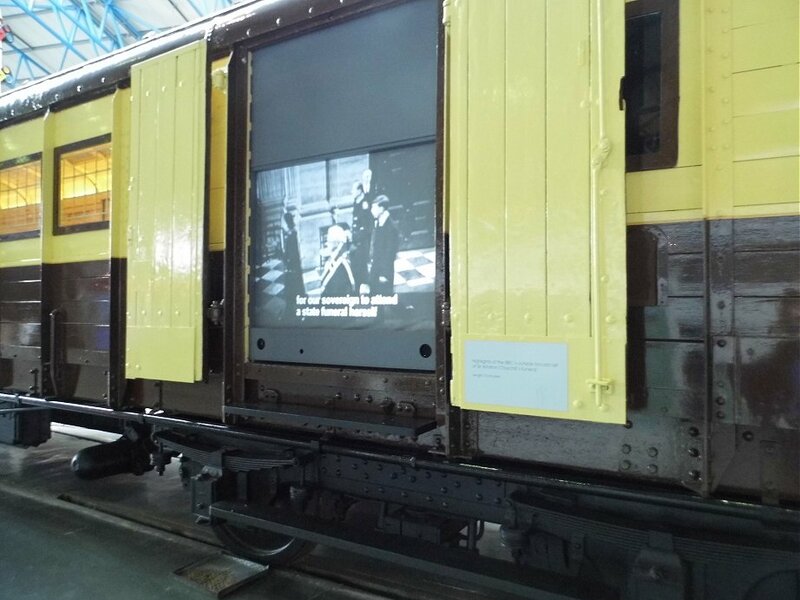 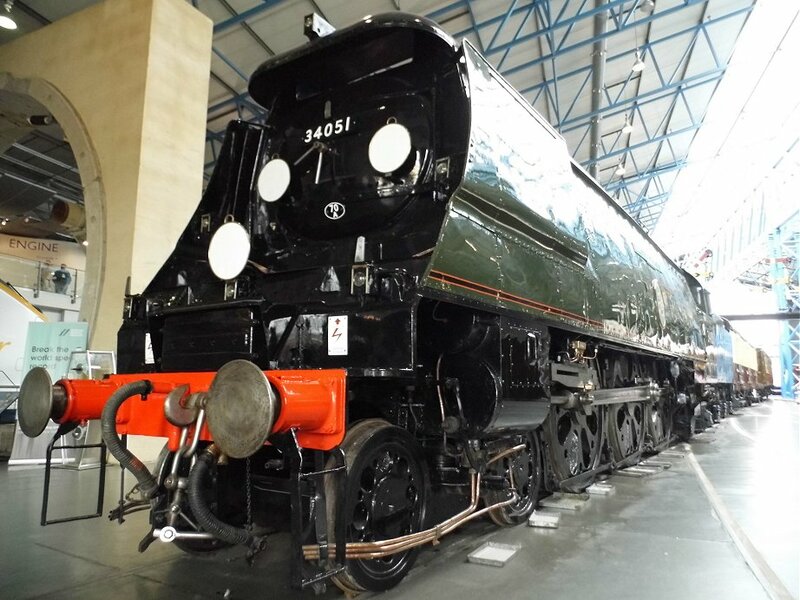 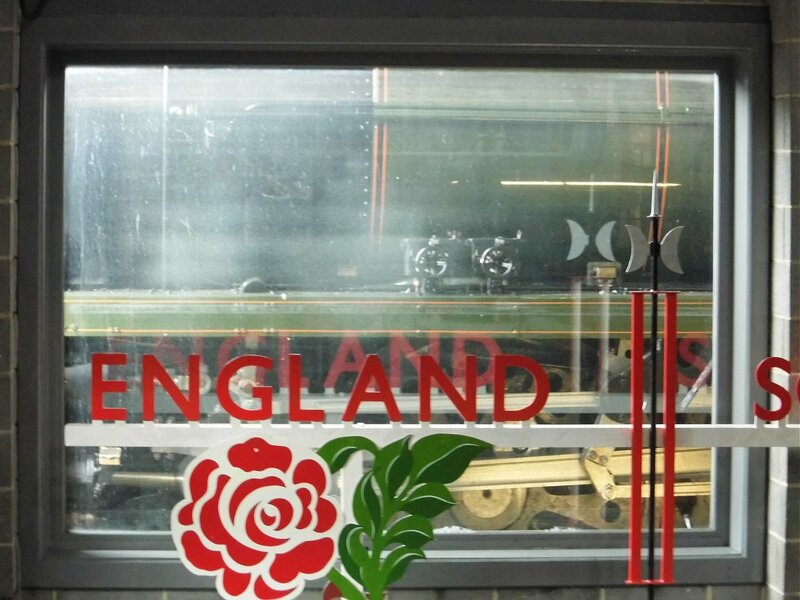 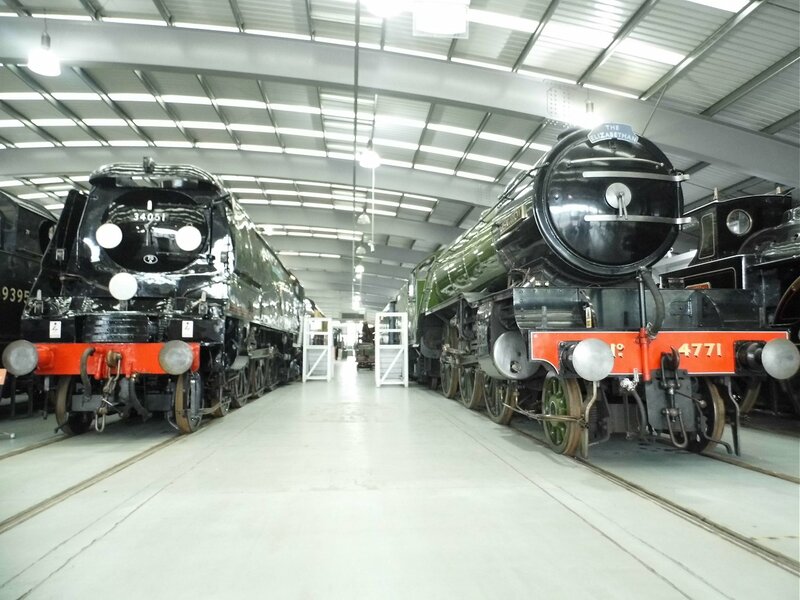 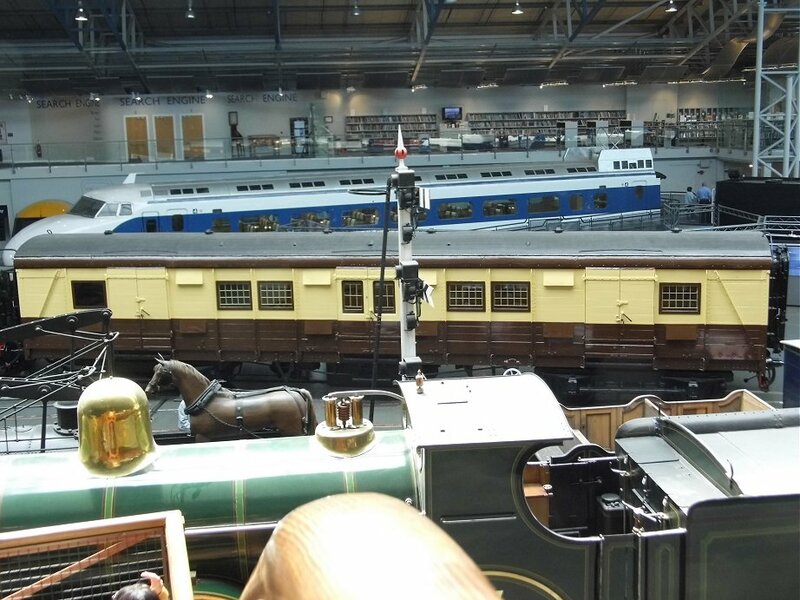 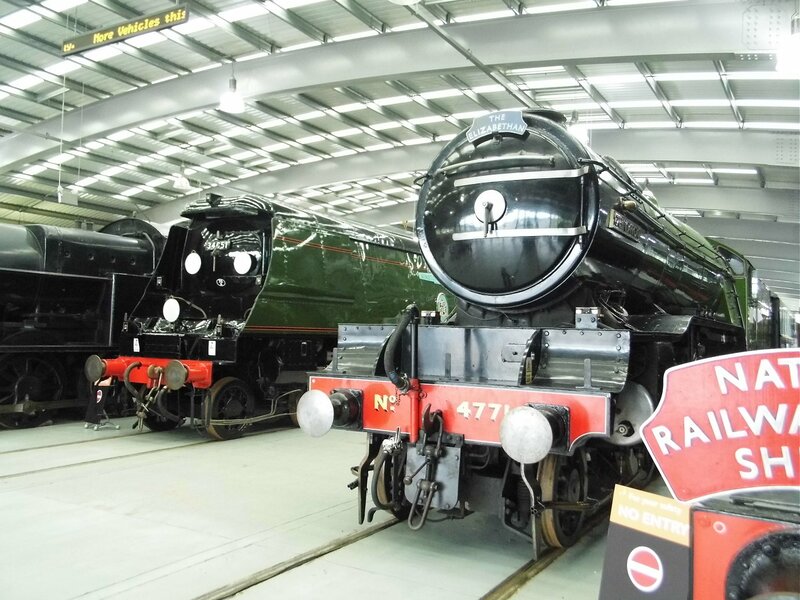 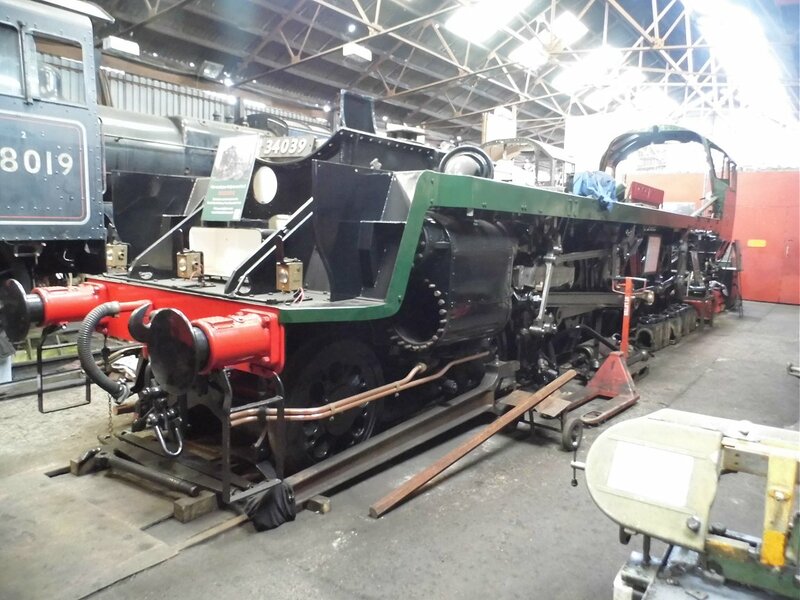 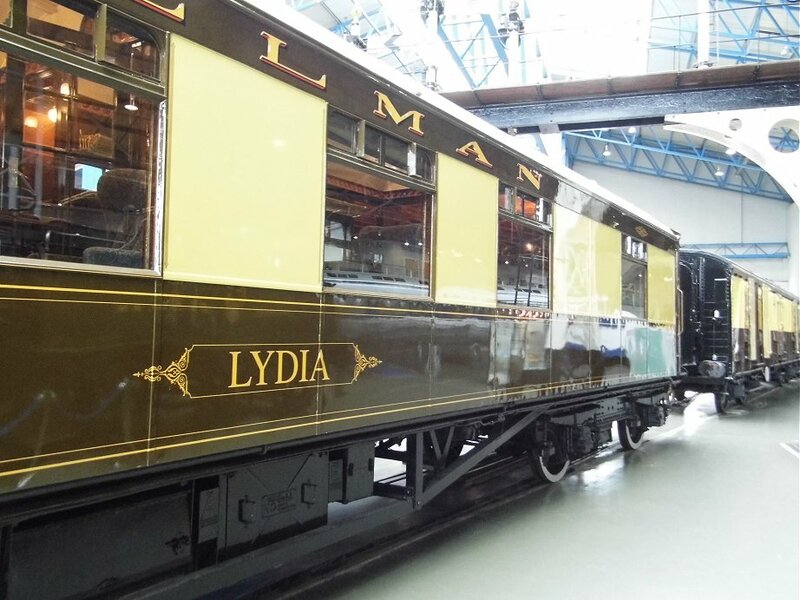 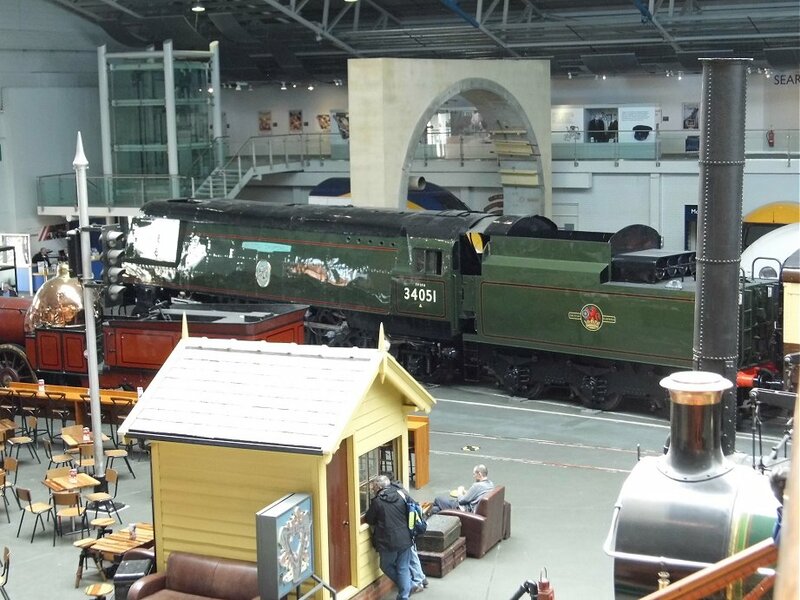 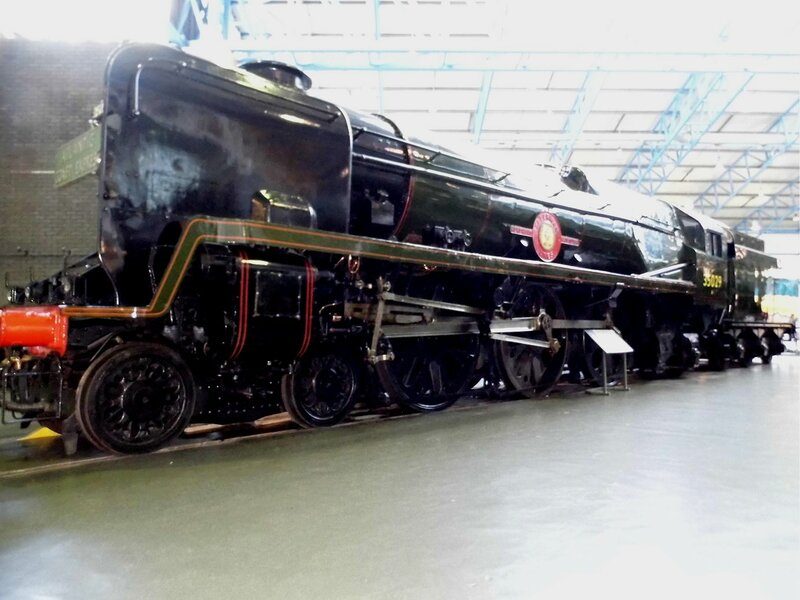 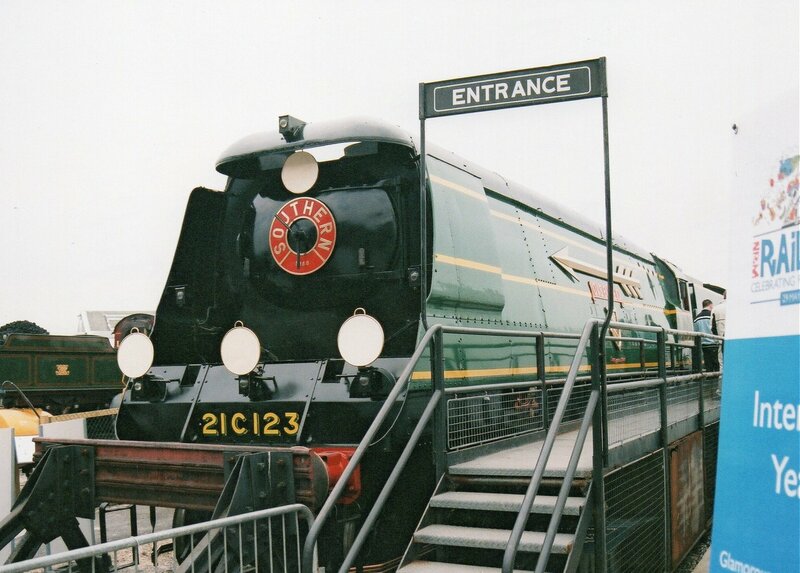 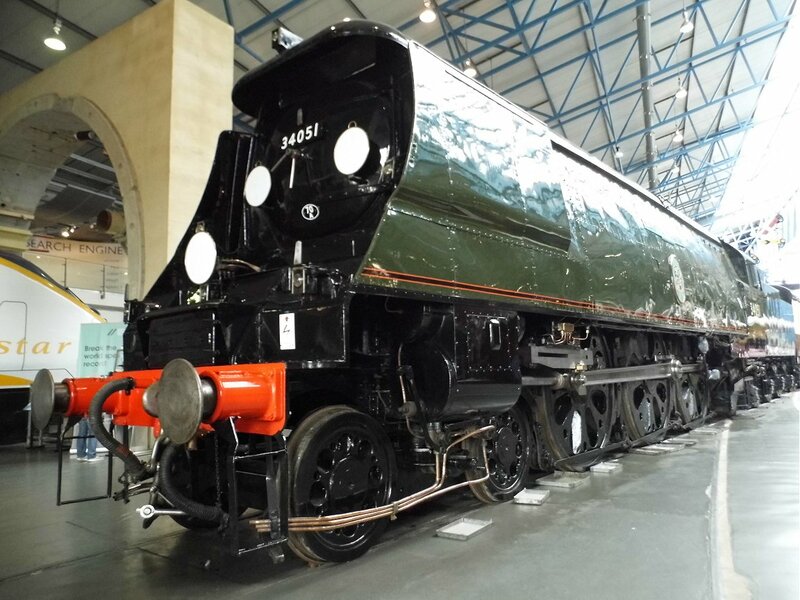 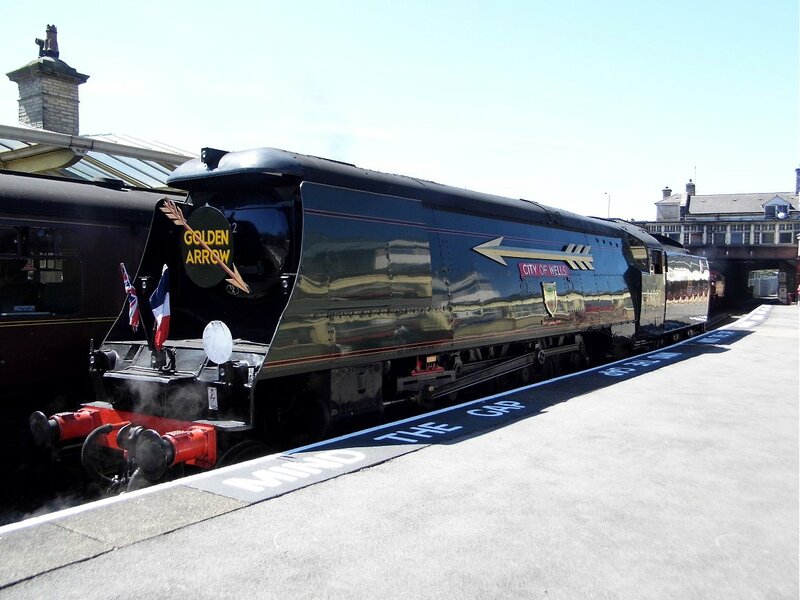 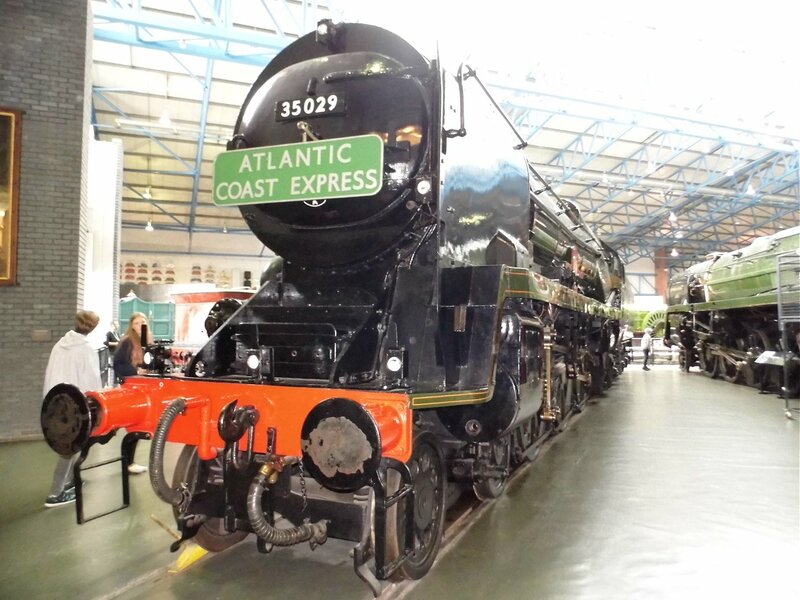 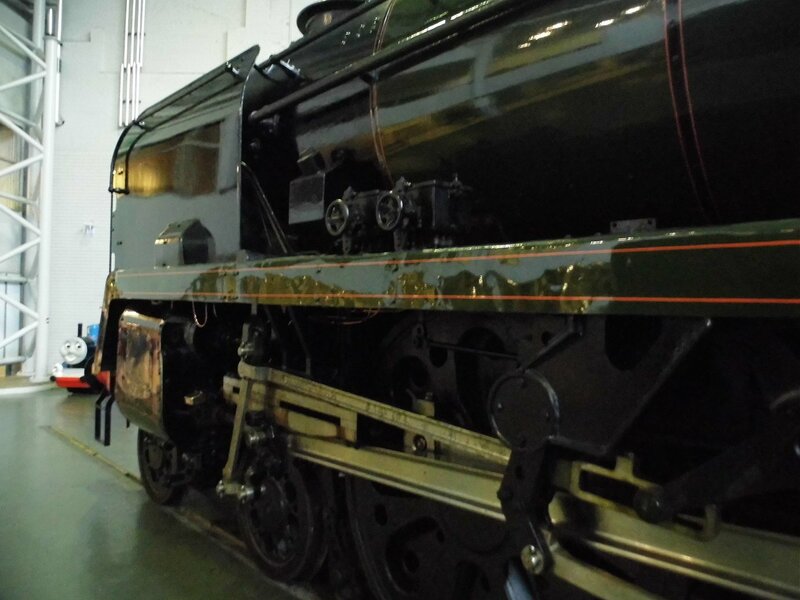 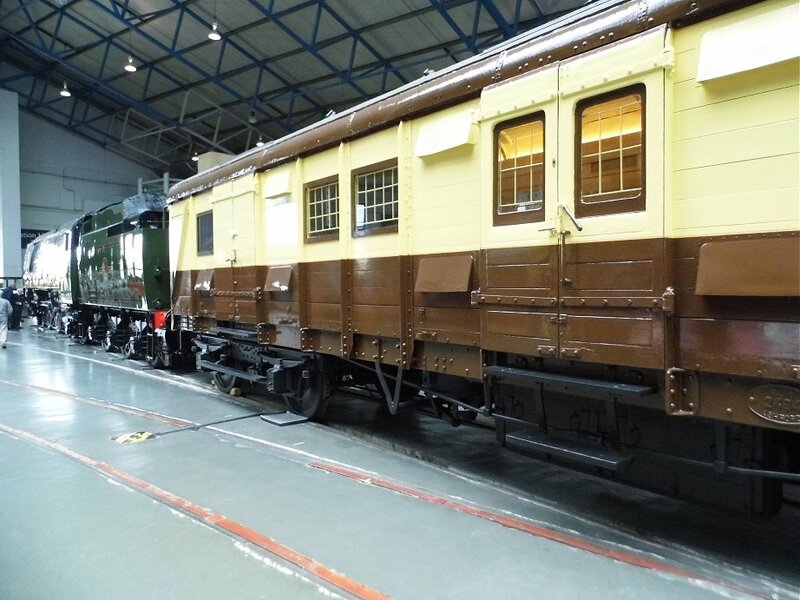 Wednesday June 3rd 2015, I travelled to the National Railway Museum. 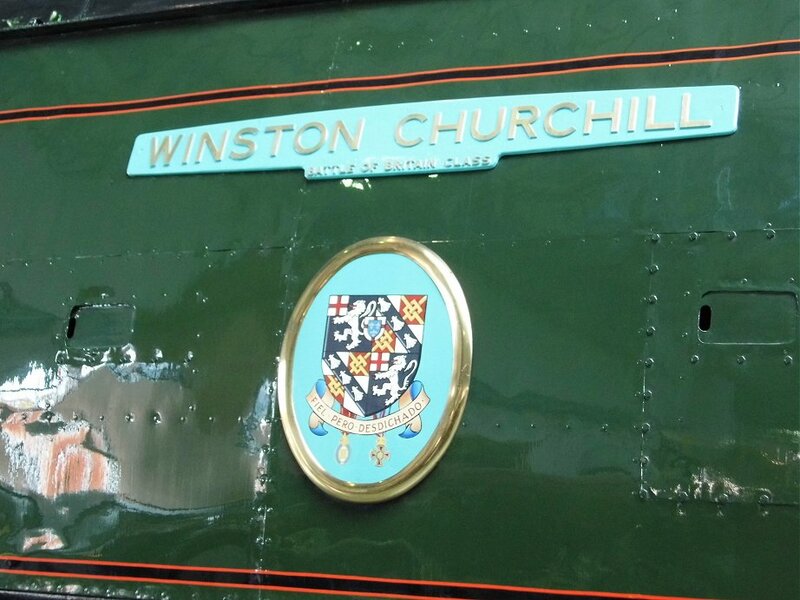 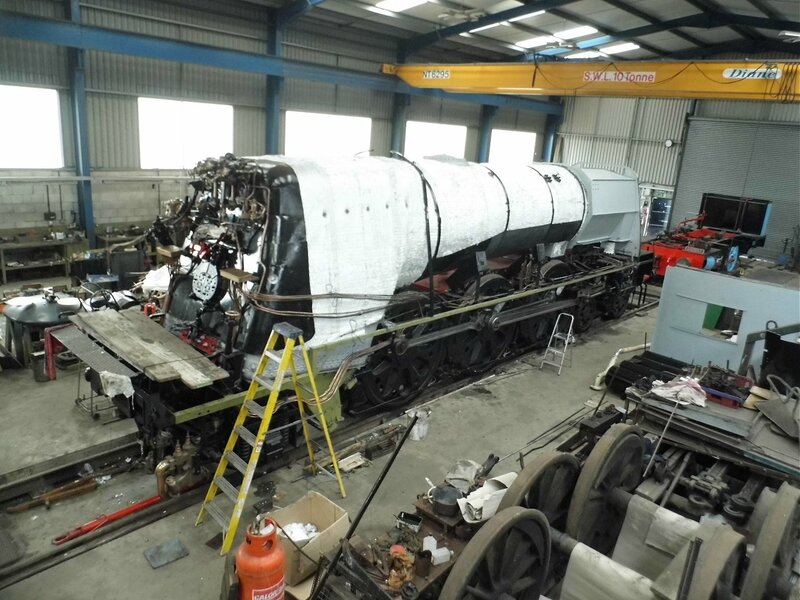 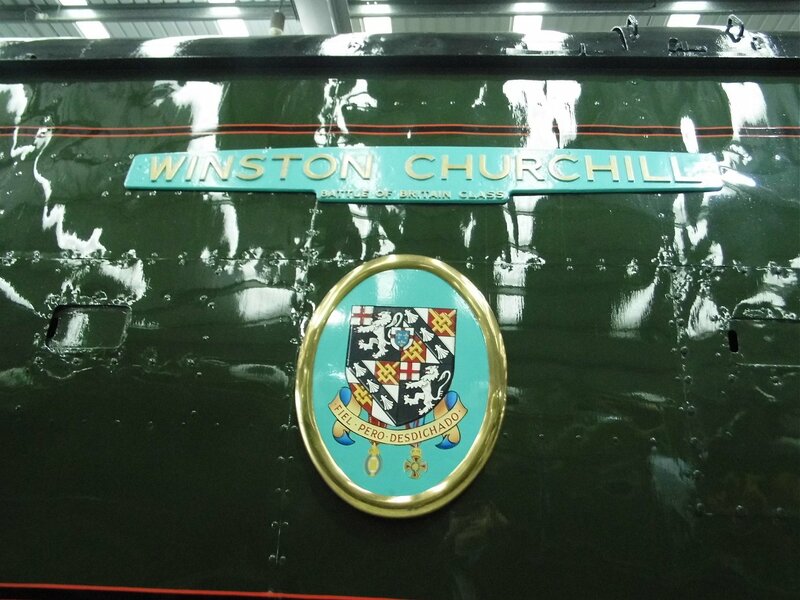 This was my chance to see the remaining restored funeral trail of Sir Winston Churchill and the cosmetically restored locomotive. 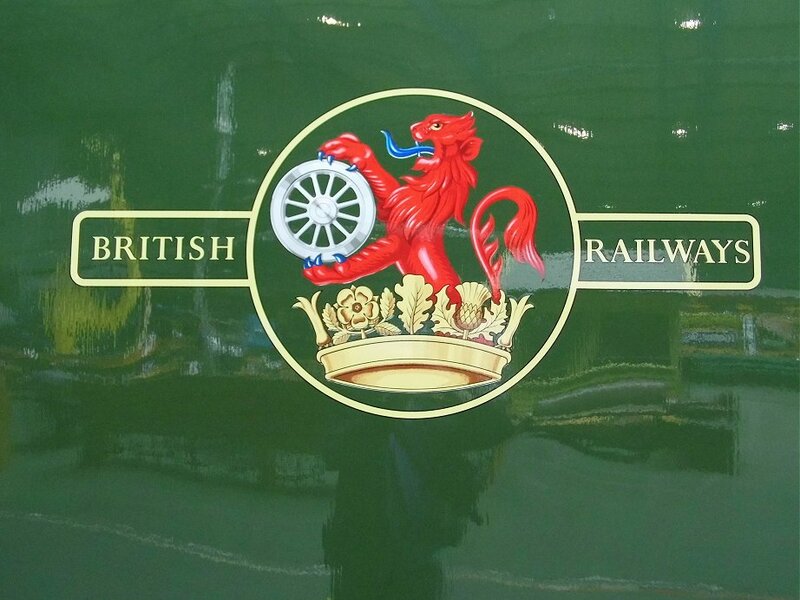 Very tastefully done and very wel done too. 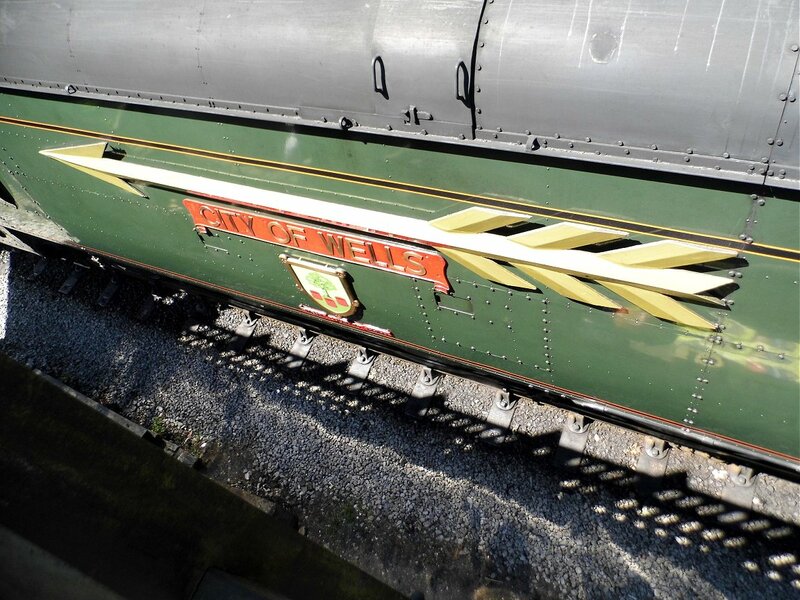 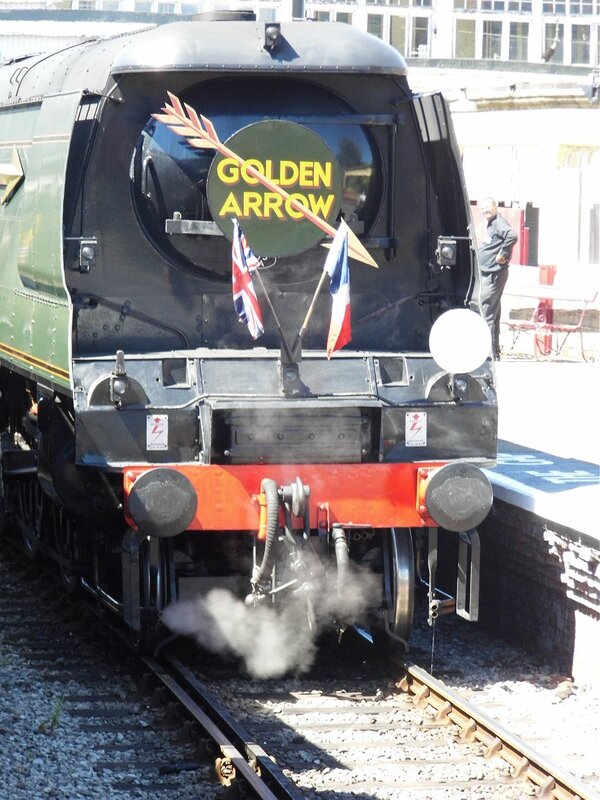 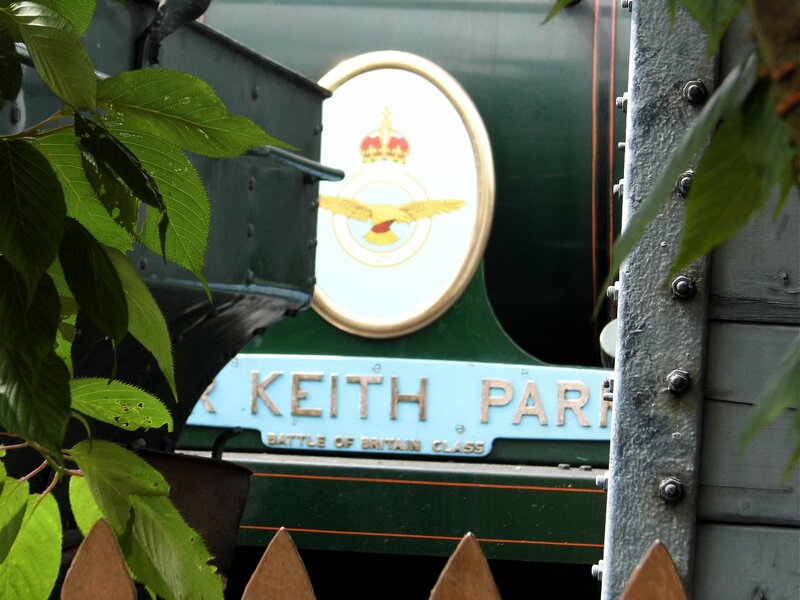 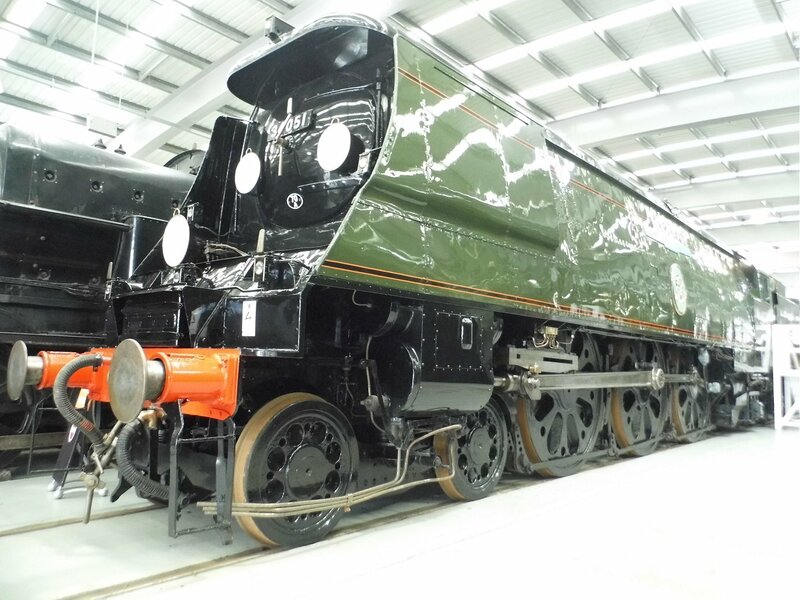 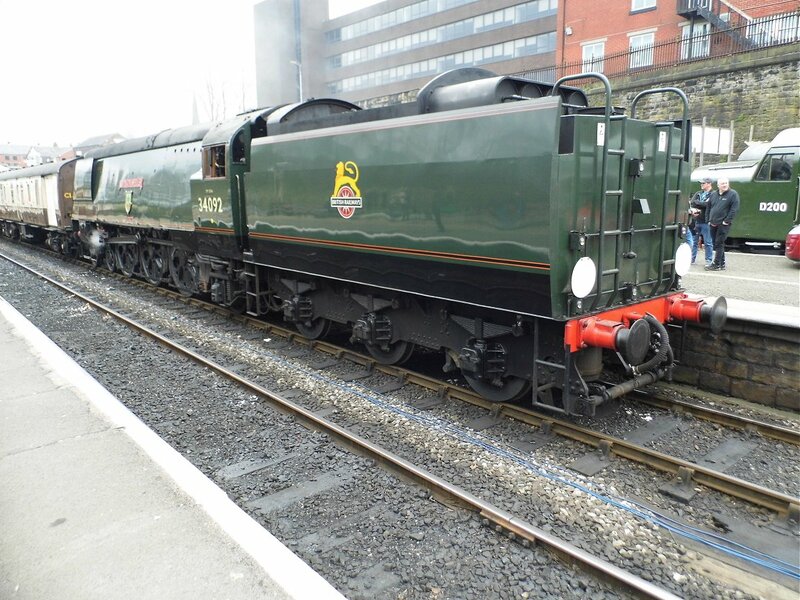 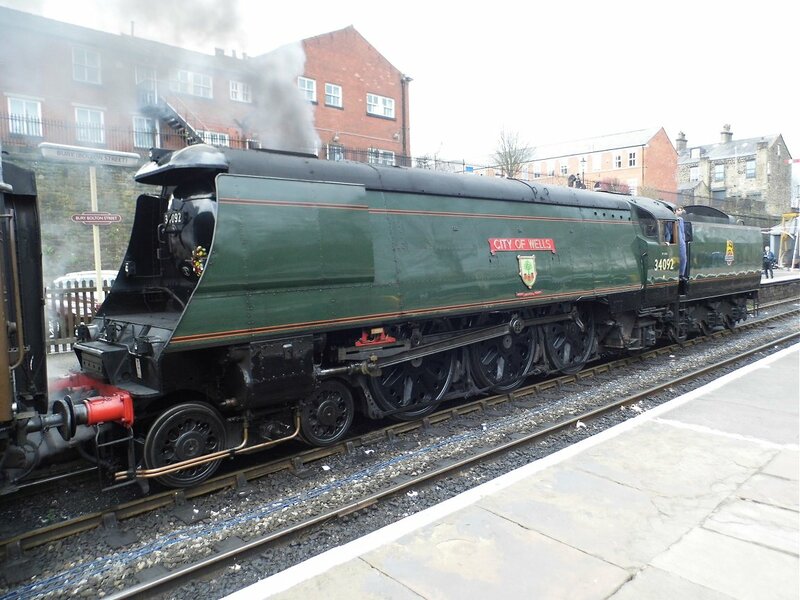 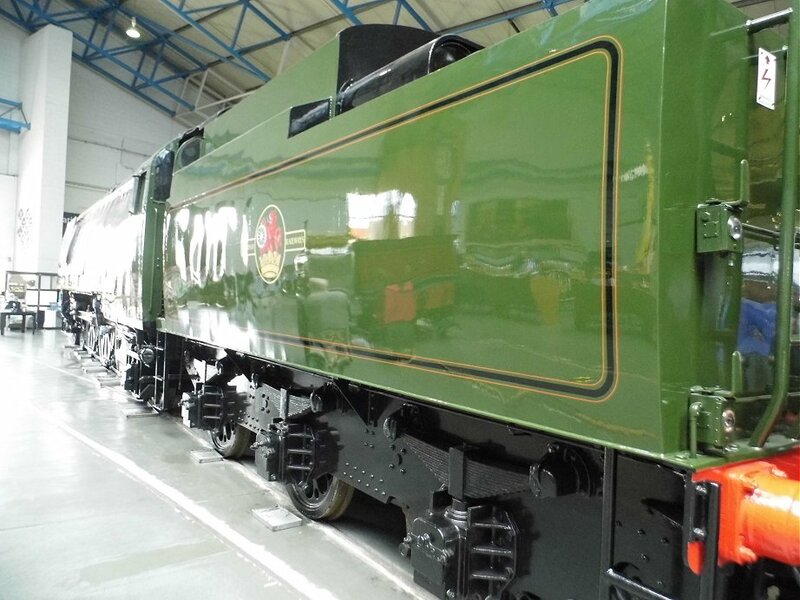 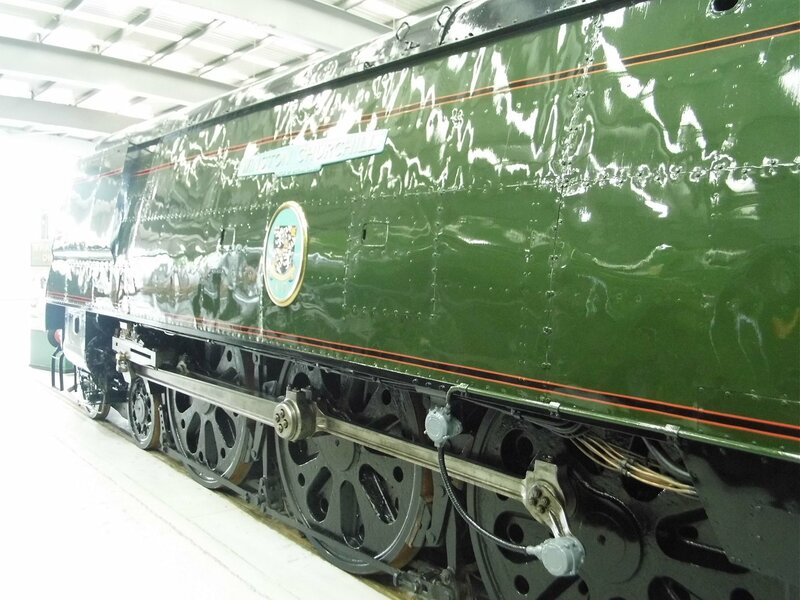 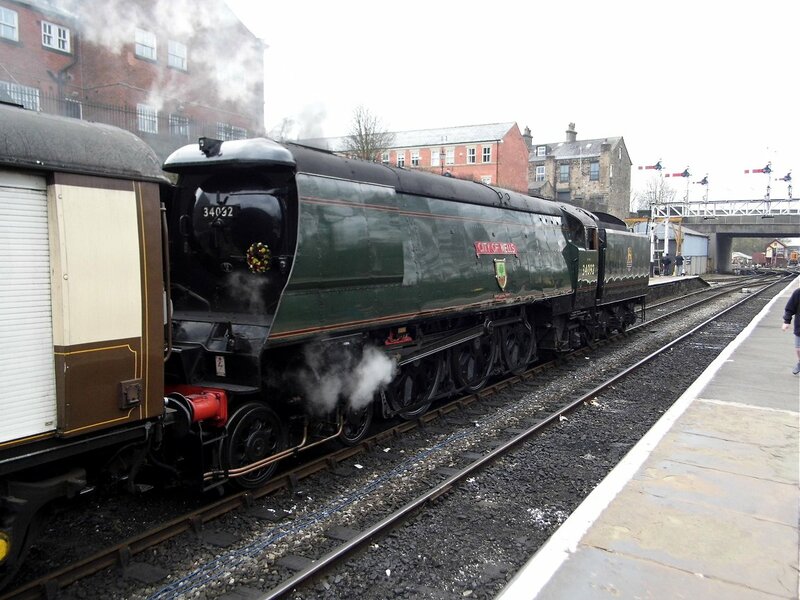 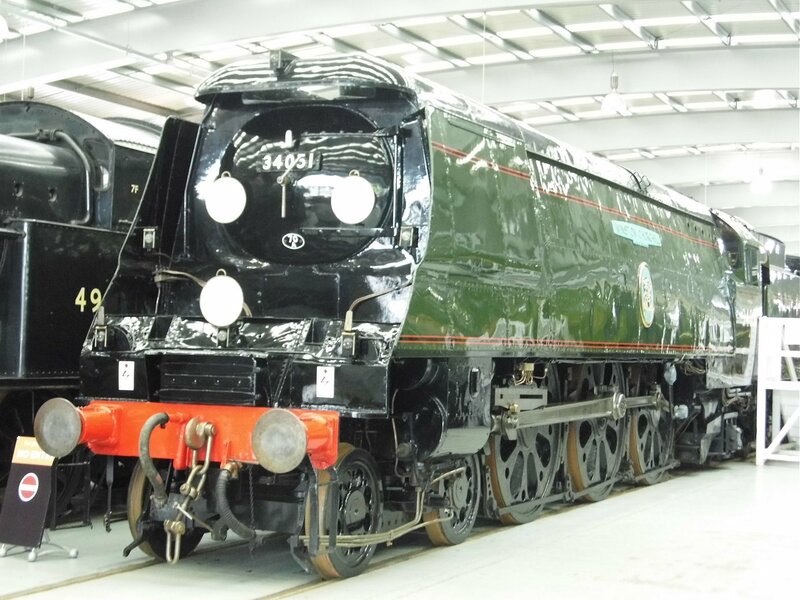 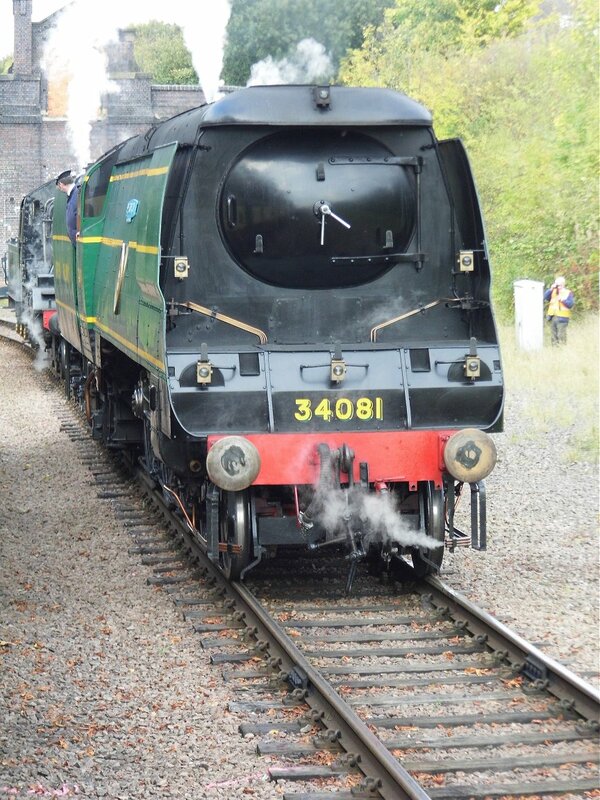 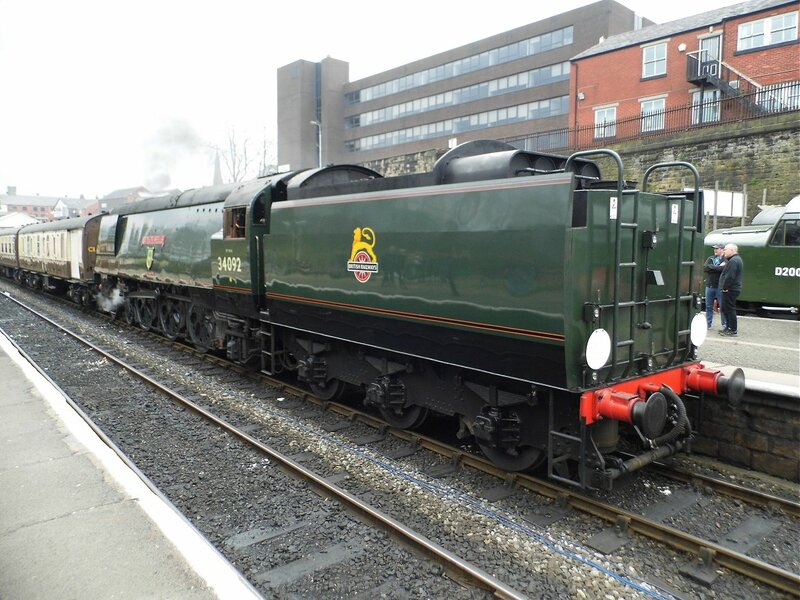 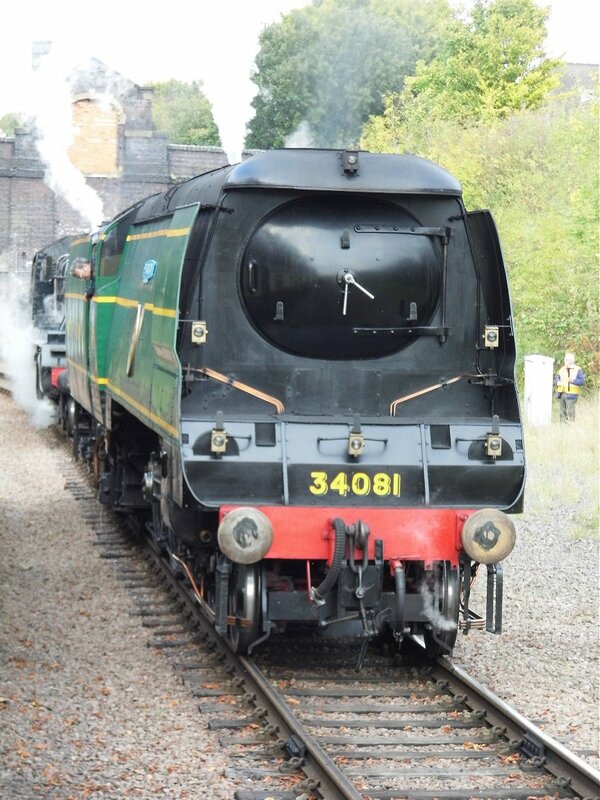 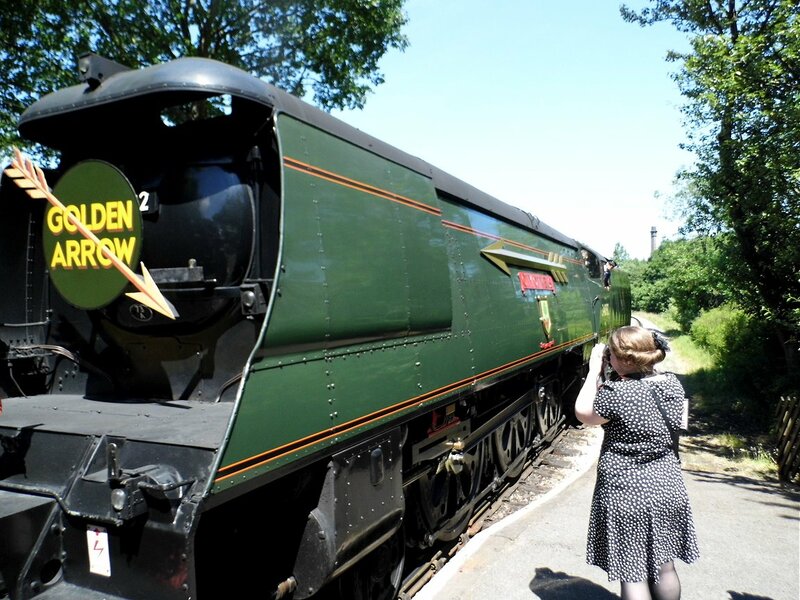 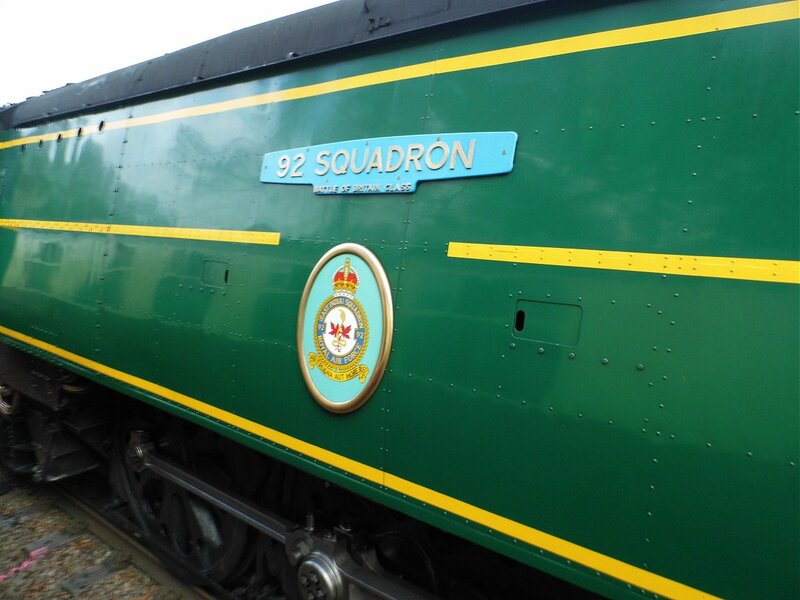 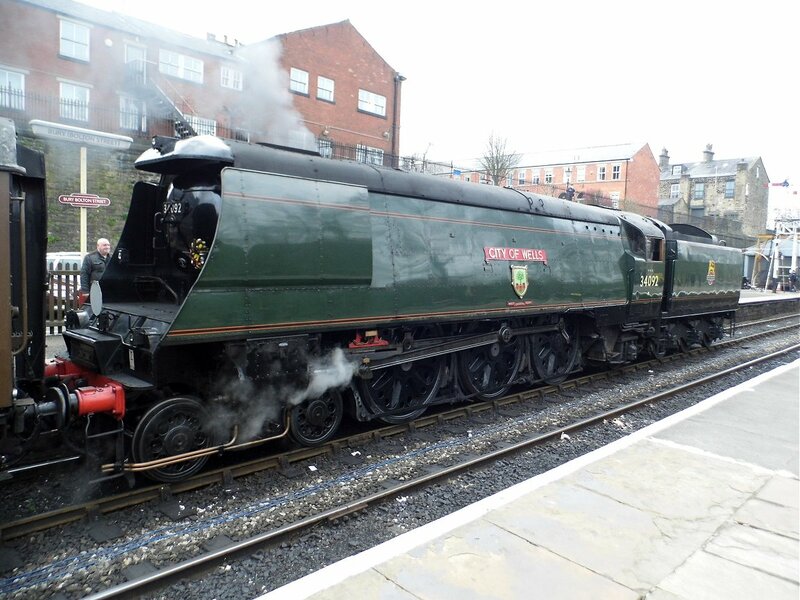 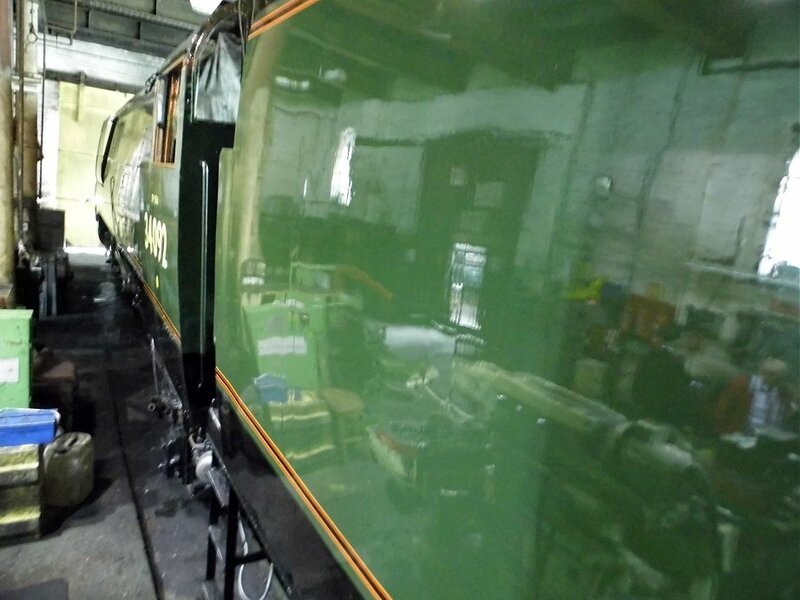 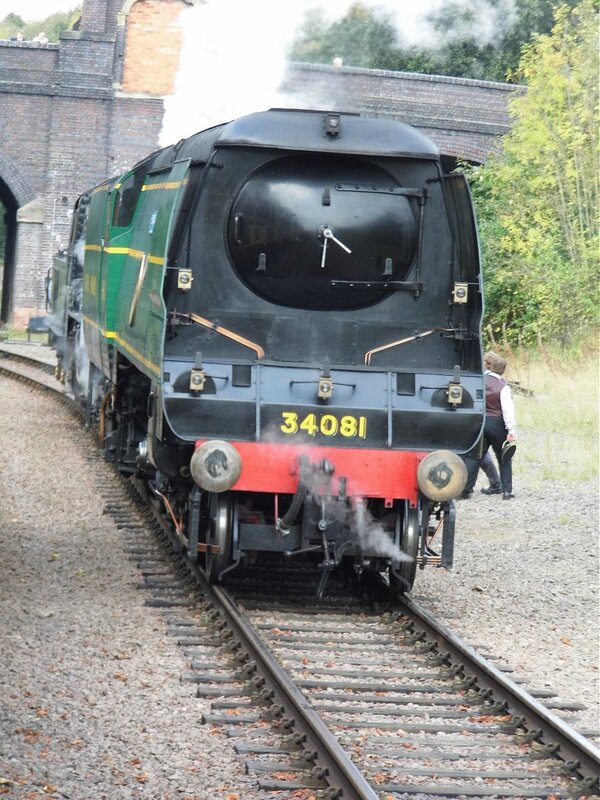 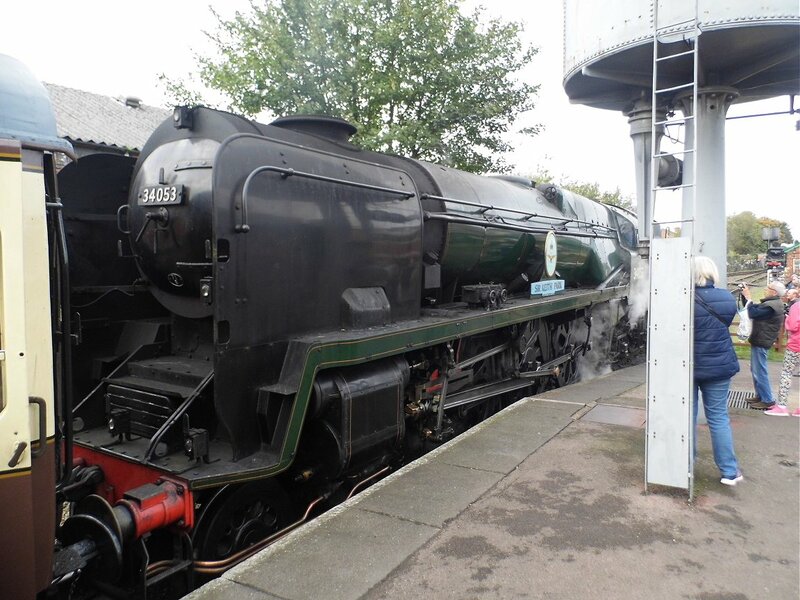 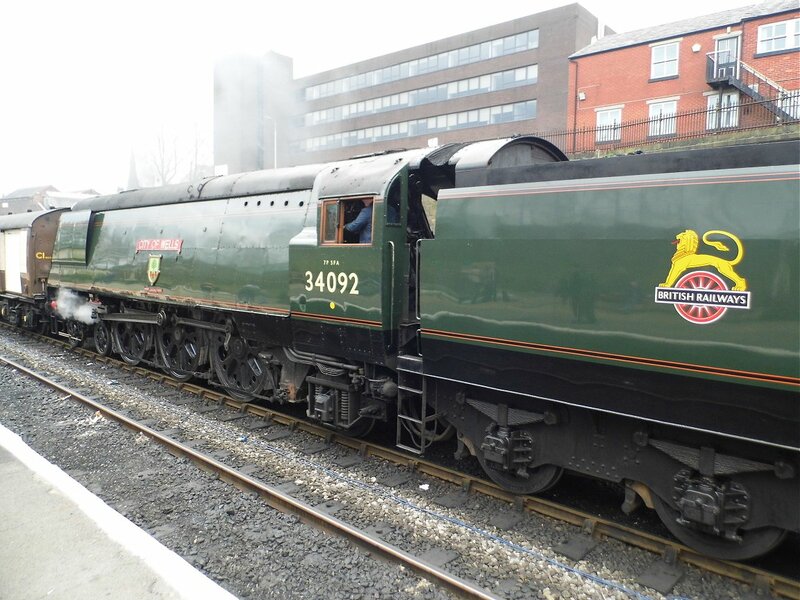 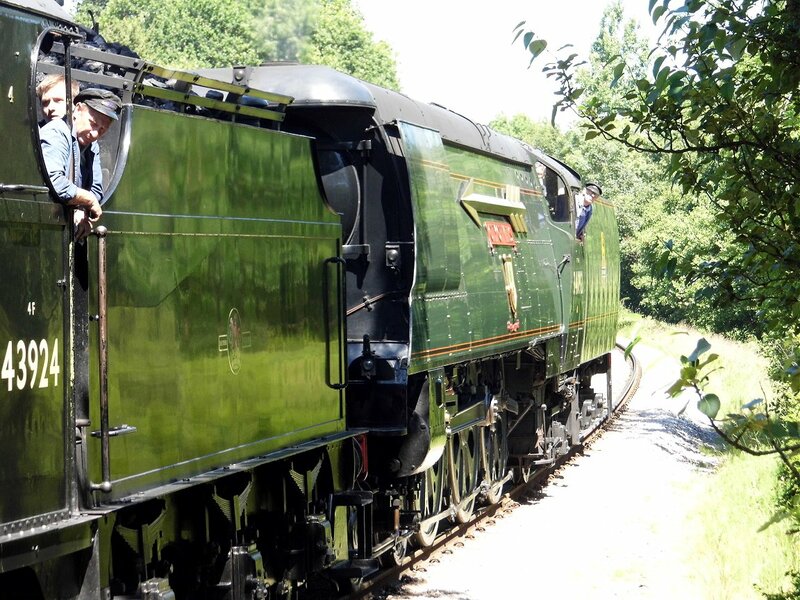 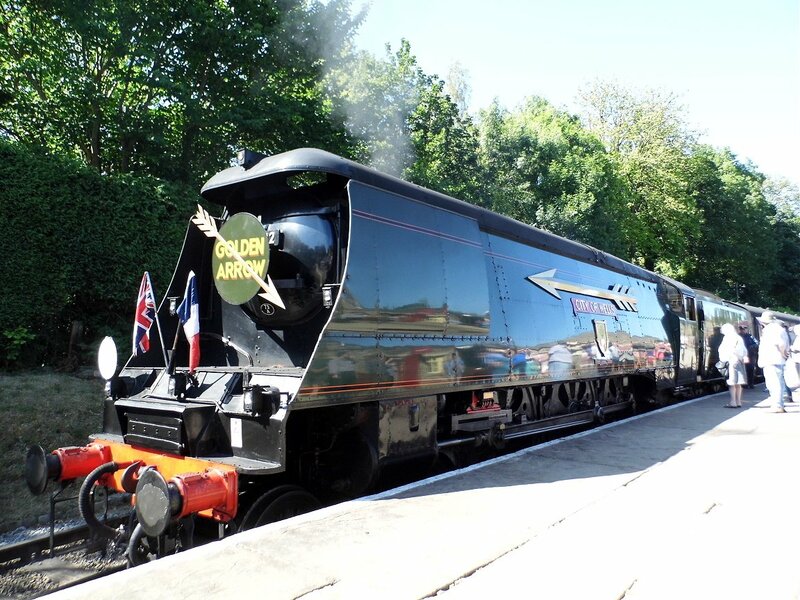 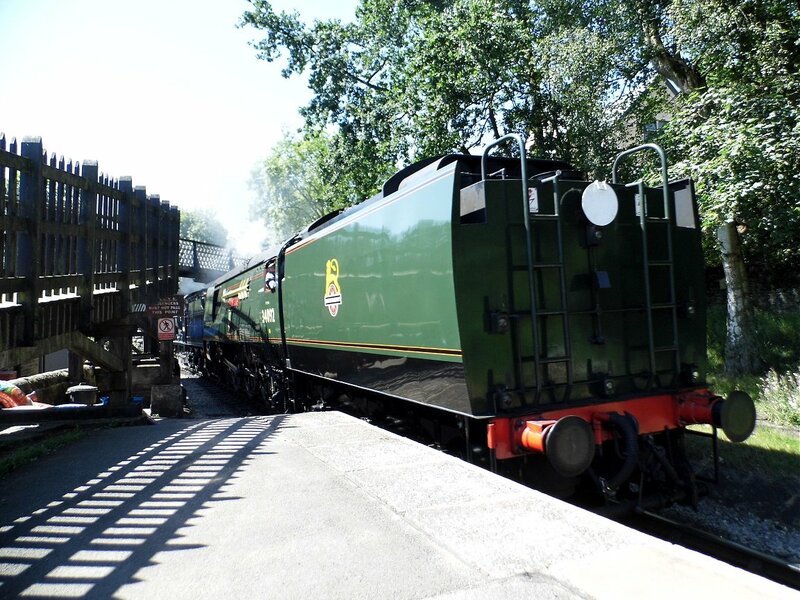 The NRM finally has a worthy Southern locomotive to match Mallard, Duchess of Hamilton and King George V.
A return trip was made on Friday 27 May 2016 to Shildon, where photos were taken alongside Gresley V2 4771 Green Arrow. 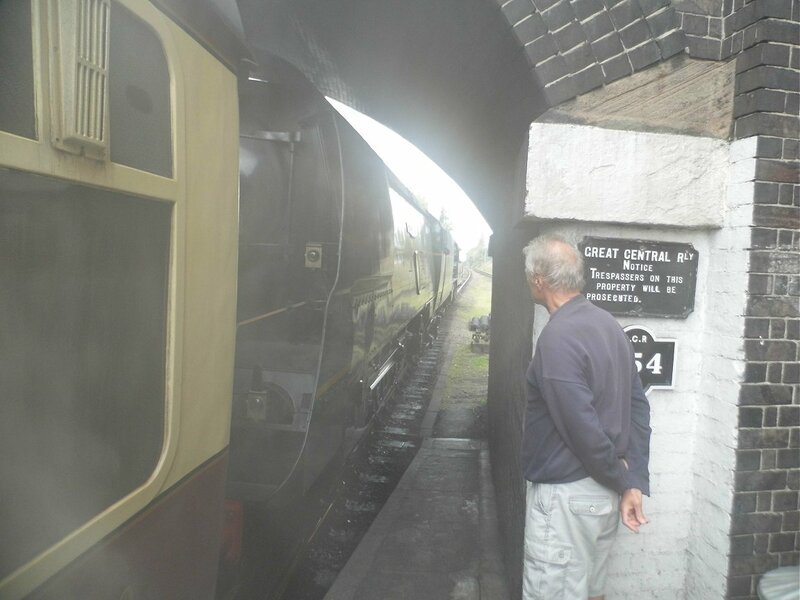 Friday 19th May 2017 I travelled to the Severn Valley Railway, Bridgenorth, for their Diesel Gala. 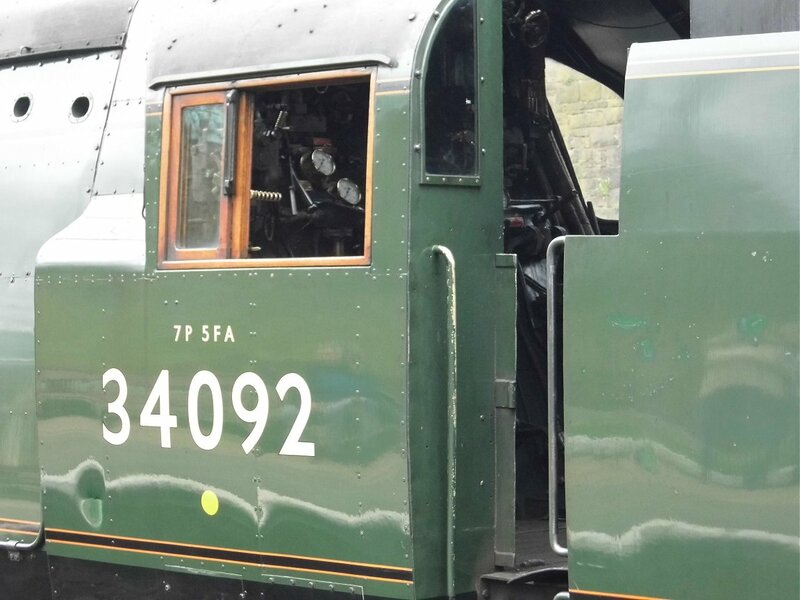 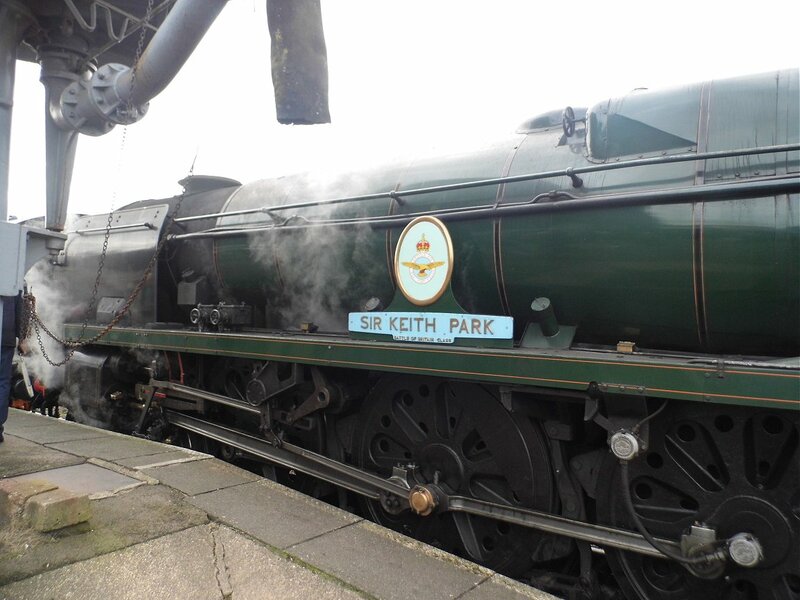 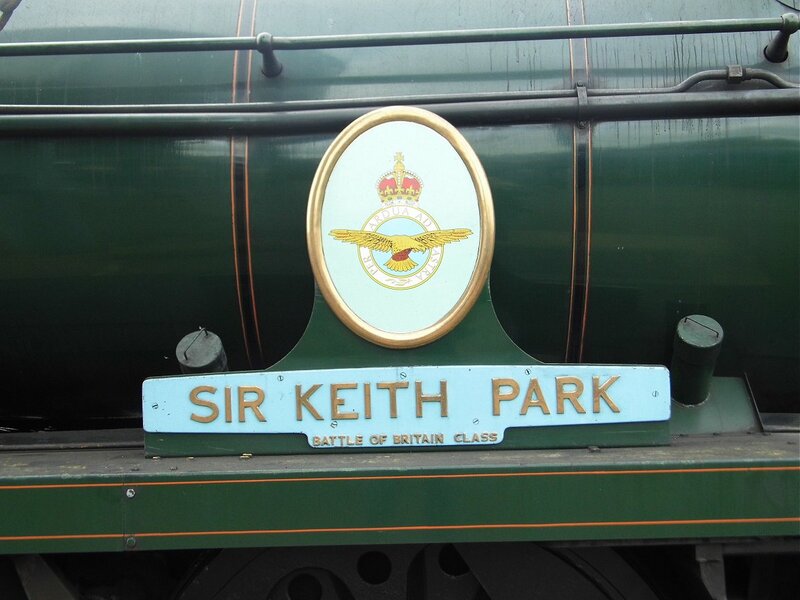 I finally got to see rebuilt West Country class 34053 Sir Keith Park. 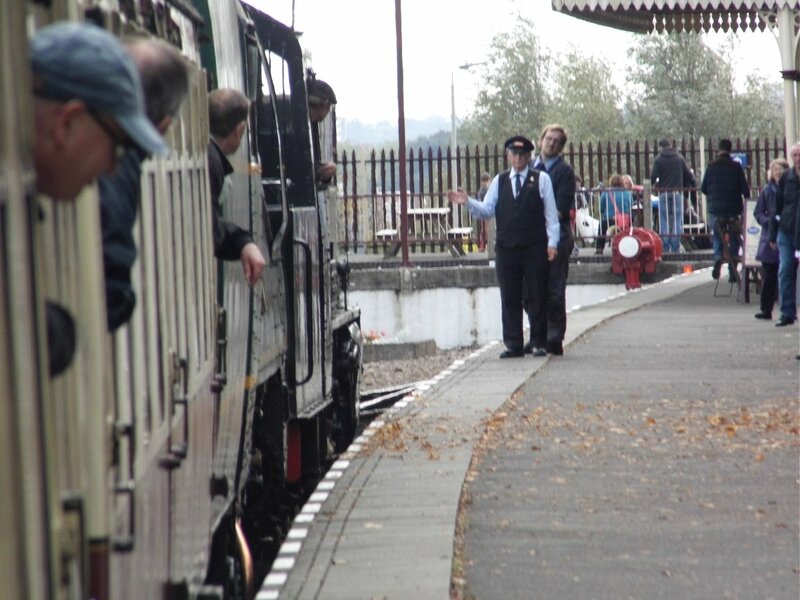 Sunday October 8th 2017 I travelled to the Great Central Railway, for their Autumn Gala. 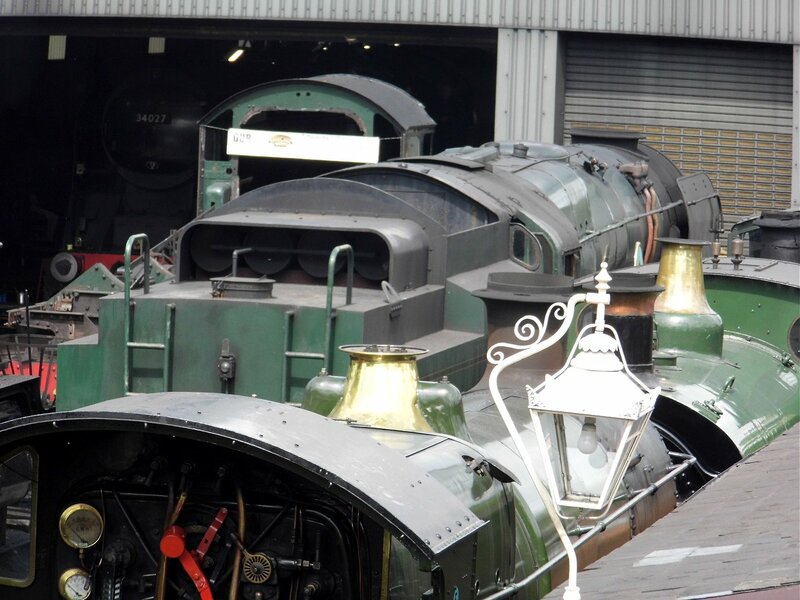 I travelled to Crewe Works in 2006 for their open day. 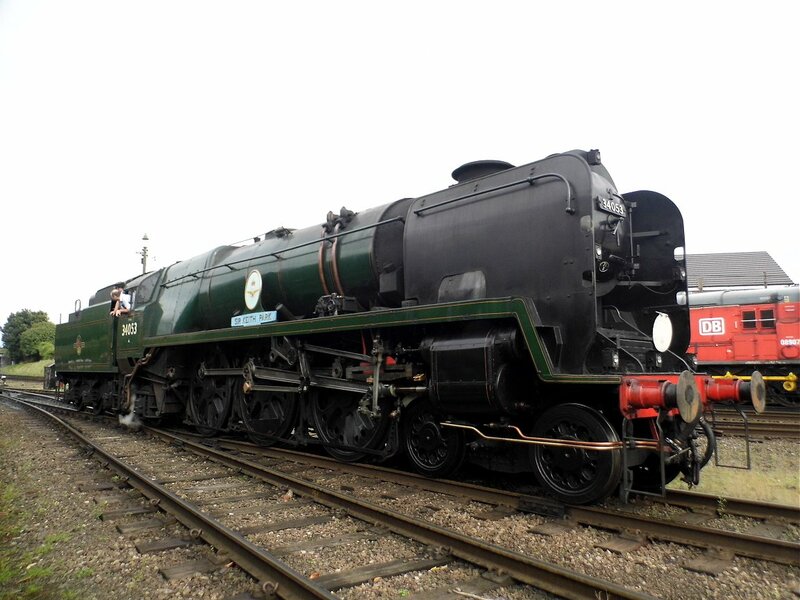 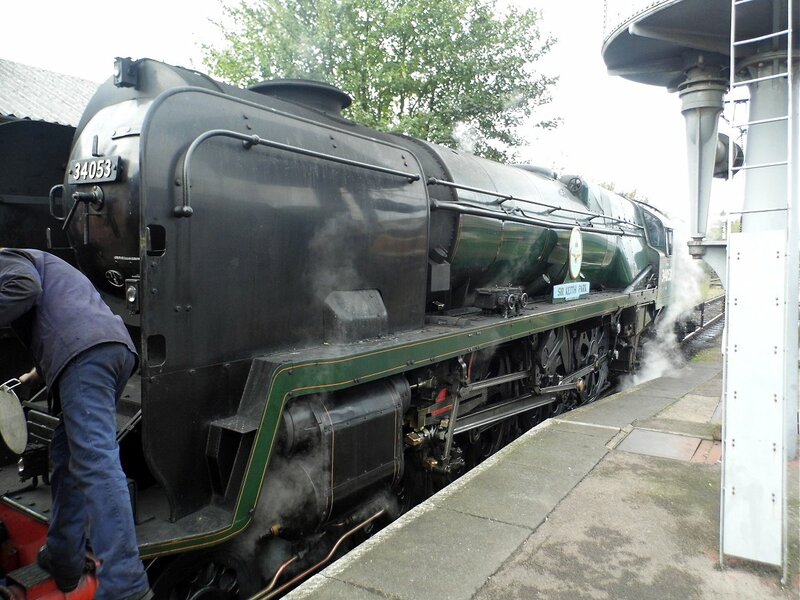 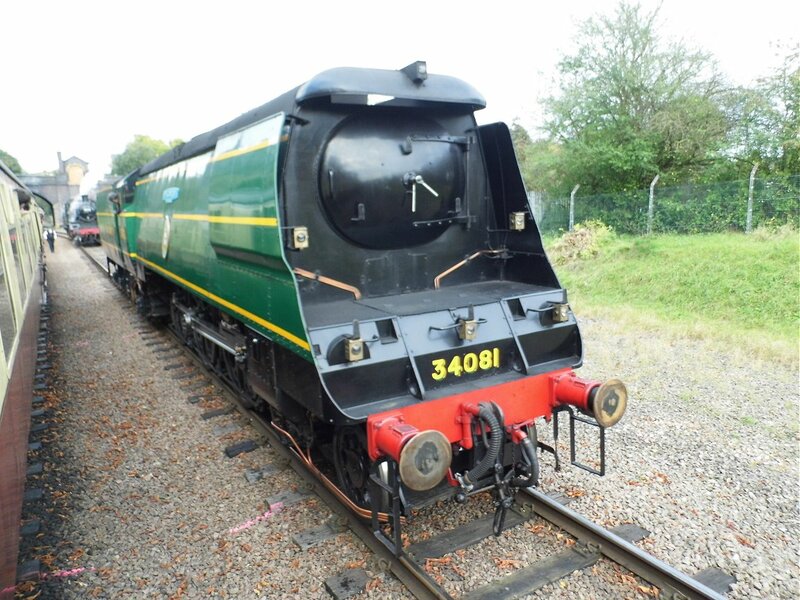 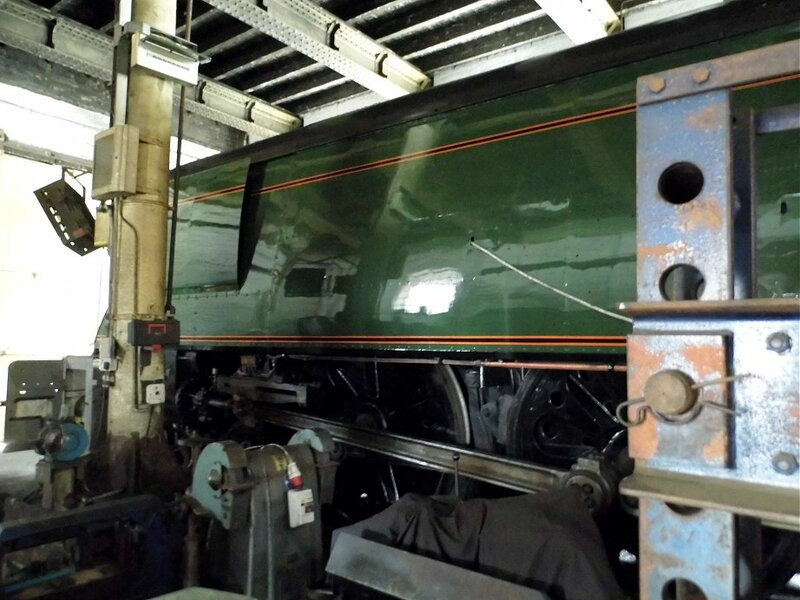 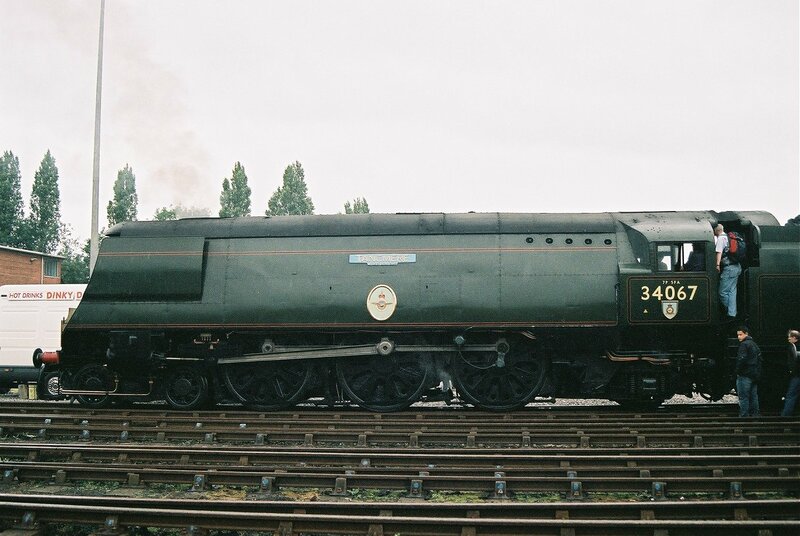 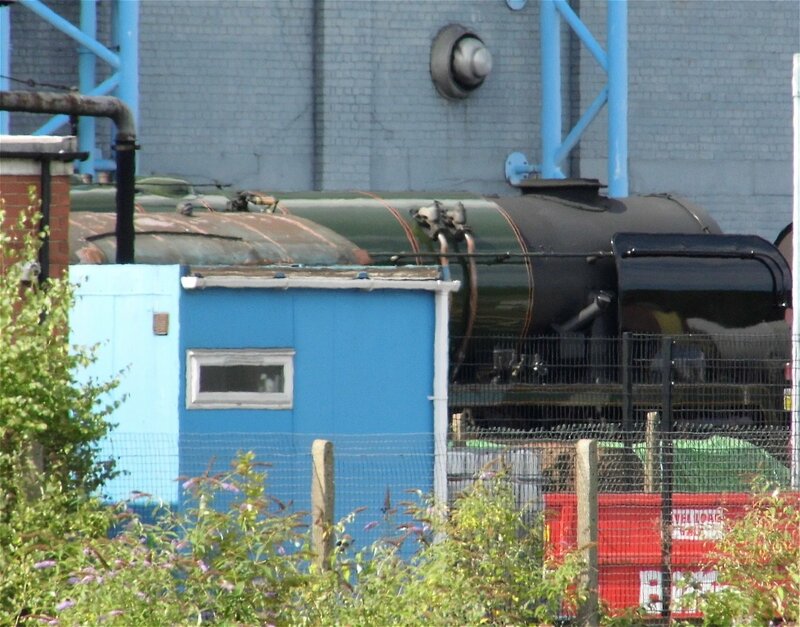 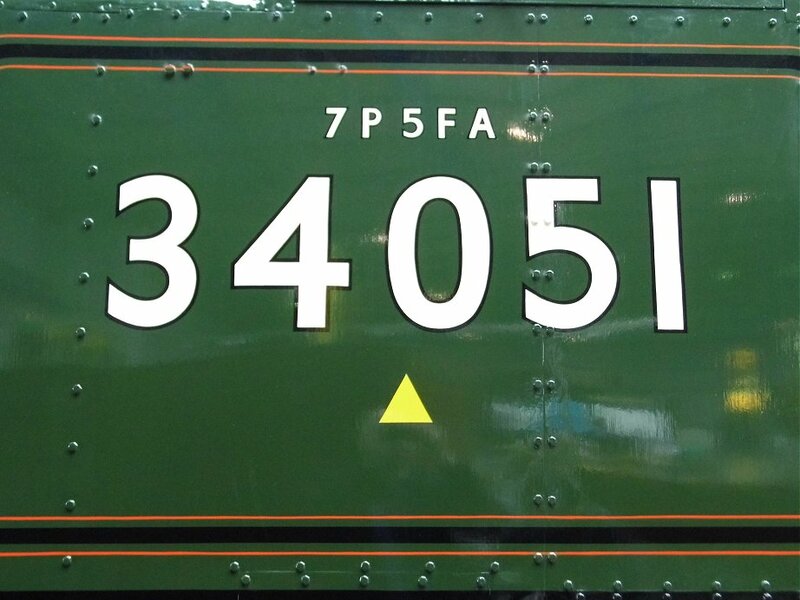 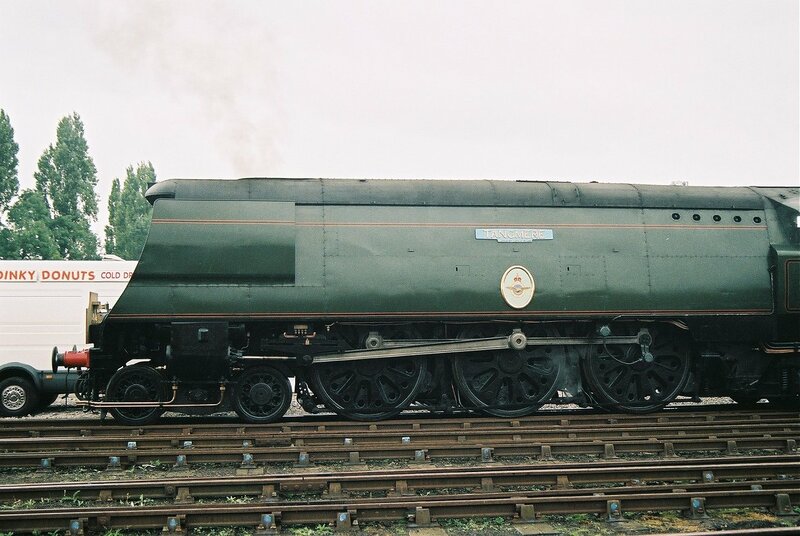 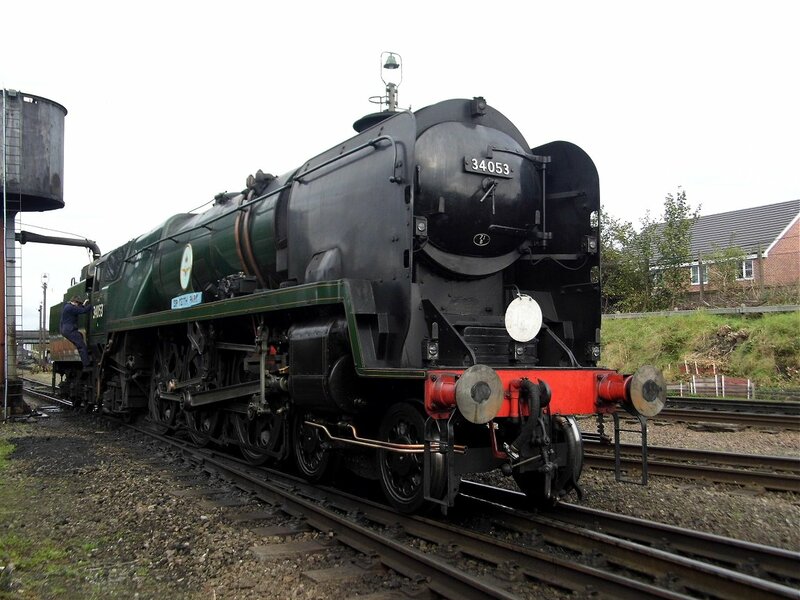 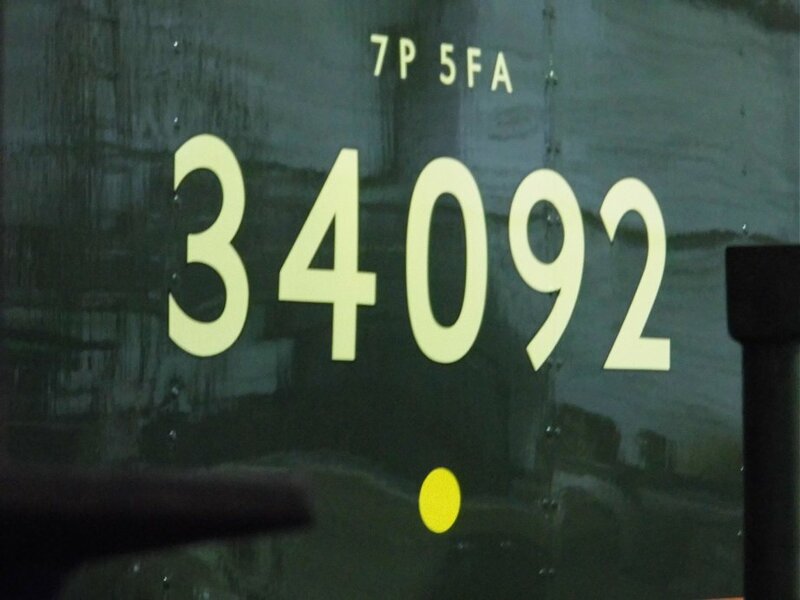 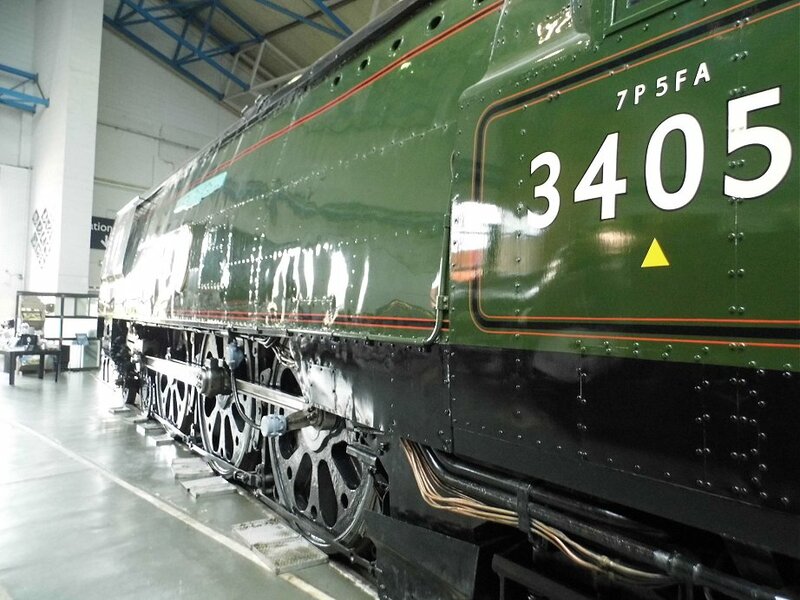 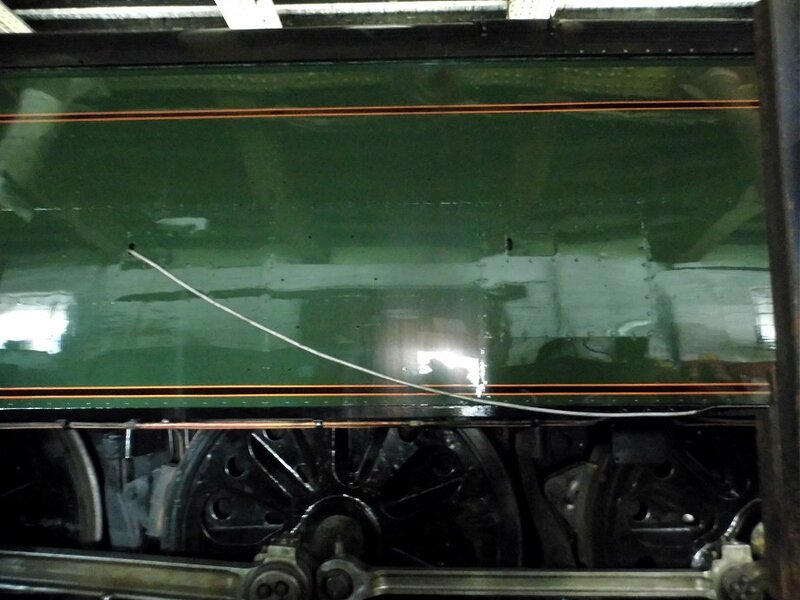 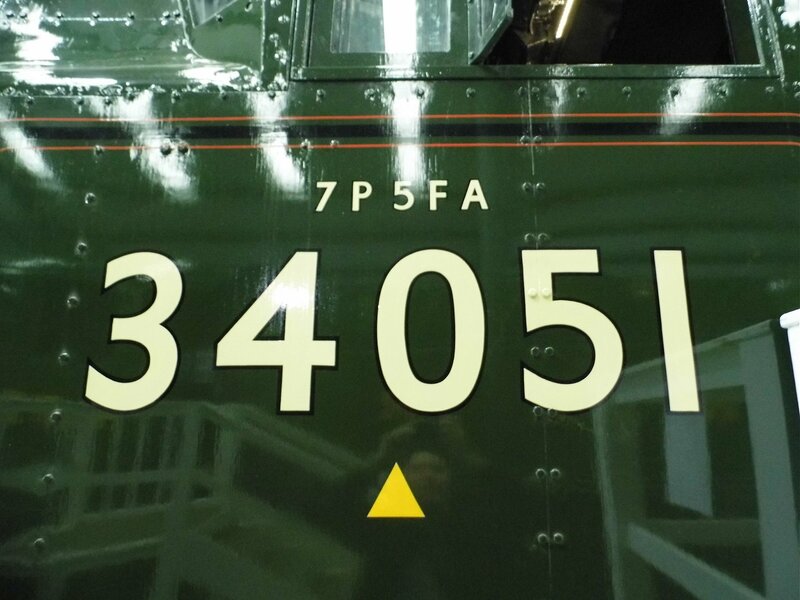 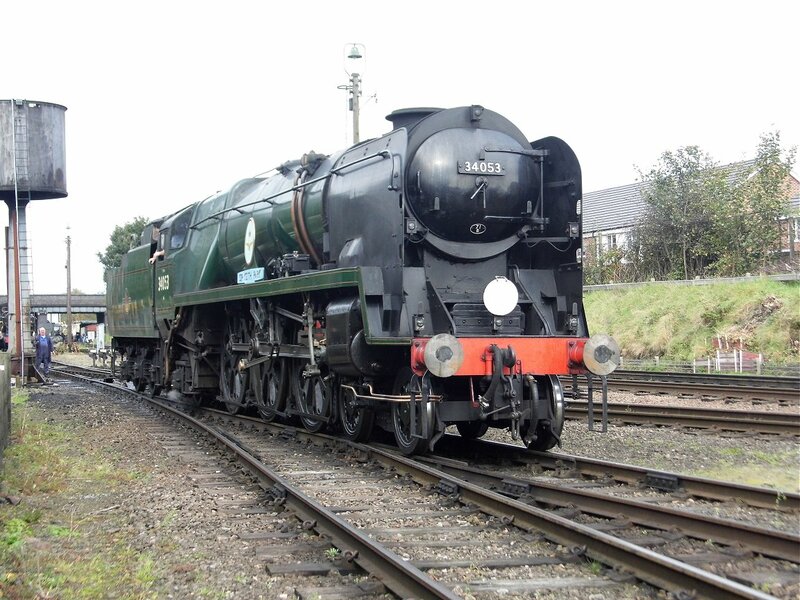 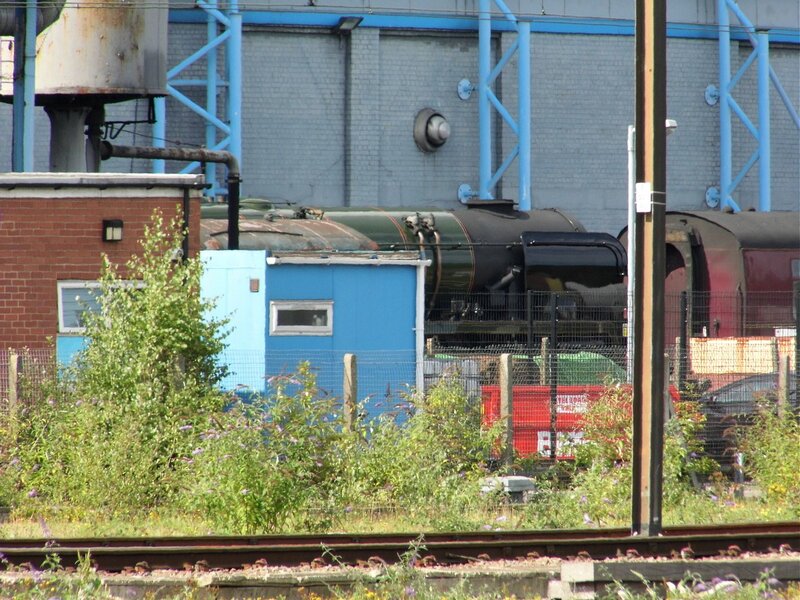 I saw mainline-certified 34067 Tangmere. 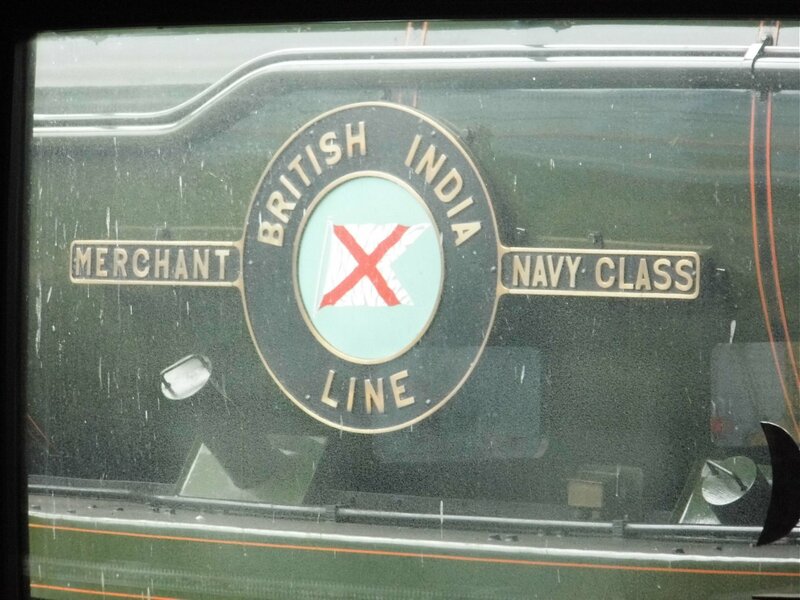 May 10th 2016, I travelled to the Nene Valley Railway for their diesel gala. 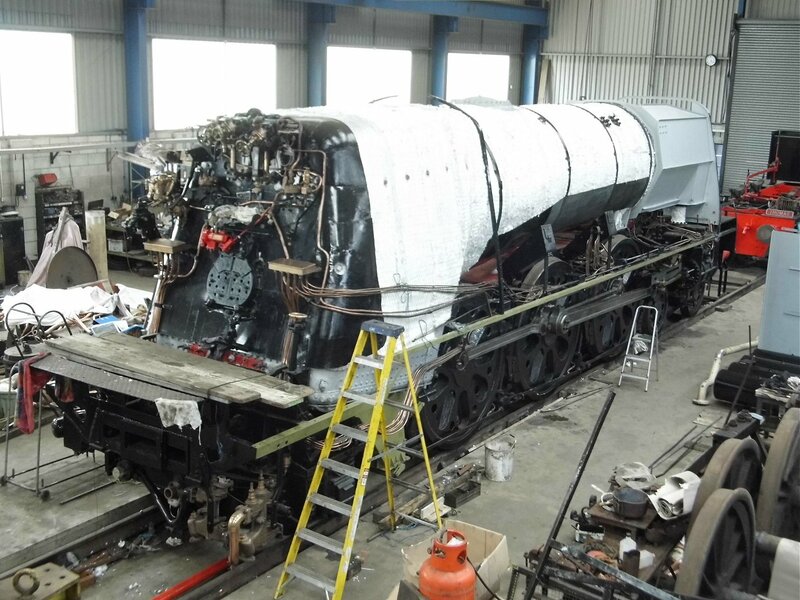 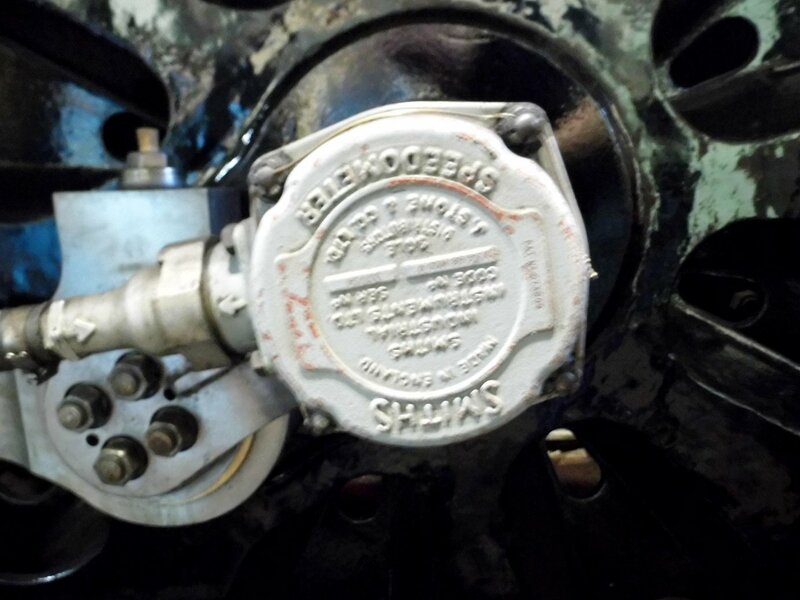 I was able to see the nearly-completed restoration of the Battle of Britain Society engine. 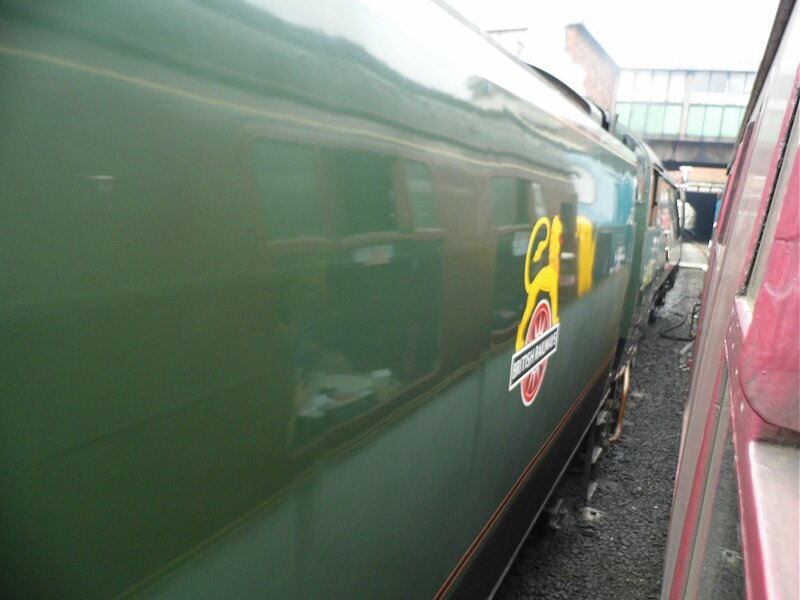 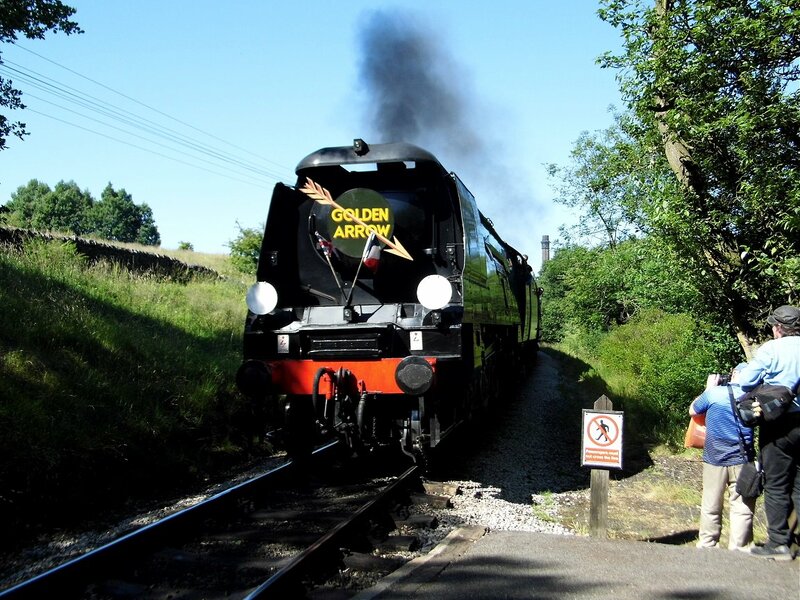 June 8rd 2014, I travelled to Keighley for their diesel gala. 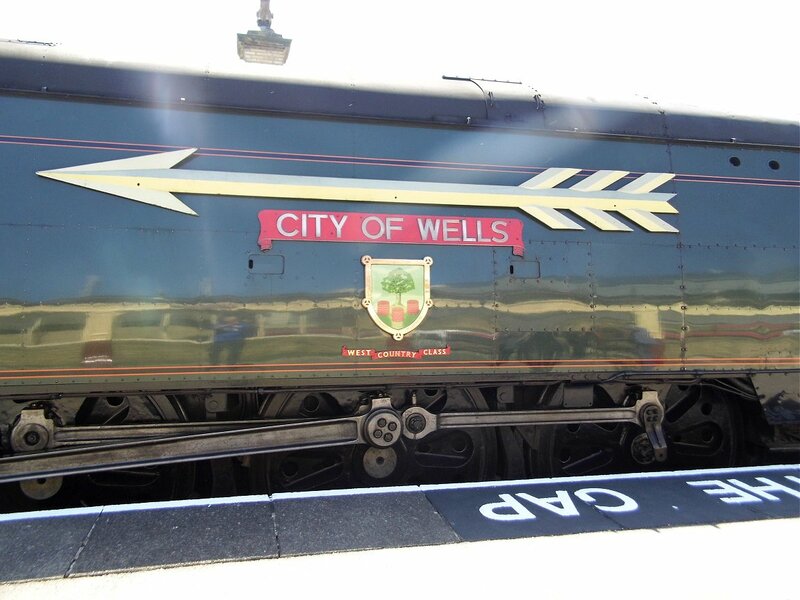 I was able to see the just-completed restoration of 34092 AKA Wells and City of Wells. 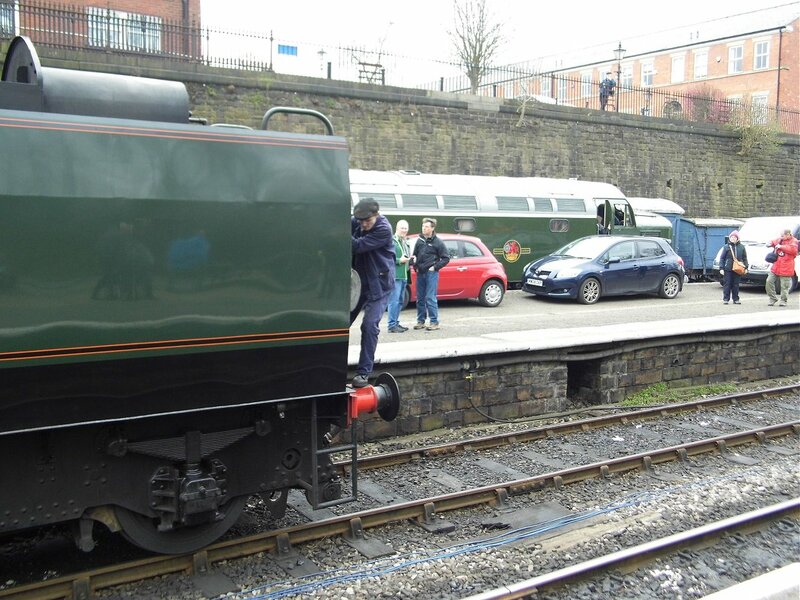 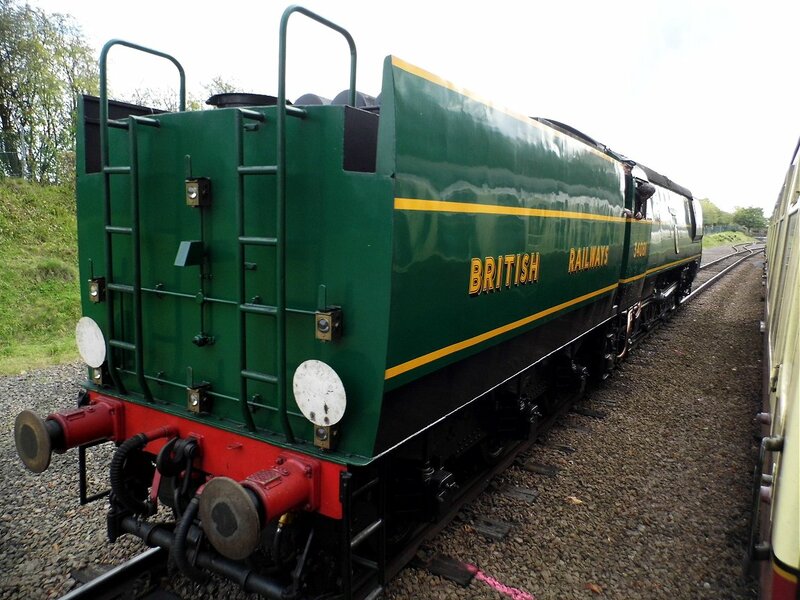 April 15th 2018, I travelled to Bury for their Class 40 60th Anniversary gala. 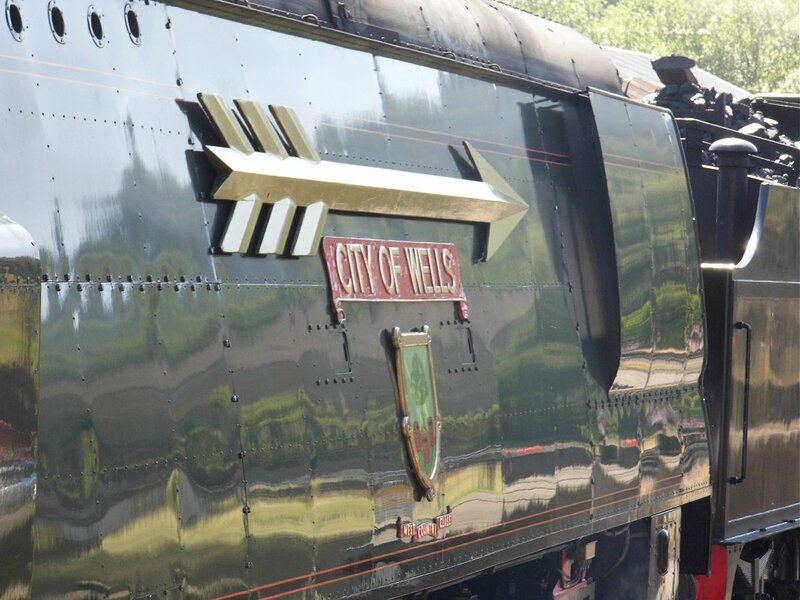 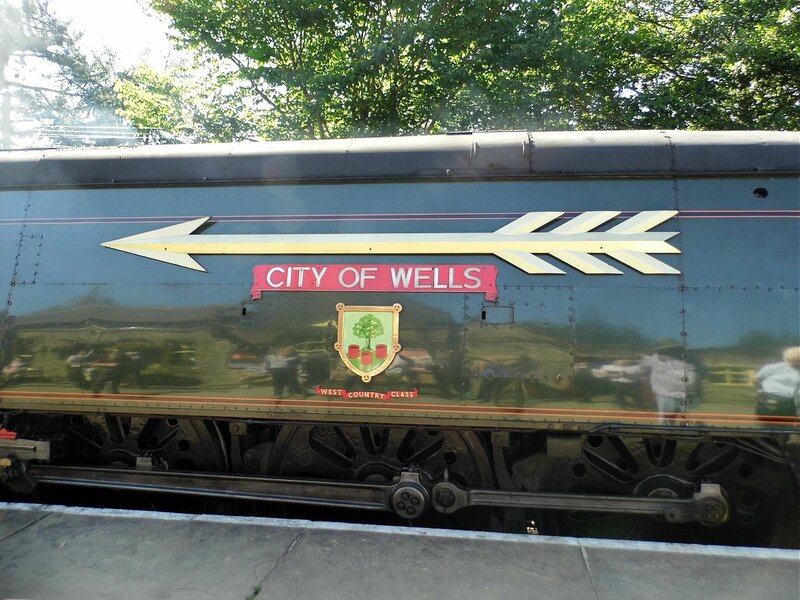 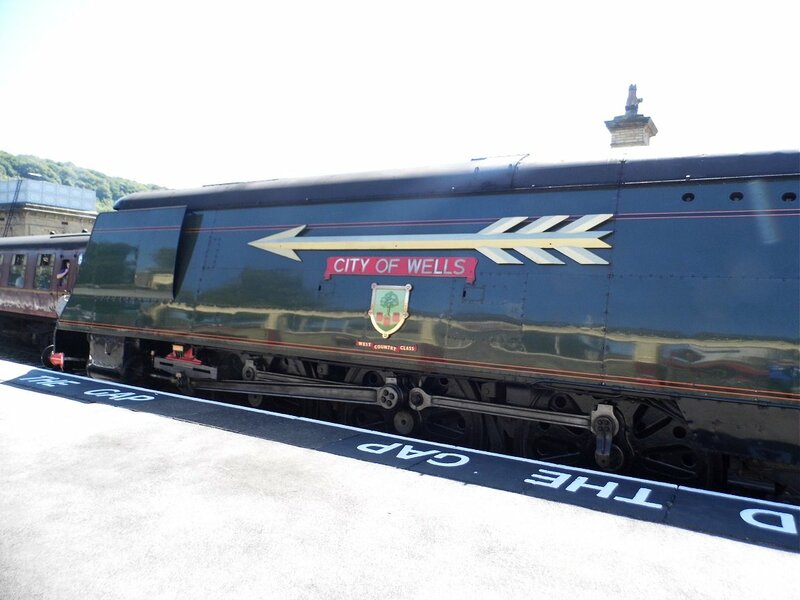 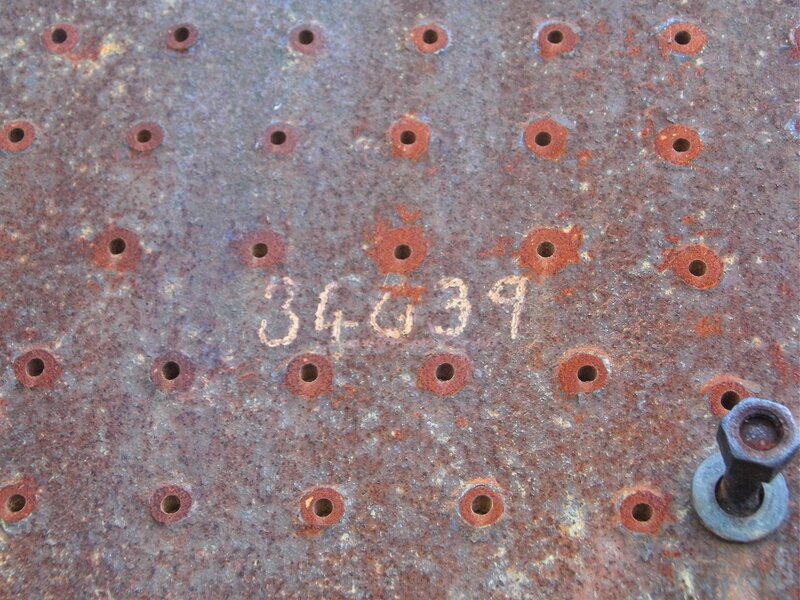 I was able to see 34092 City of Wells. 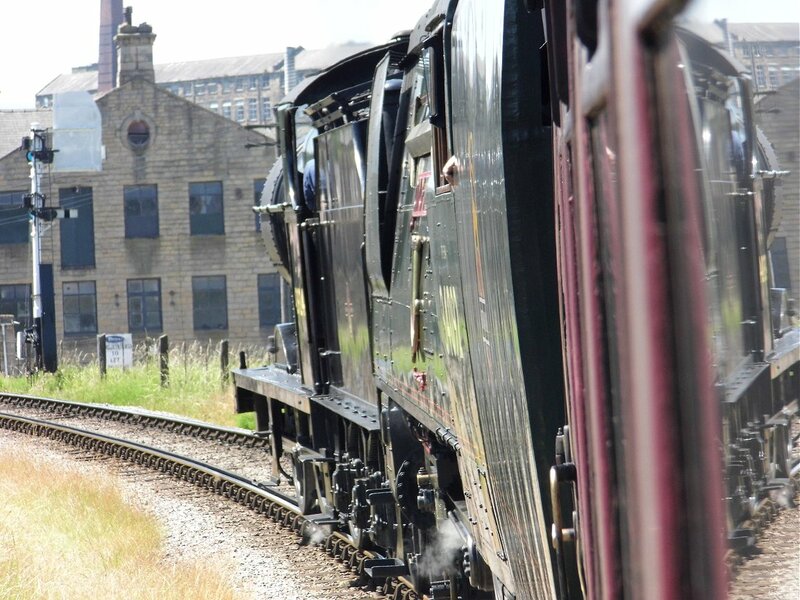 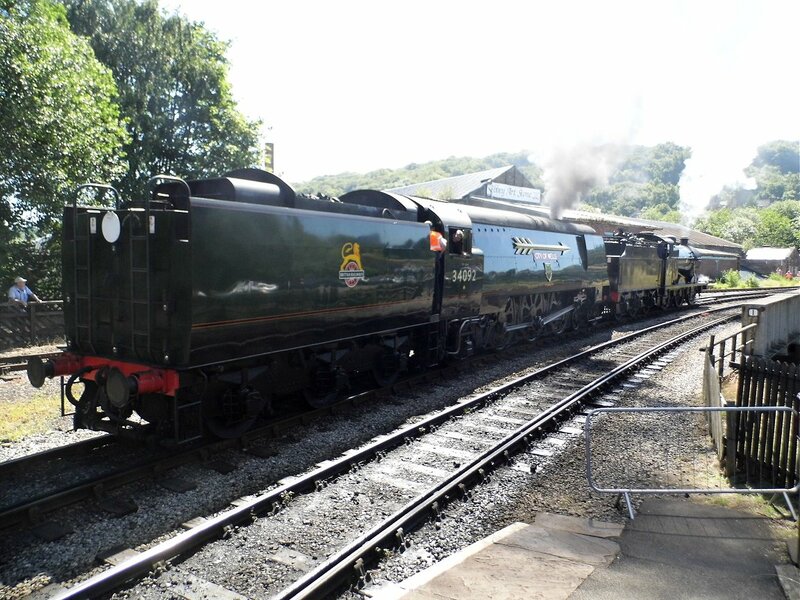 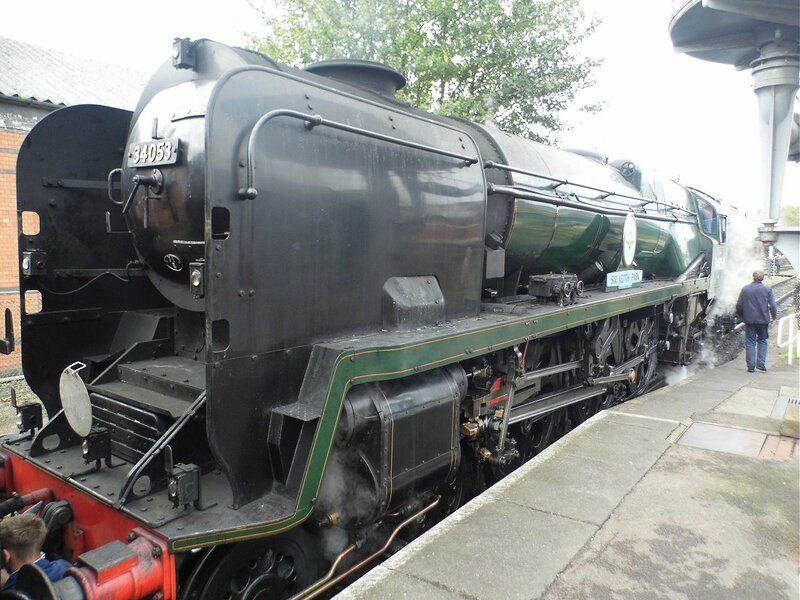 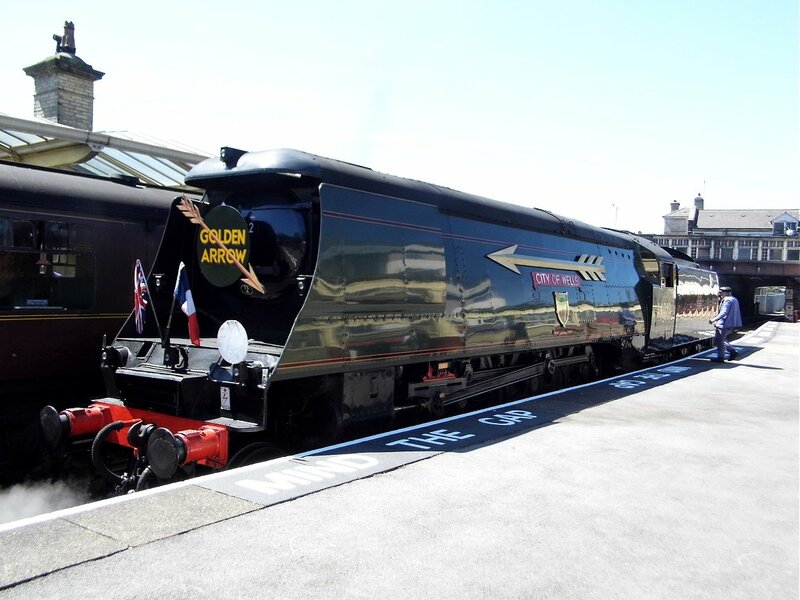 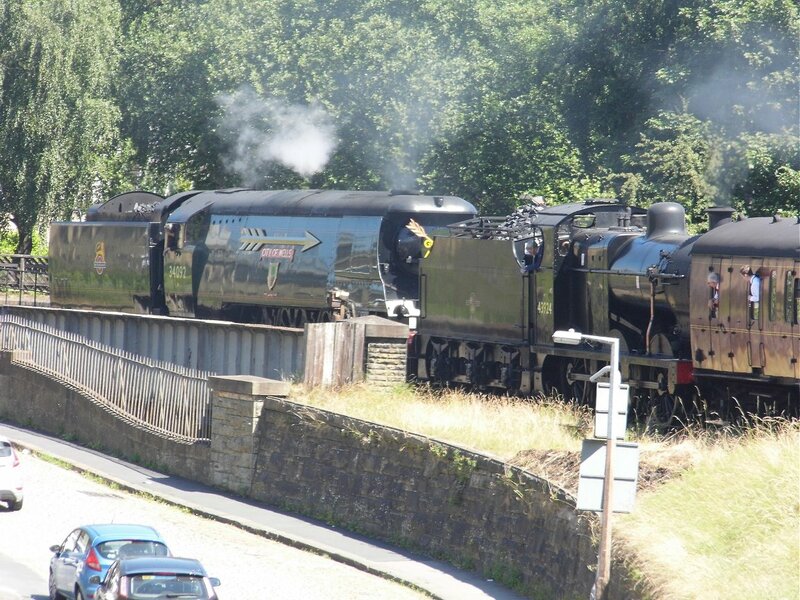 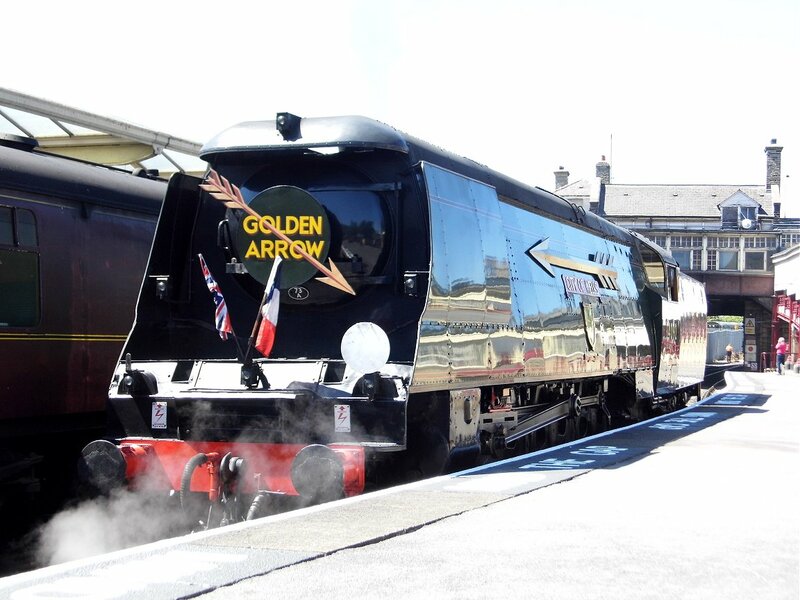 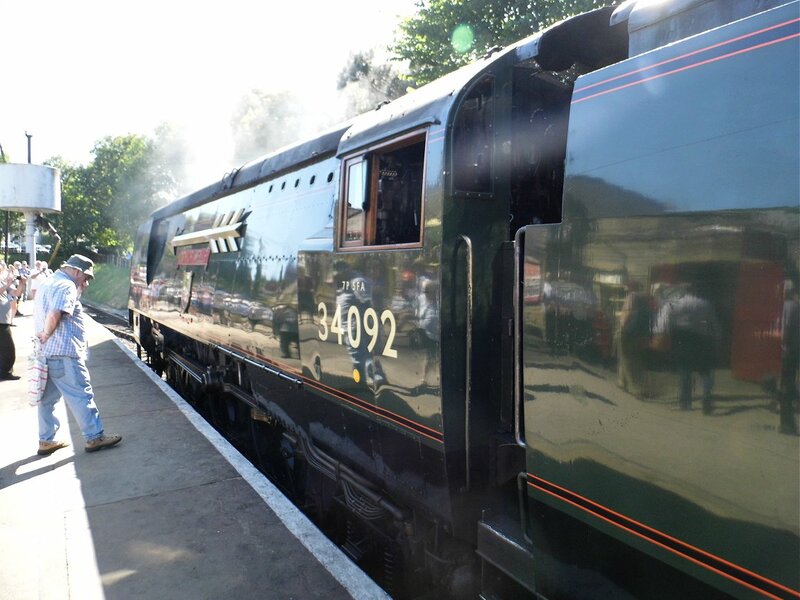 June 27th 2018, I travelled to Keighley for their 50th Anniversary gala. 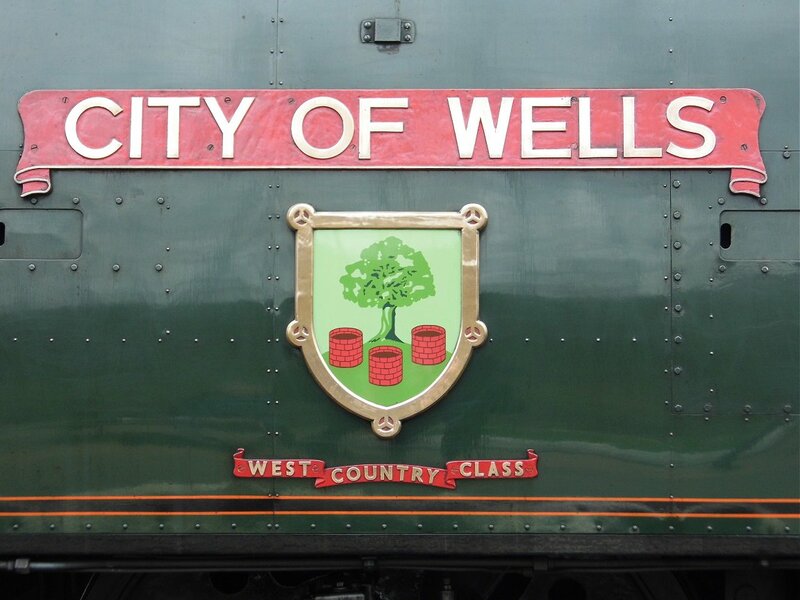 I was able to get haulage from 34092 City of Wells - twice. 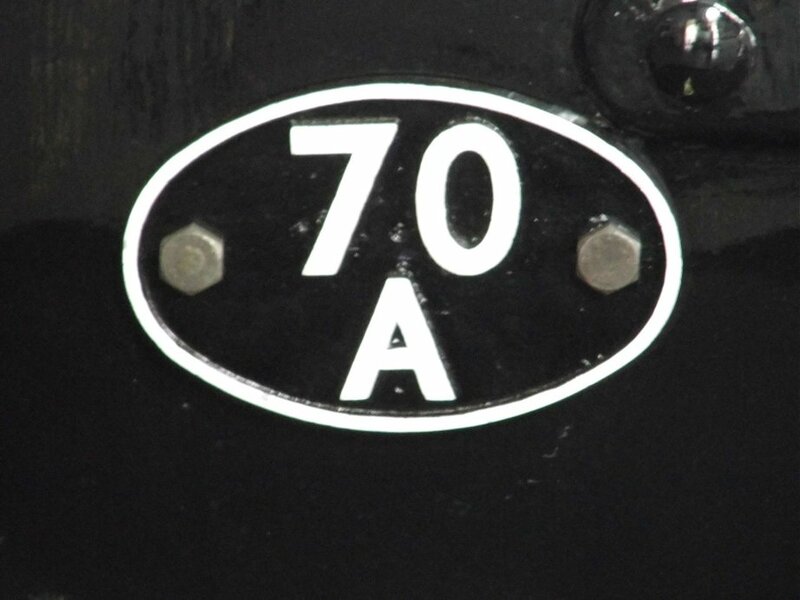 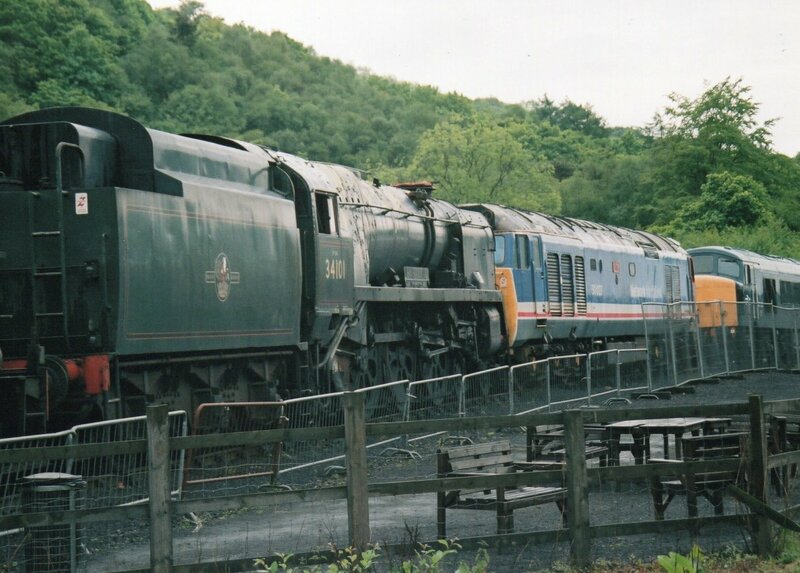 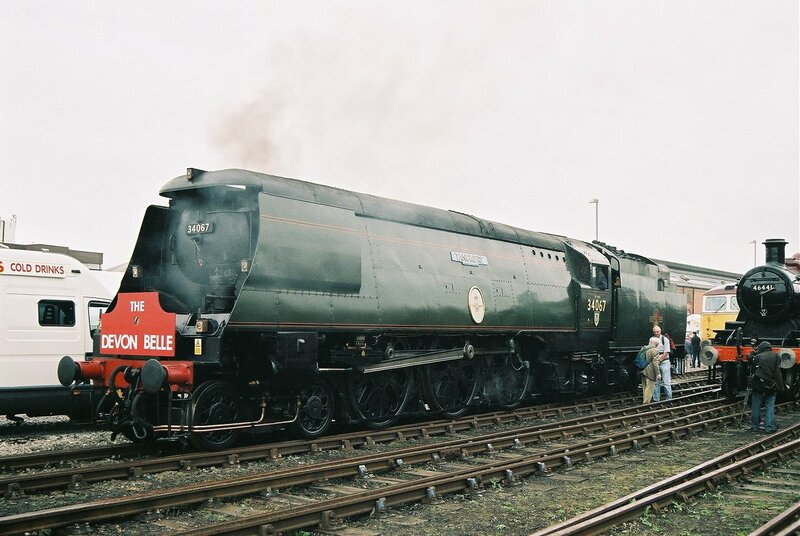 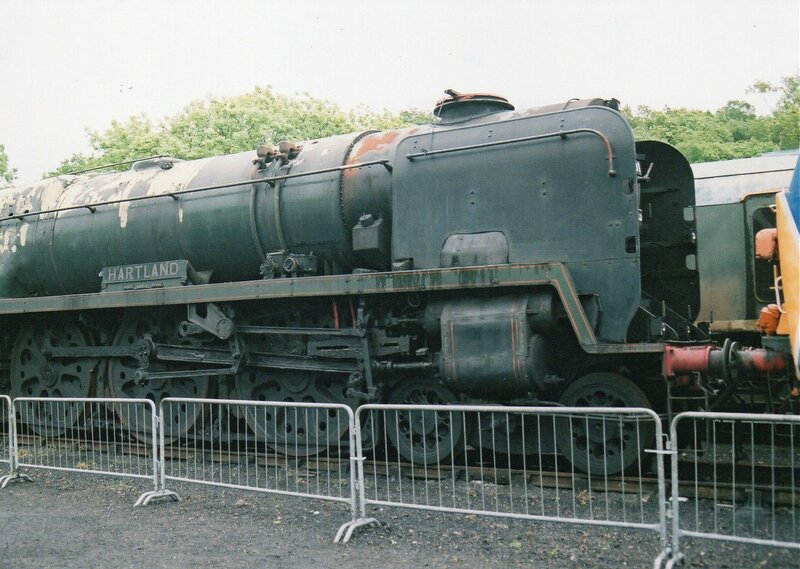 2004 I travelled to the North Yorkshire Railway with my mate Simon and his Dad, having been to the Railfest at York. 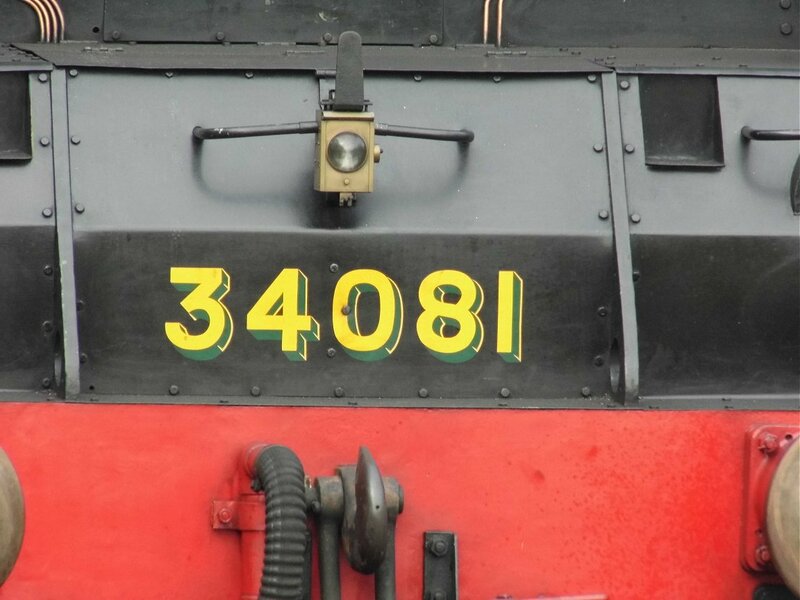 At Grosmont I saw the sorry state of rebuilt West Country class 34101 Hartland. 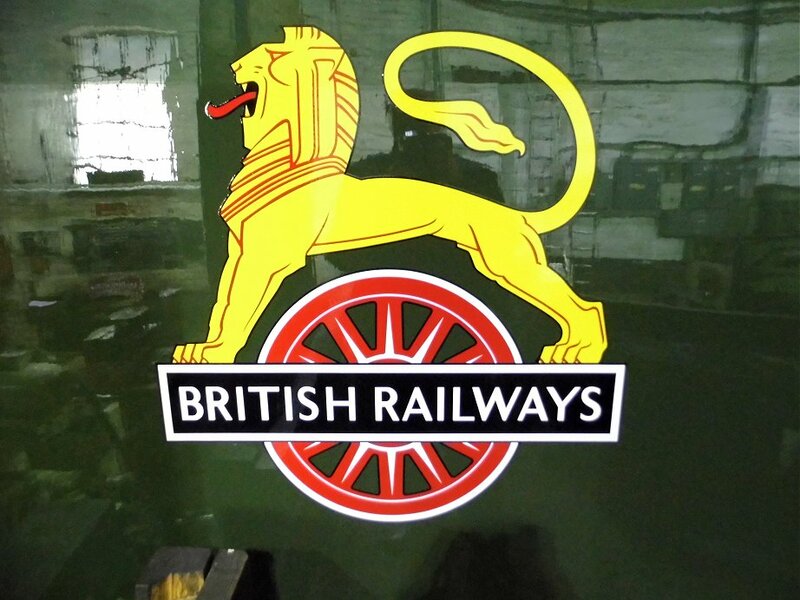 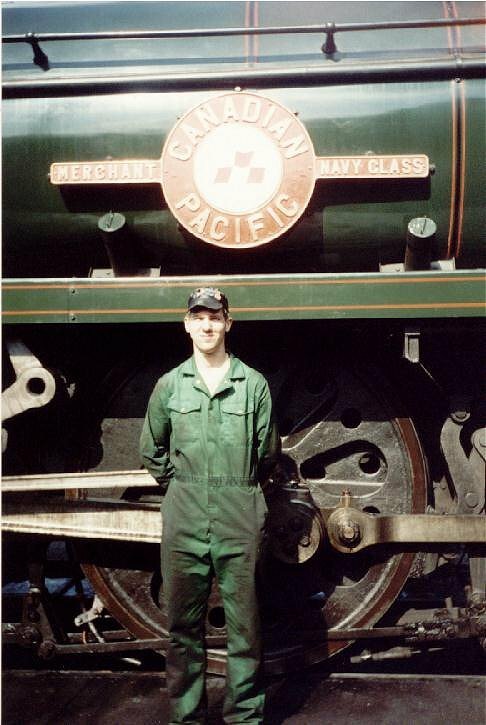 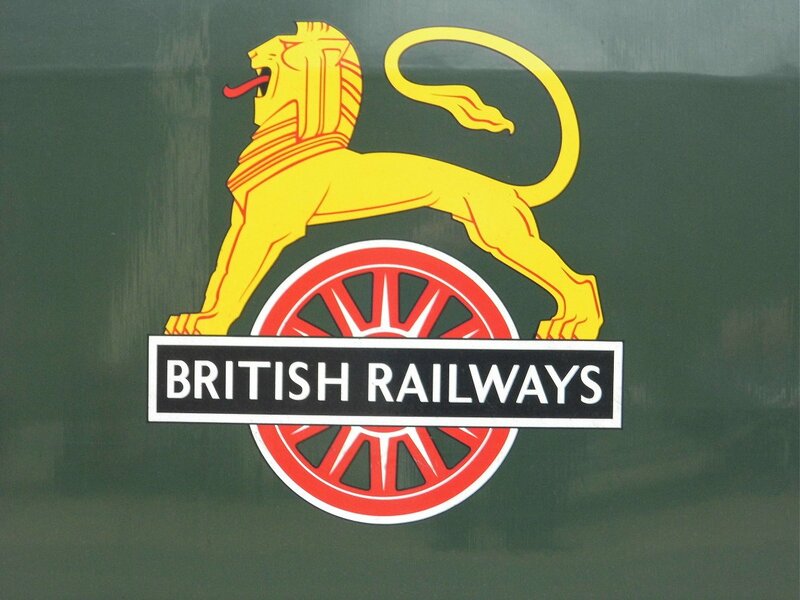 In the Summer of 1994 I worked on the Great Central Railway. 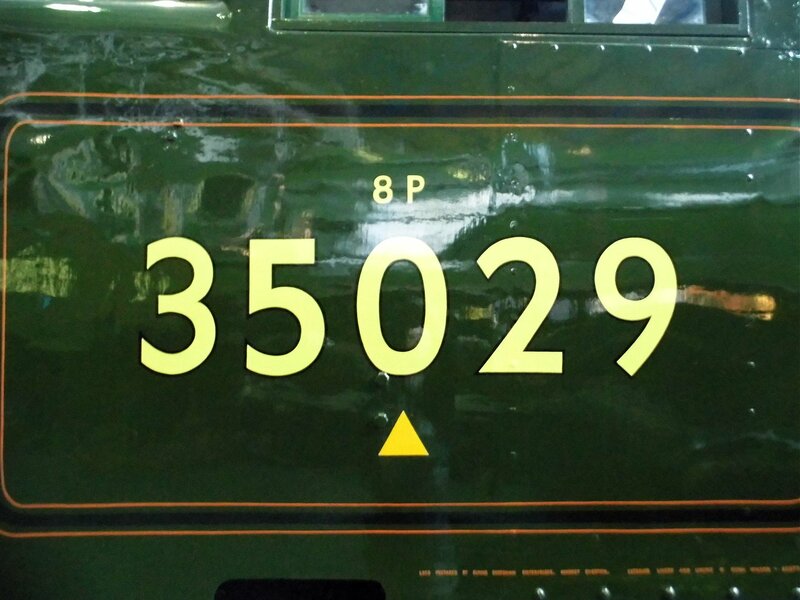 I spent time with 35005 and had a cab ride, here are a sample of images. 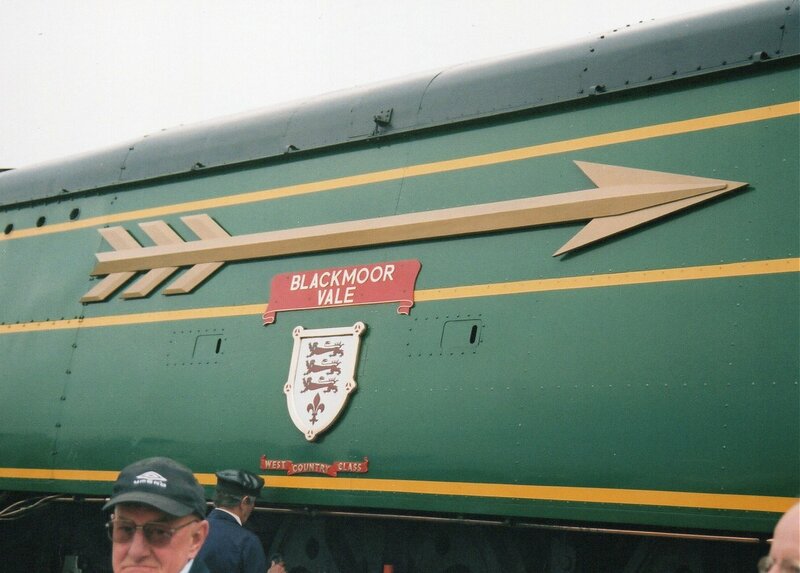 I'll be looking to scan larger copies. 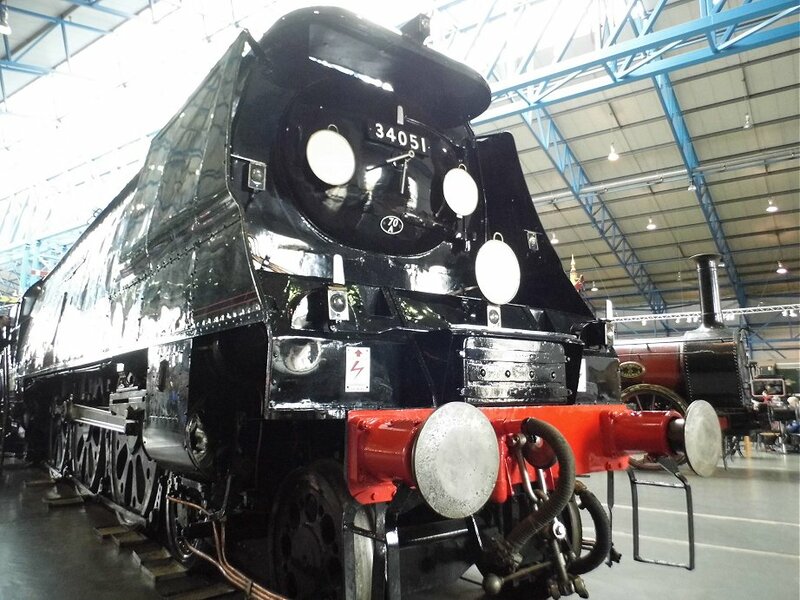 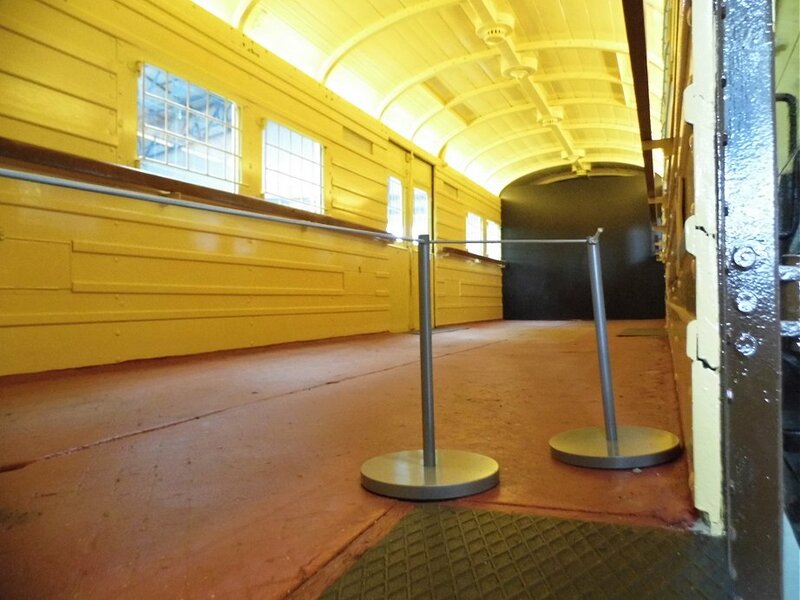 Sectioned resident at the National Railway Museum in York. 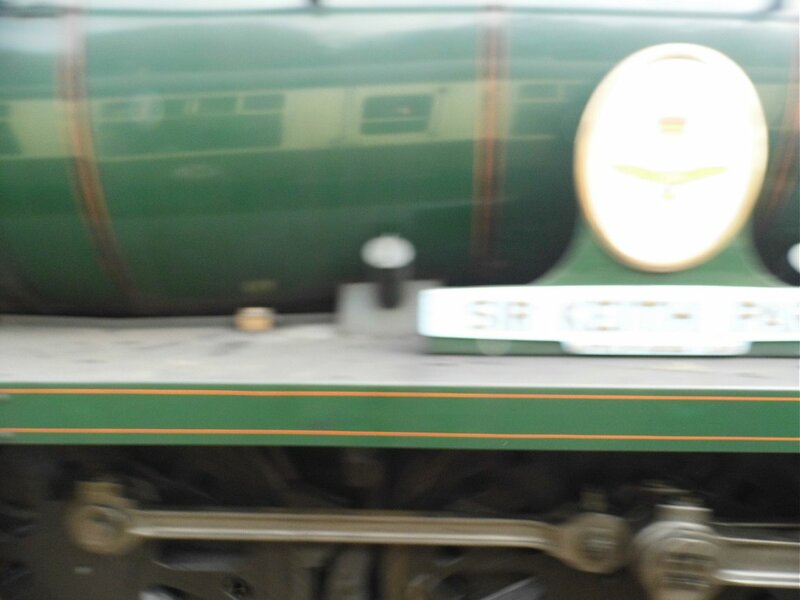 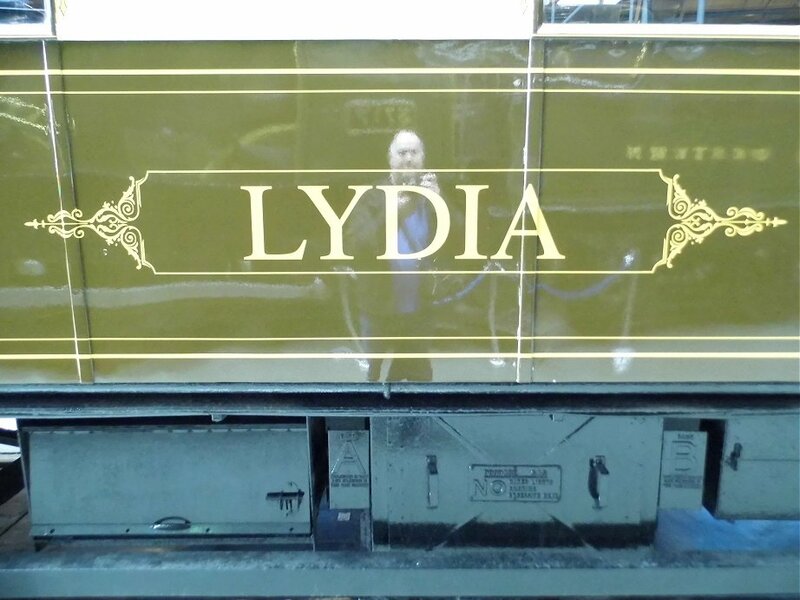 Seen many times, here are a sample of images.